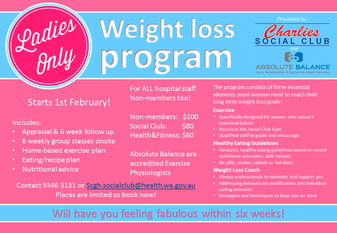 The Women's Weight Loss Program is run onsite through the gym with coaching from our exercise physiologists with the support to help you achieve your goals. 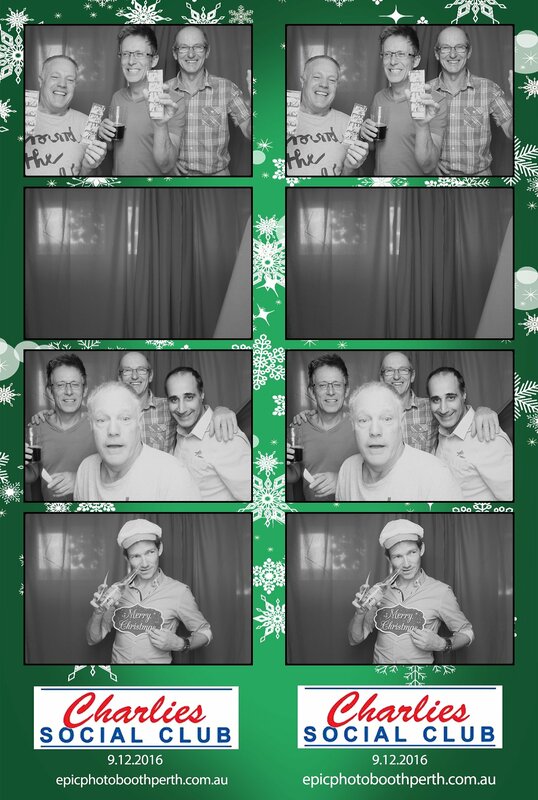 Jimmy Carr was in Perth Wednesday February the 3rd with his Funny Business Show. 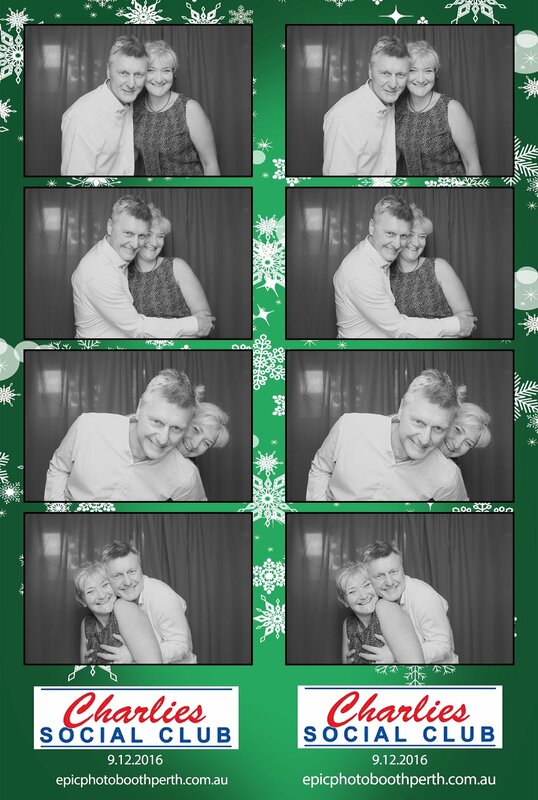 Brilliant evening with 3 hours of Jimmy at his hilarious and inappropriate best! 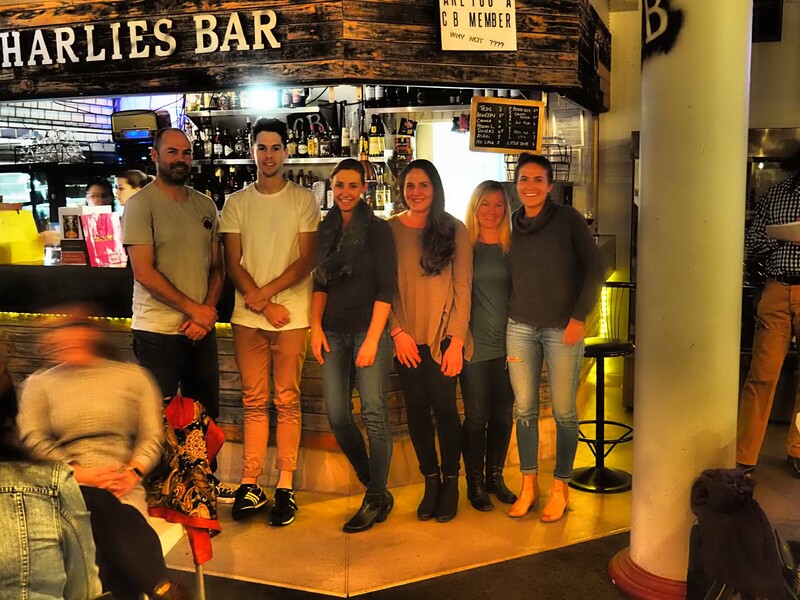 Small Bar Tour of Perth. 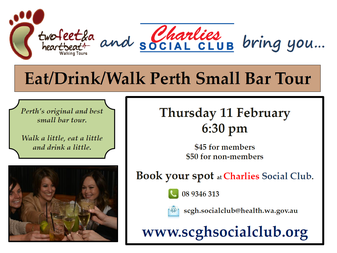 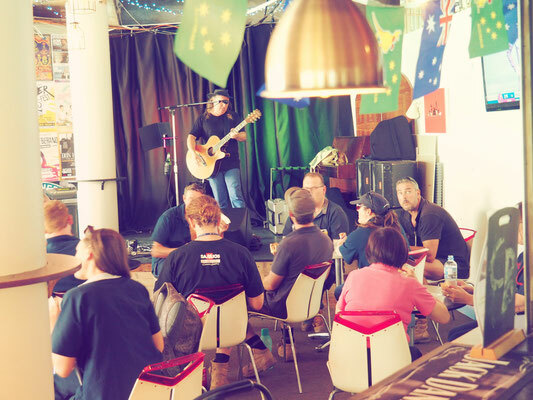 The social club hosted a small bar tour of Perth with Two Feet and a Heartbeat on Thursday the 11th of Feb. 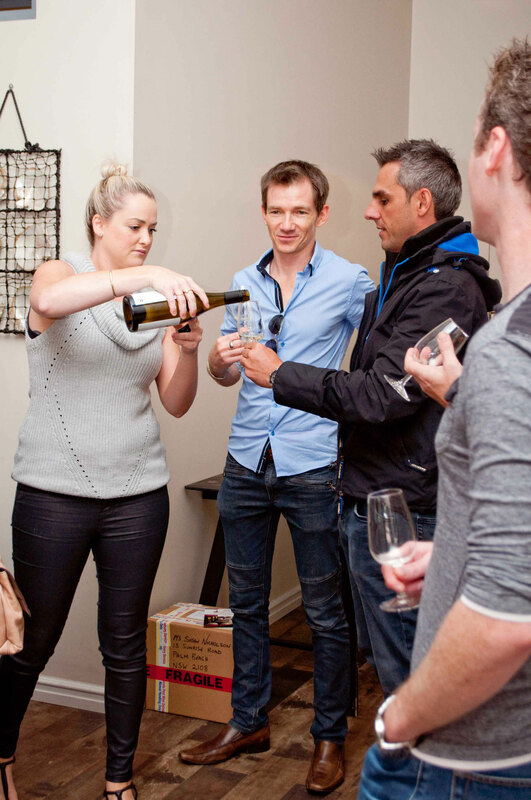 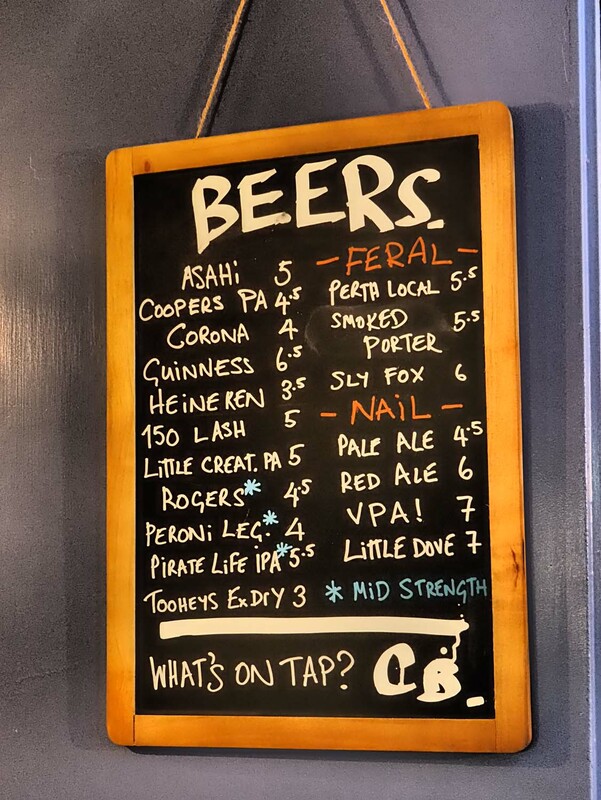 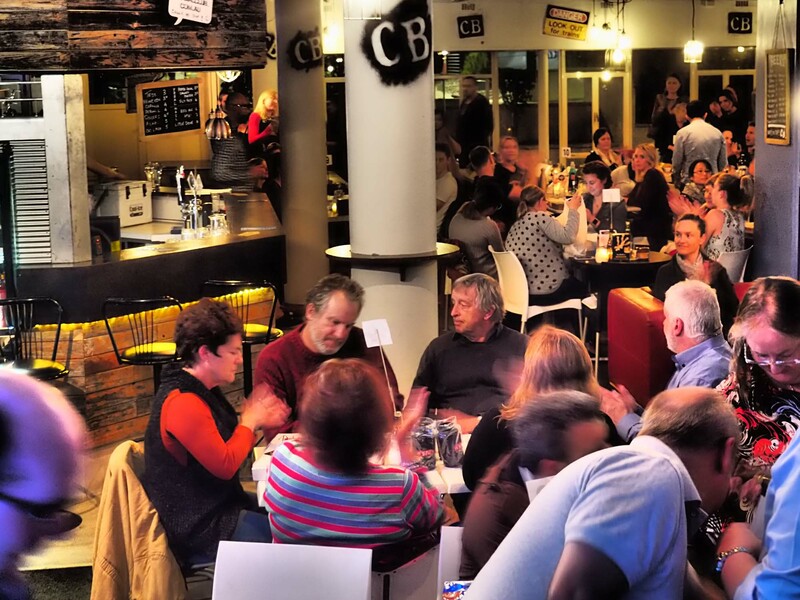 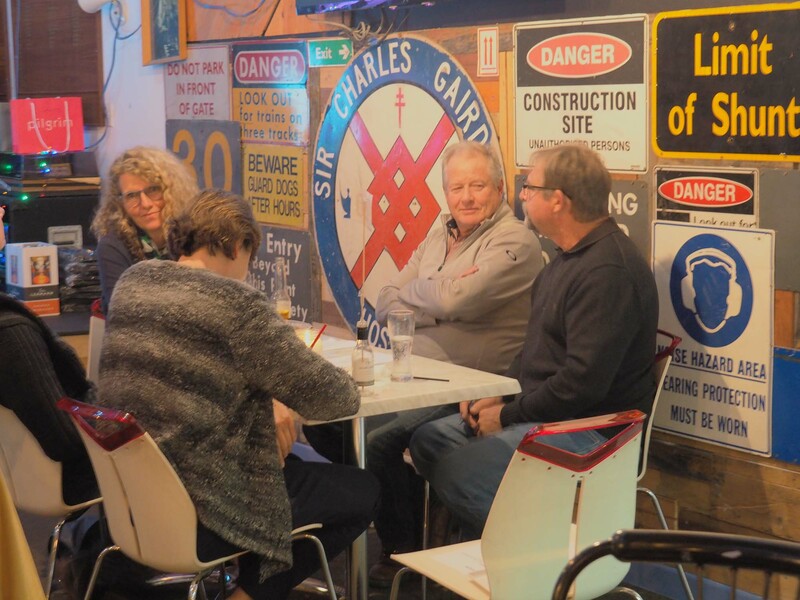 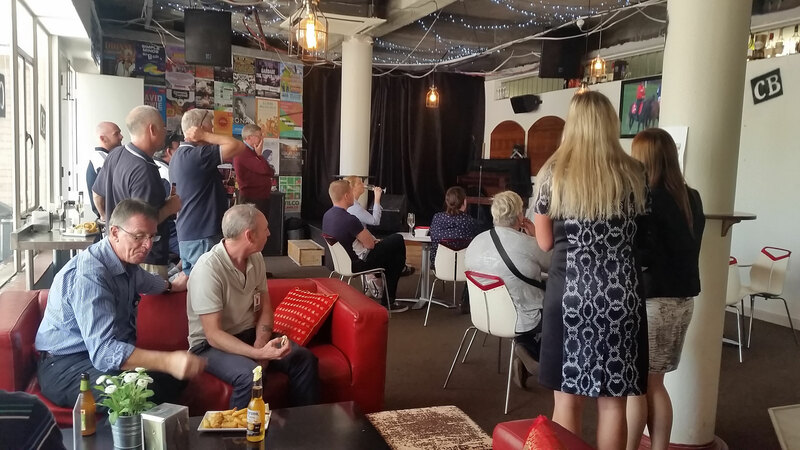 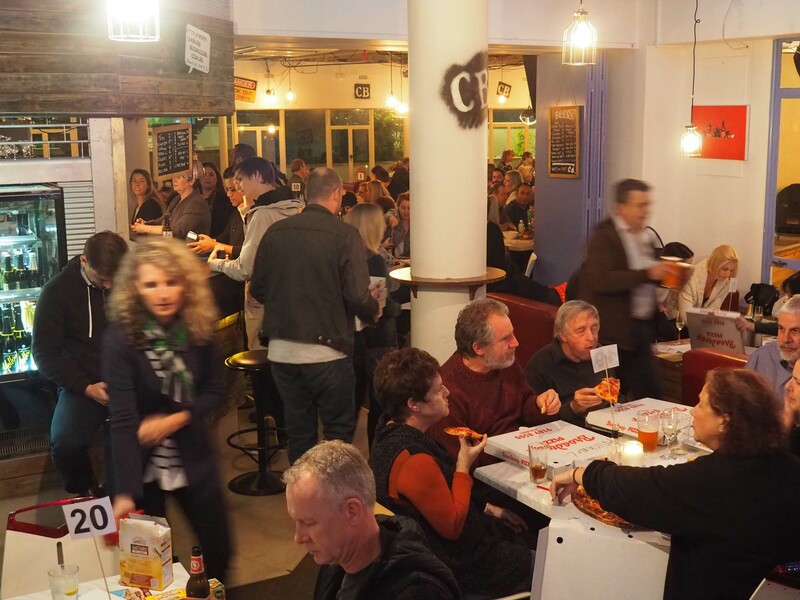 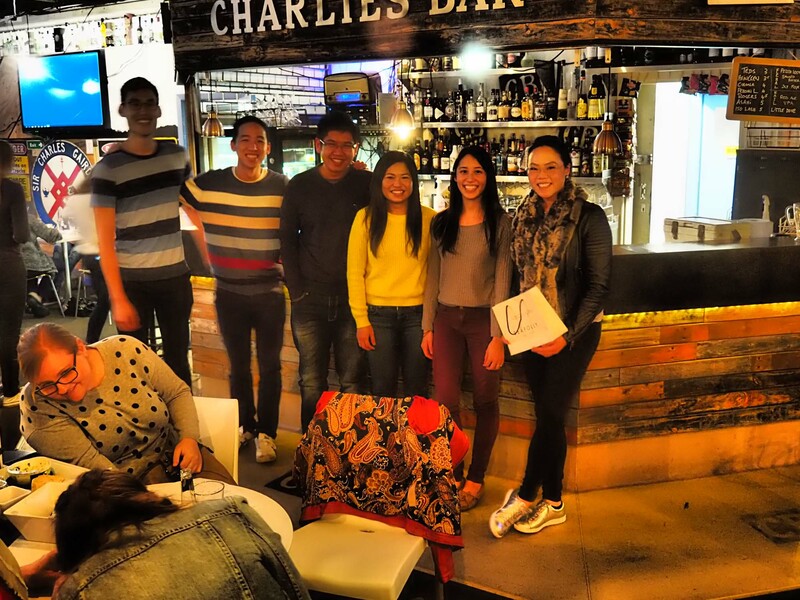 It was a great night and opportunity to meet other members in a relaxed and small group while learning about Northbridge and some of it's small bars. 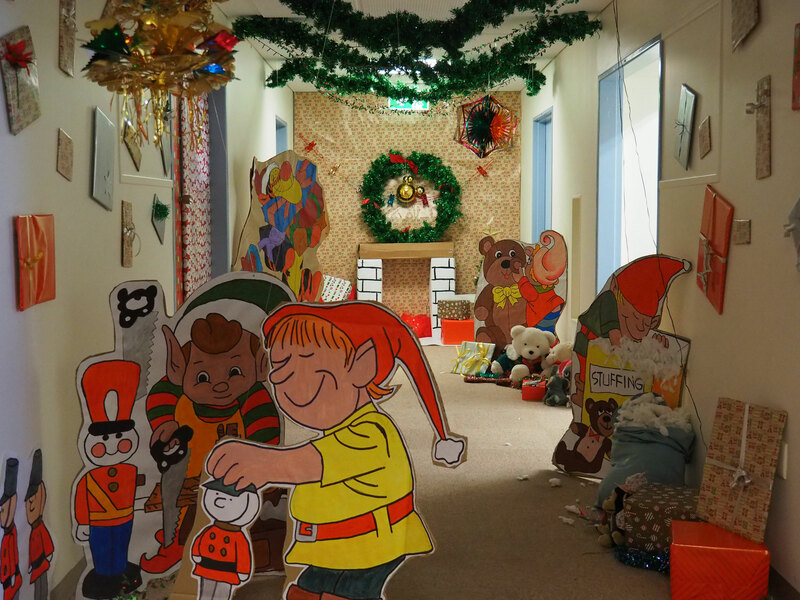 Dora the Explorer was at the Perth Convention Centre on Saturday the 20th of February at 1:30pm for her Pirate Adventure. 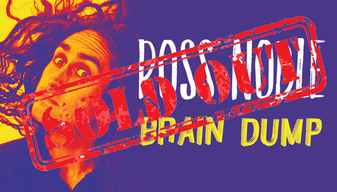 Ross Noble is at the Regal Theatre on Saturday the 5th of March at 8pm to Brain Dump on Perth. 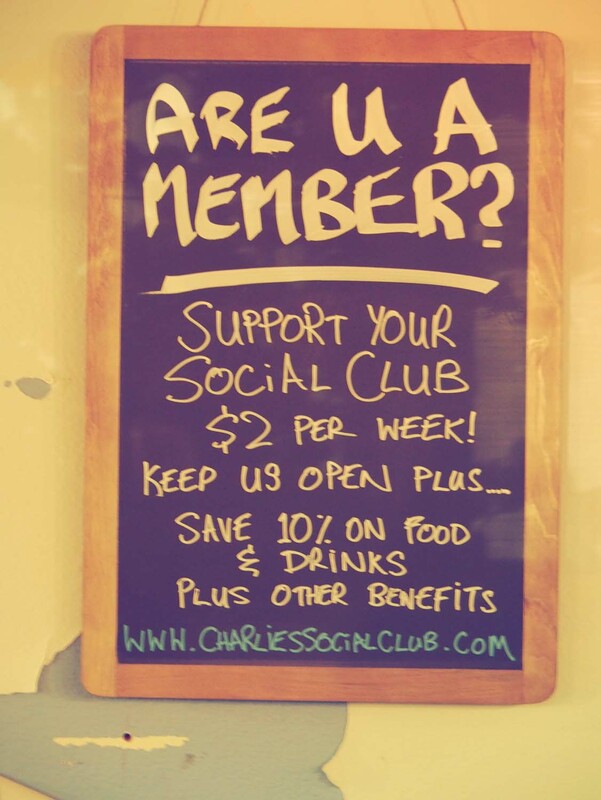 Tickets are $52 through the Social Club. 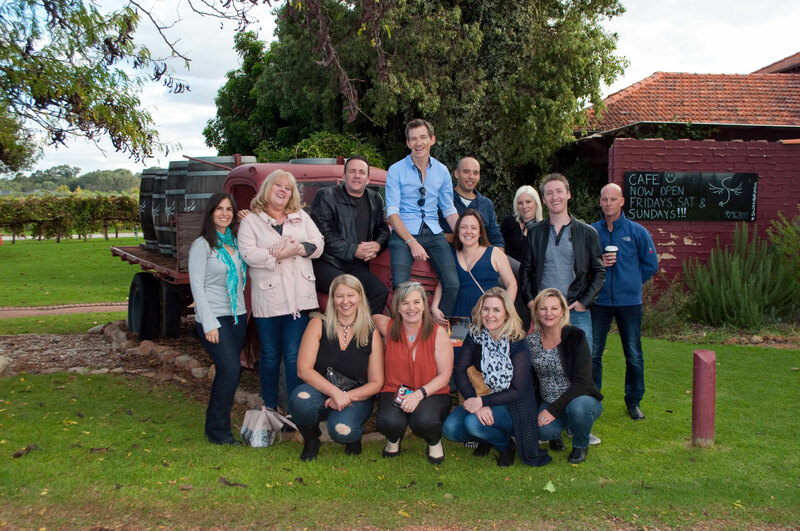 Contact us to book or for info. 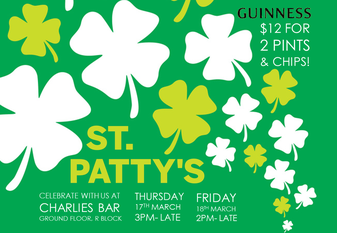 St Pats Celebrations at Charlies Bar. 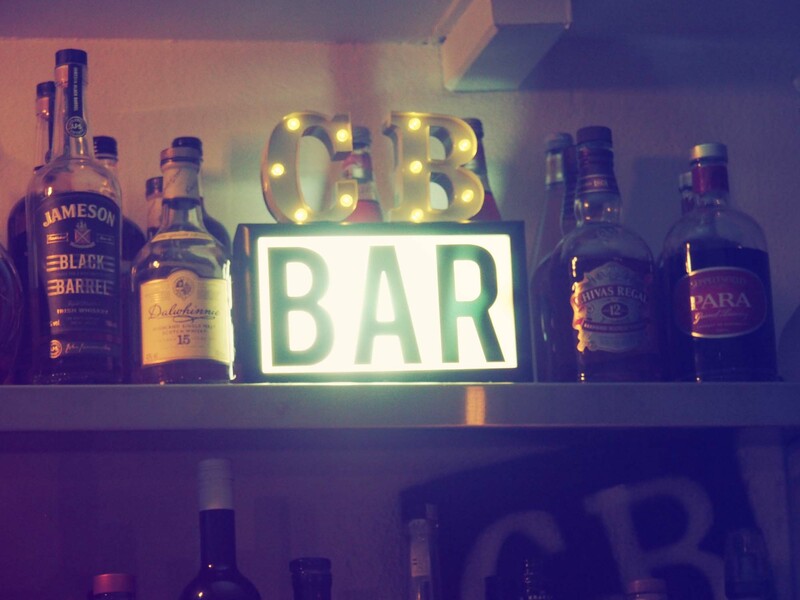 Make sure you come and celebrate being Irish with us at Charlies bar on the 17th and 18th of March. 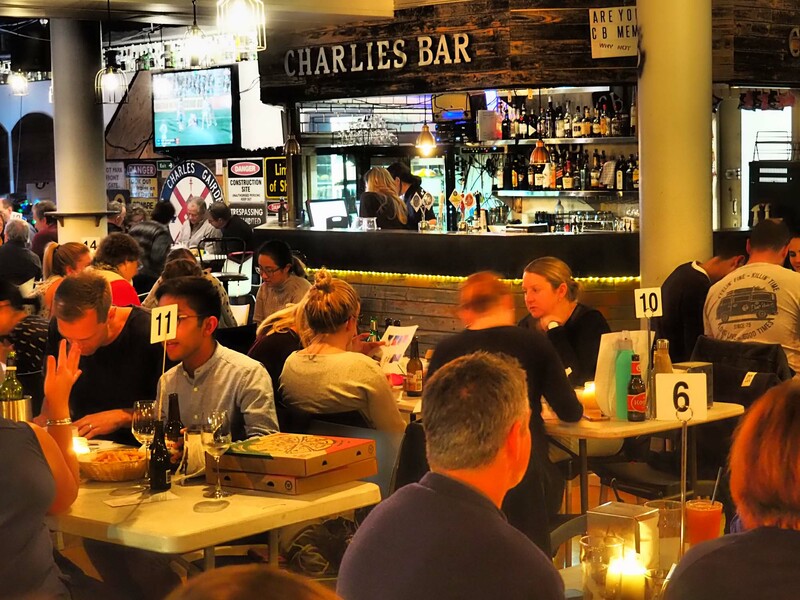 $12 for two pints and chips, you can't go wrong. 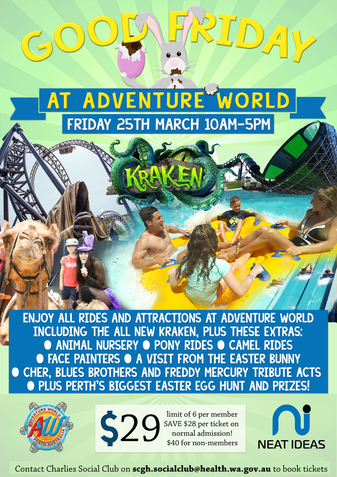 Entry to Adventure World on good Friday with access to all rides, animal rides, entertainment and an Easter egg hunt for only $29!! 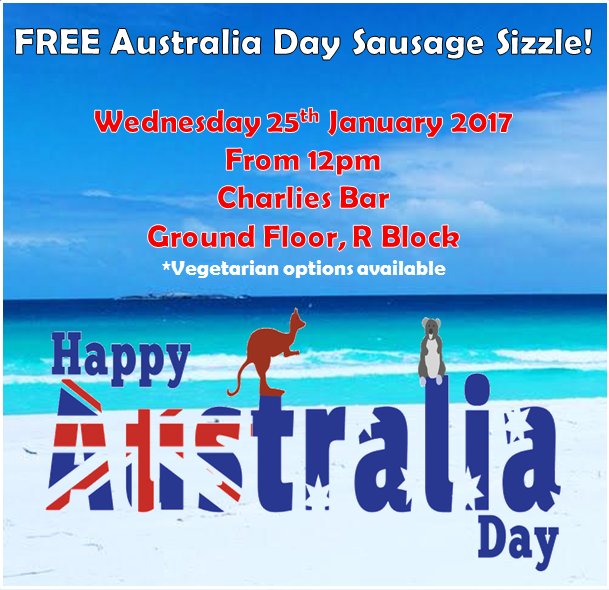 Contact the office to book your tickets today. 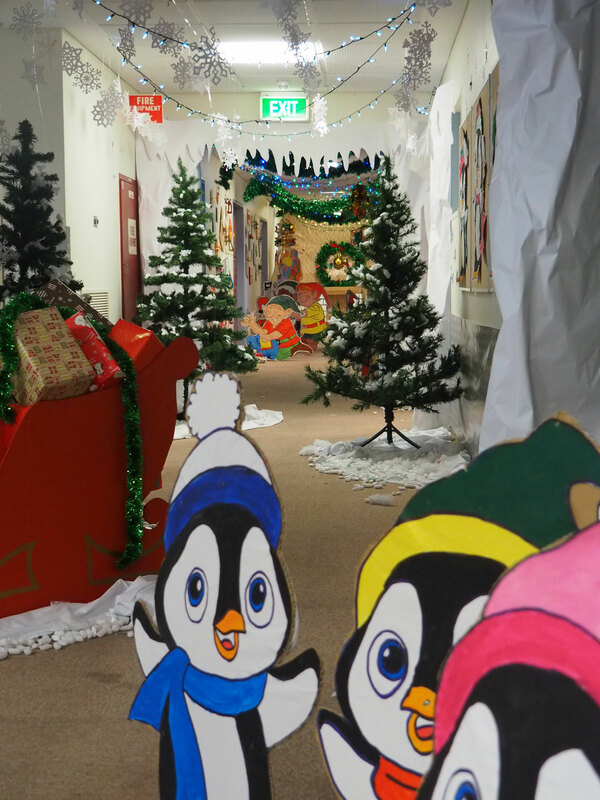 Members can purchase up to 6 - tickets are limited and go fast so please book asap to avoid disappointing the kids! 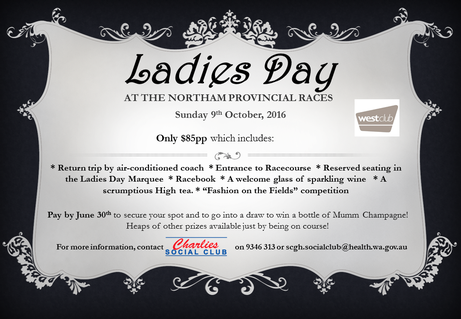 Contact us for info or to book. 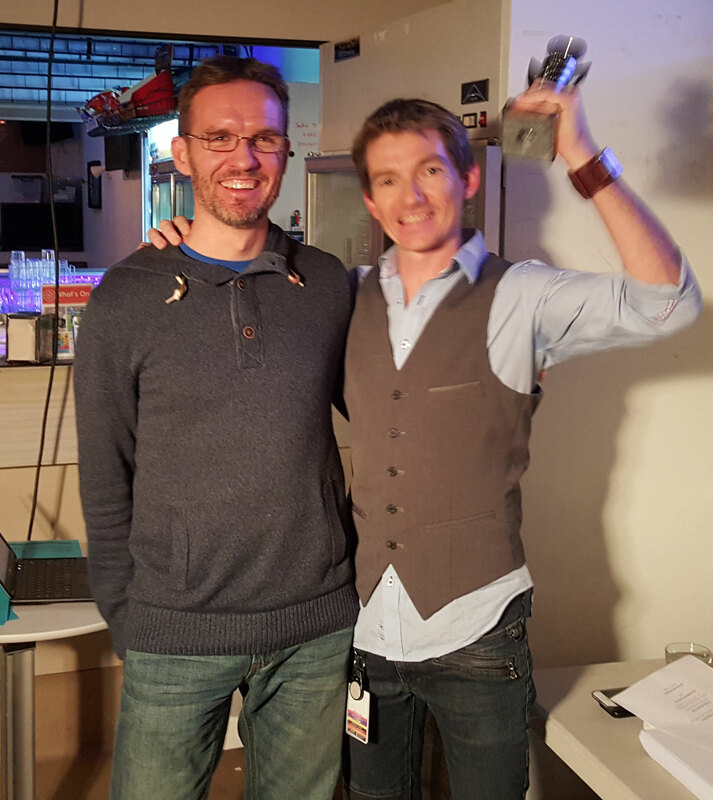 The Ice Age is coming to the Arena in a Live show on the 23rd of April at 2pm. 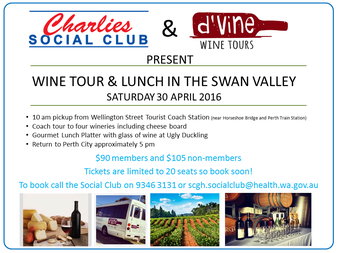 Tickets are $45 each through the Social Club. 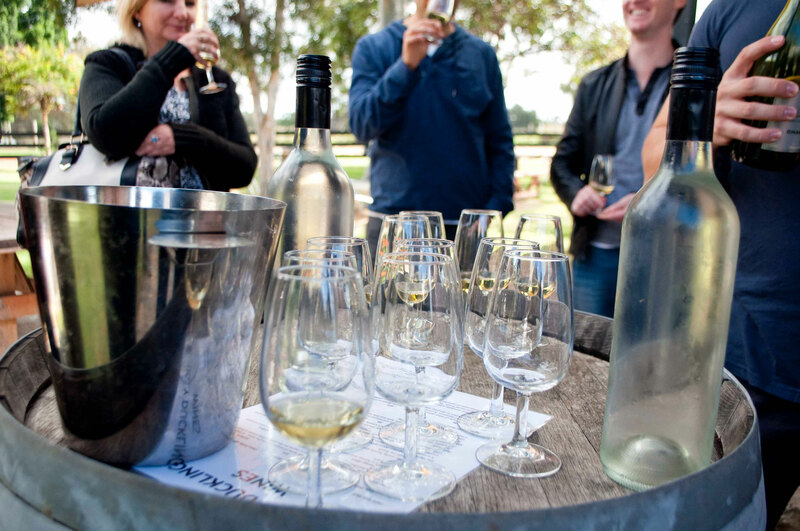 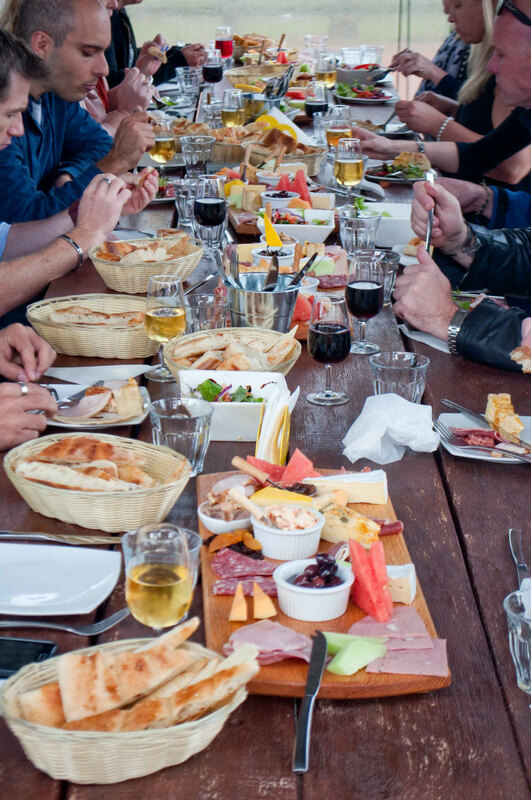 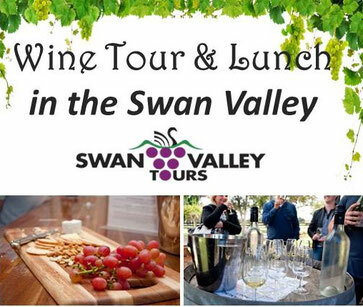 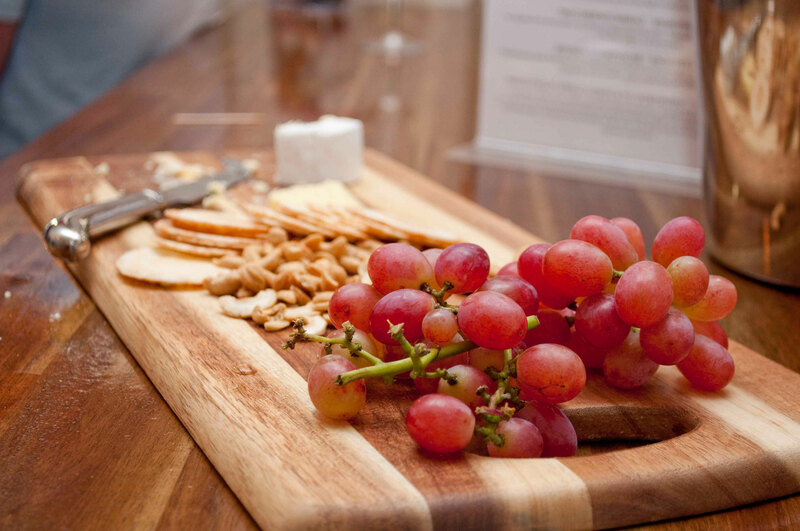 d'Vine Tours took us out for a great day to the Swan Valley with wine and a great lunch. 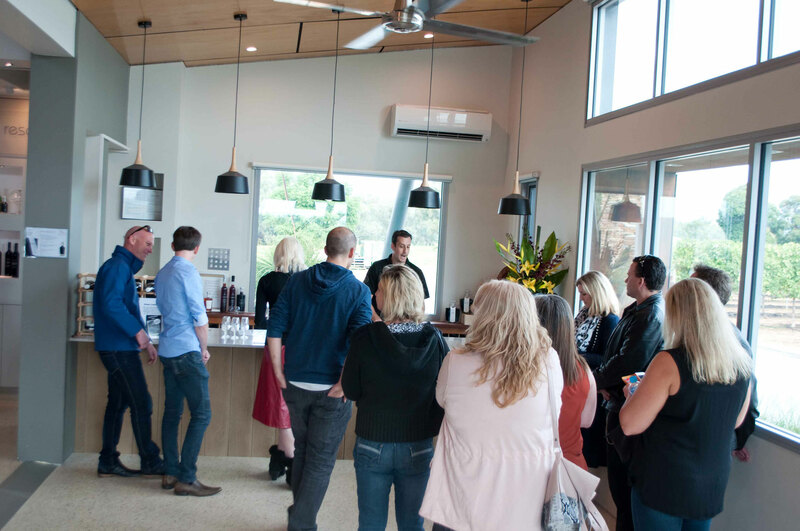 The weather was great and Olive Farm was a stand out! 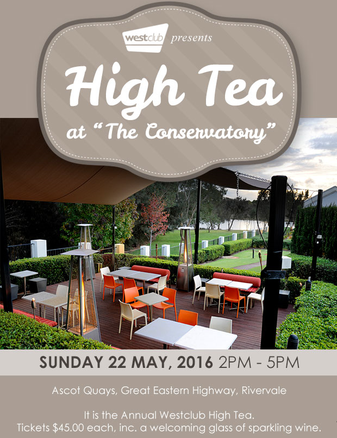 The Social Club booked several tables at Westclub's High Tea at the Conservatory on Sunday the 22nd of May, 2-5pm. 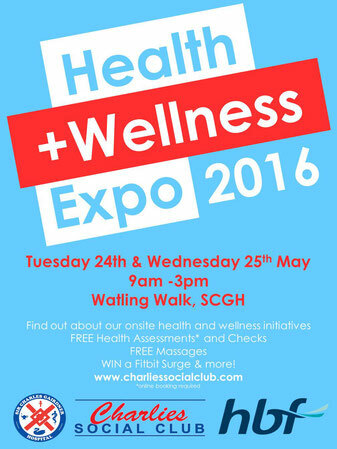 The inaugural Staff Wellness Expo was held on the 24th and 25th of May 2016. 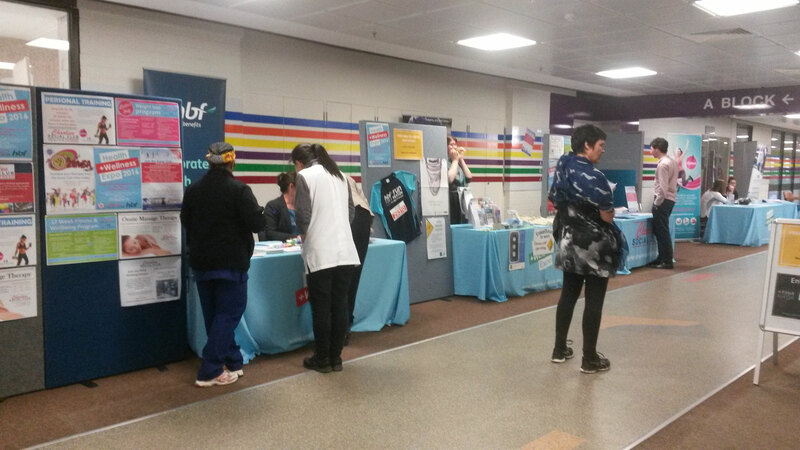 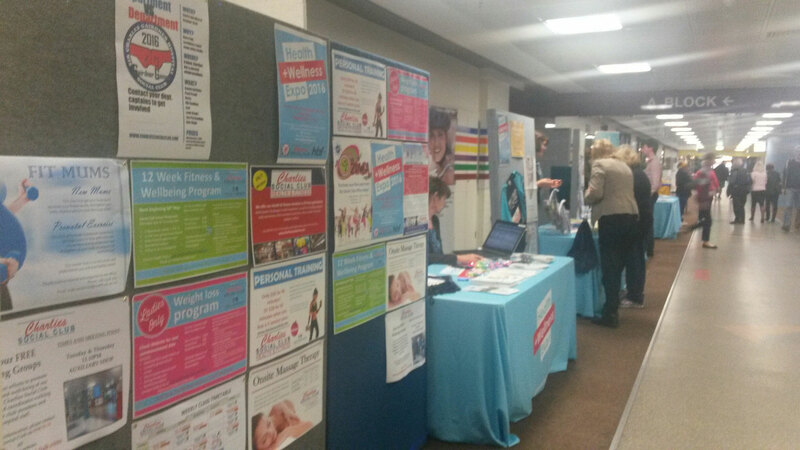 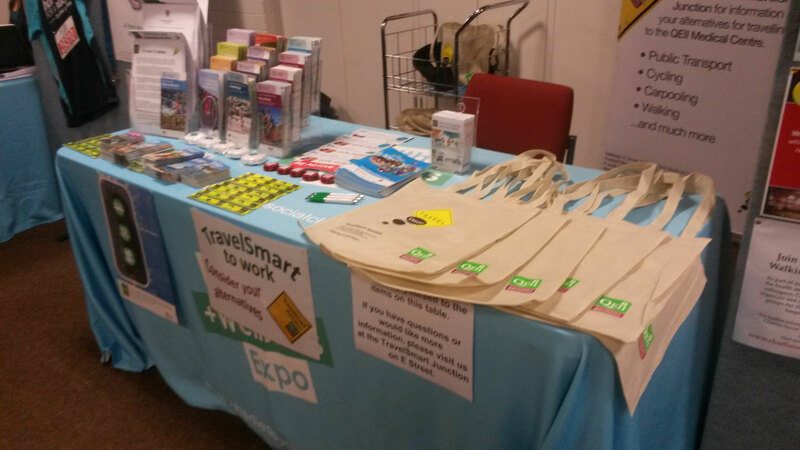 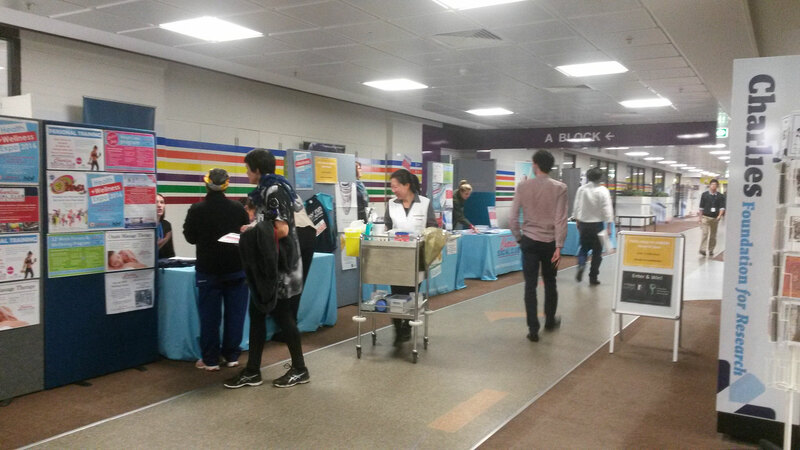 The Expo on Watling Walk between 9am and 3pm showcased the health & wellbeing initiatives available for staff at SCGH and the QEII medical centre site. 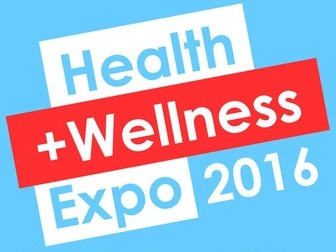 Staff had access to free 20 minute Wellness Assessments, 5 minute health checks and a chance to win a Fitbit Surge, Yoga and Pilates Classes and a 30 minute massage. 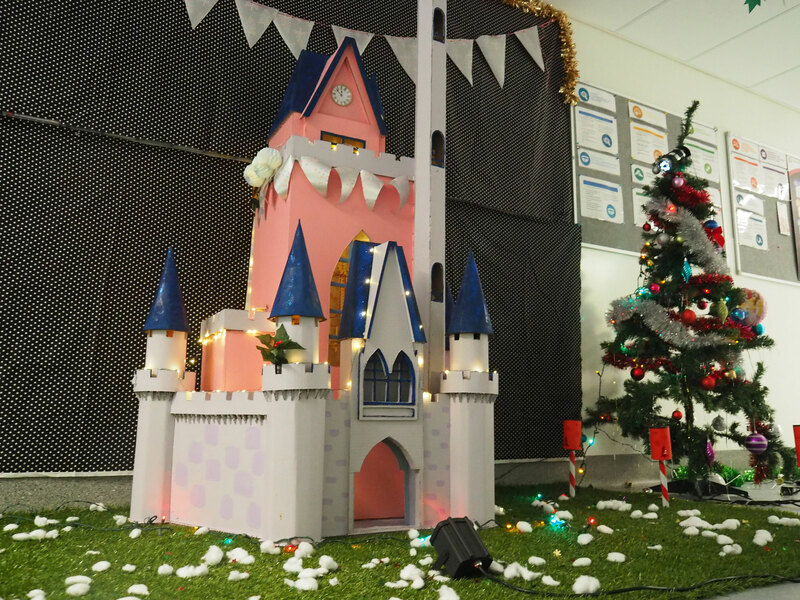 A popular event with Frozen and all your favourite Disney characters on ice at the Perth Arena on Saturday the 4th of June at 2pm. 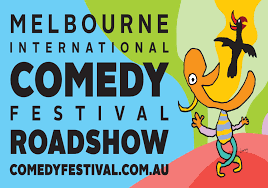 The Melbourne Comedy Roadshow was in Perth on Saturday the 18 June at 8pm at His Majesty's. 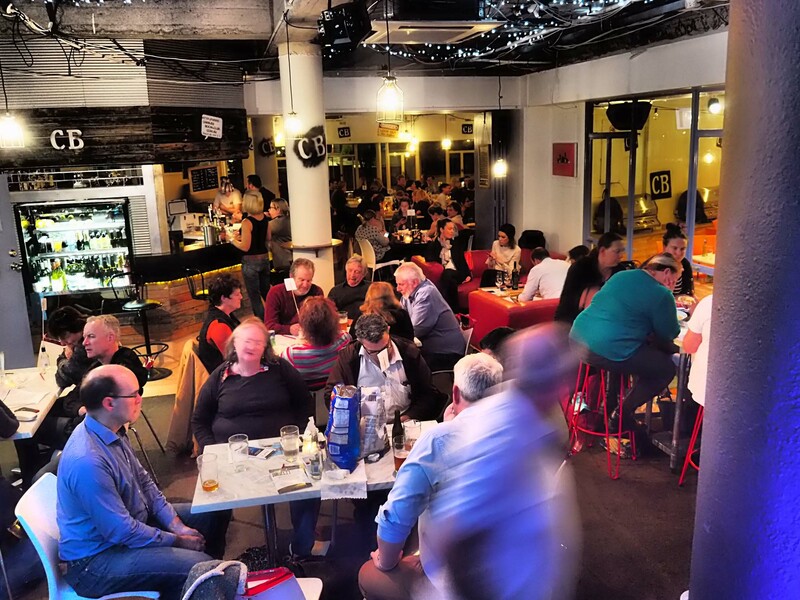 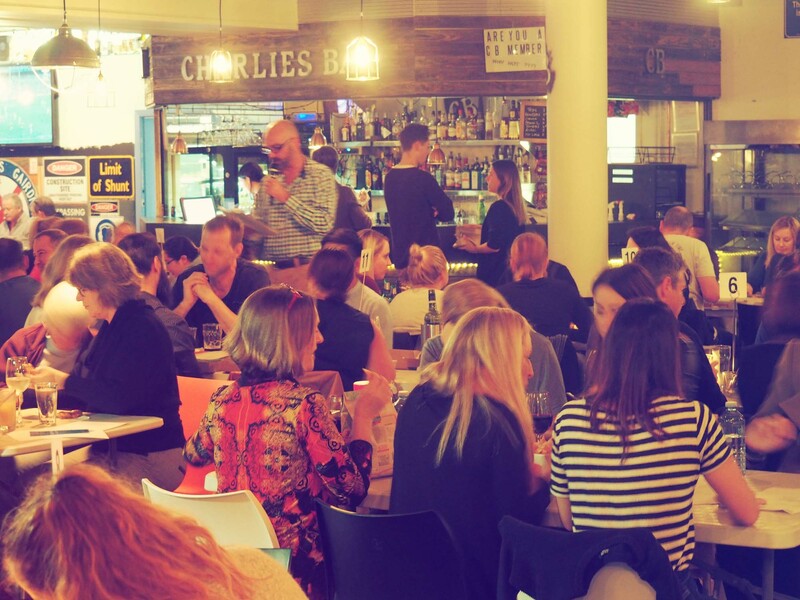 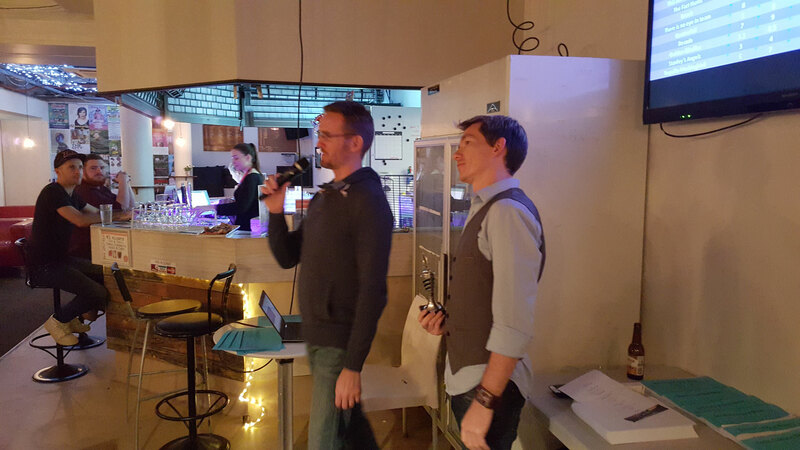 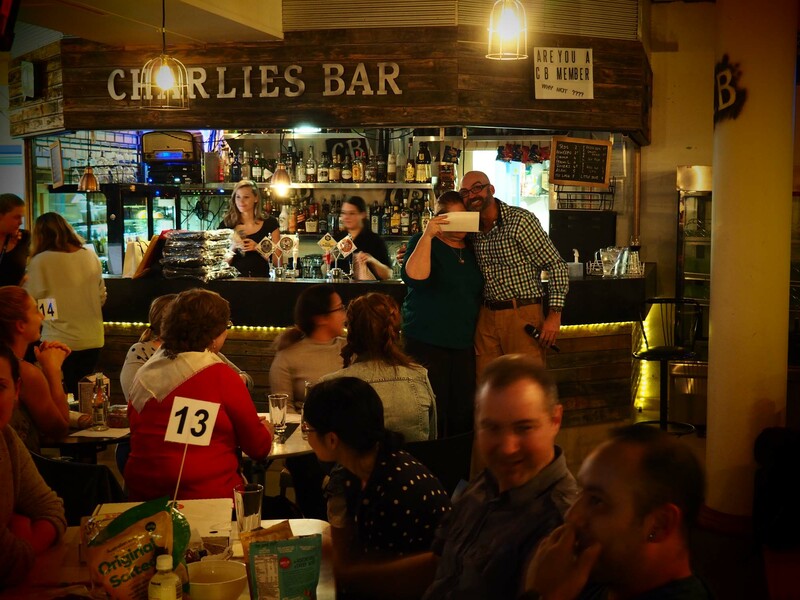 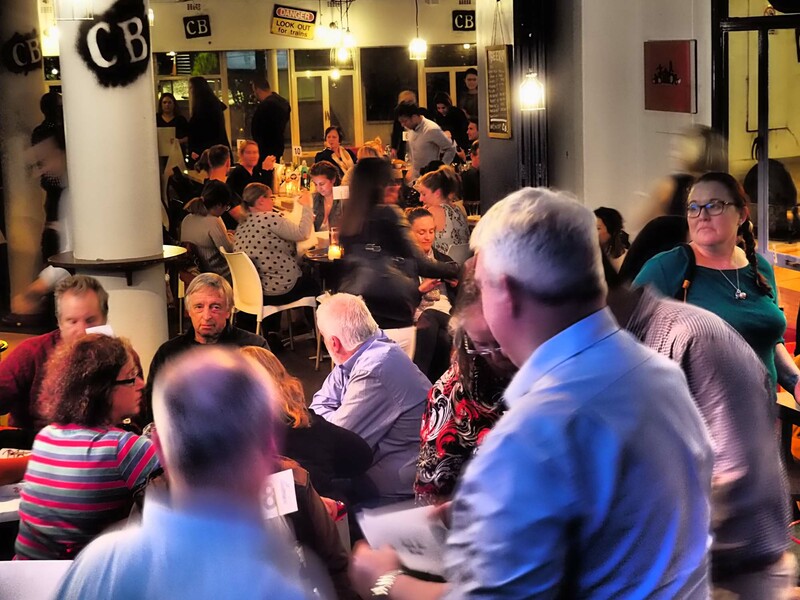 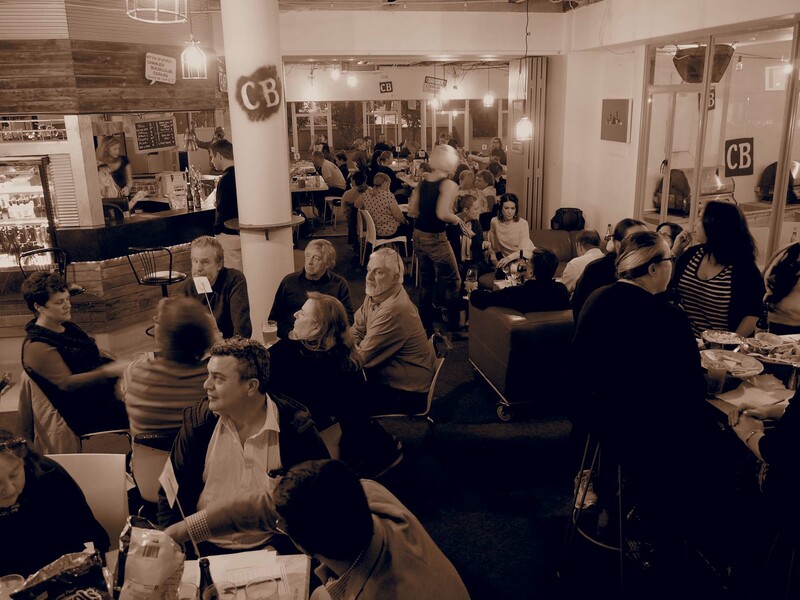 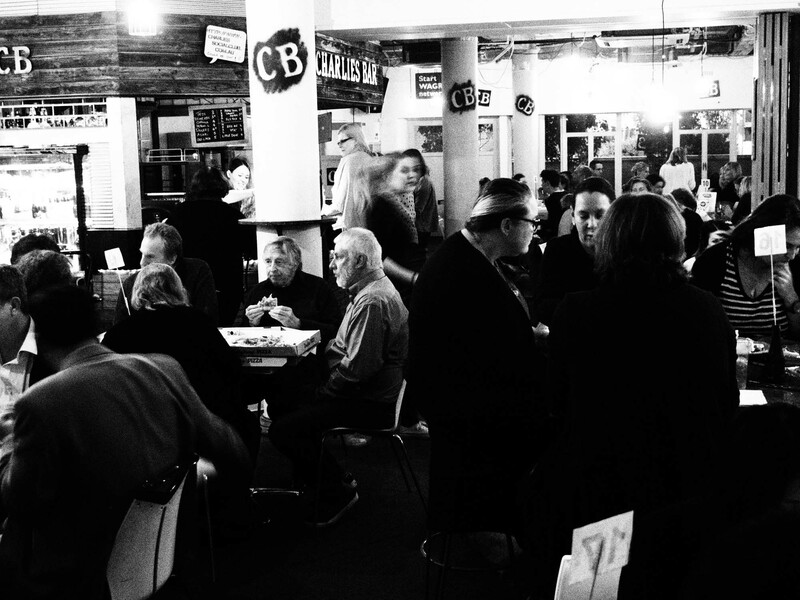 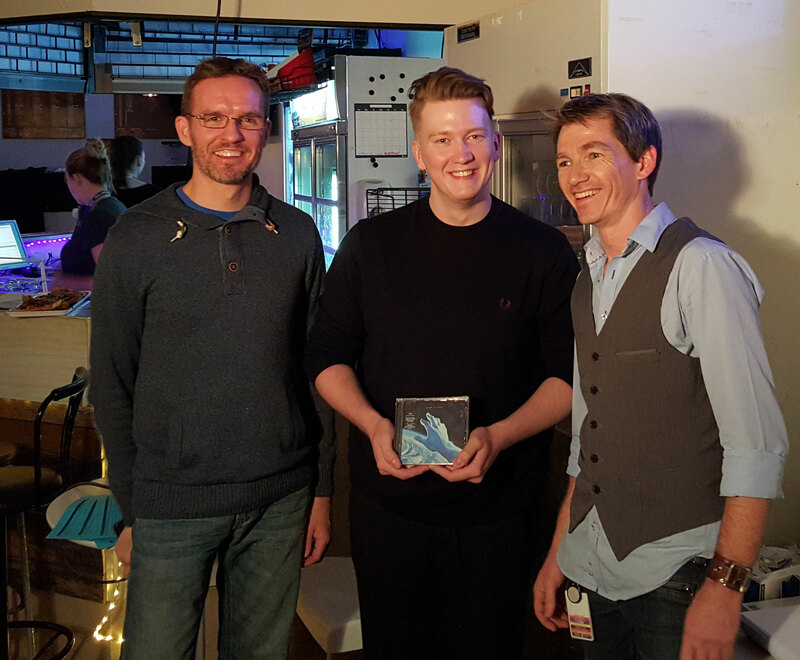 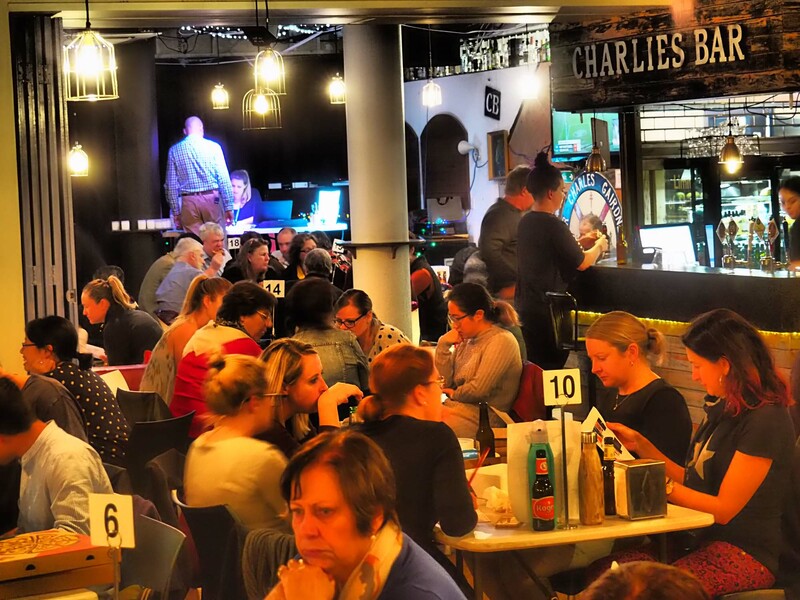 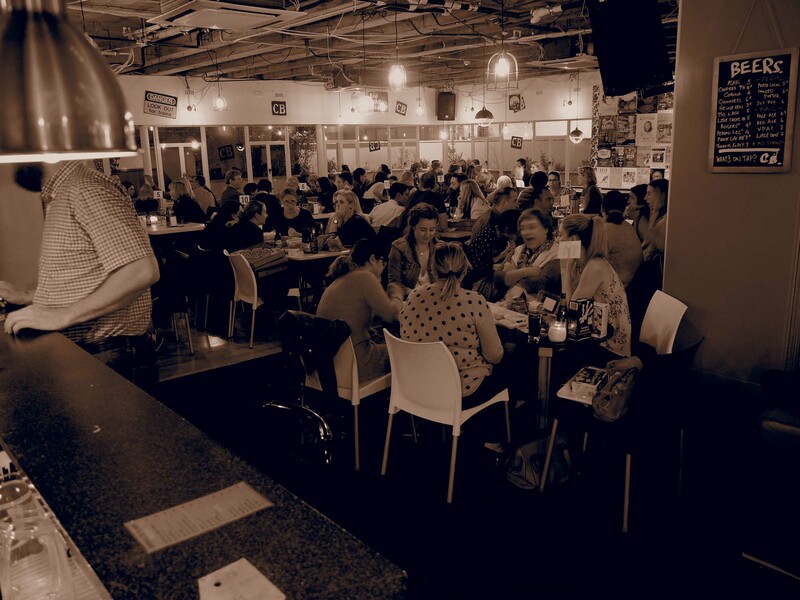 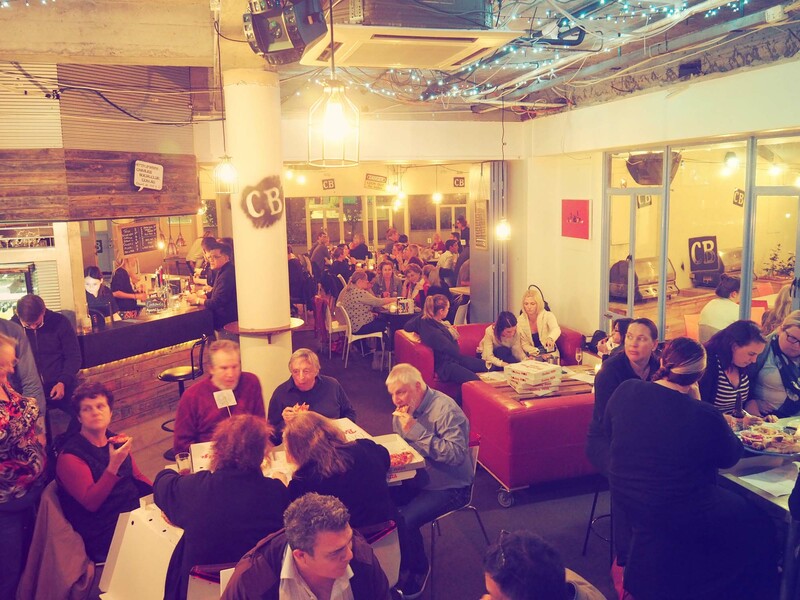 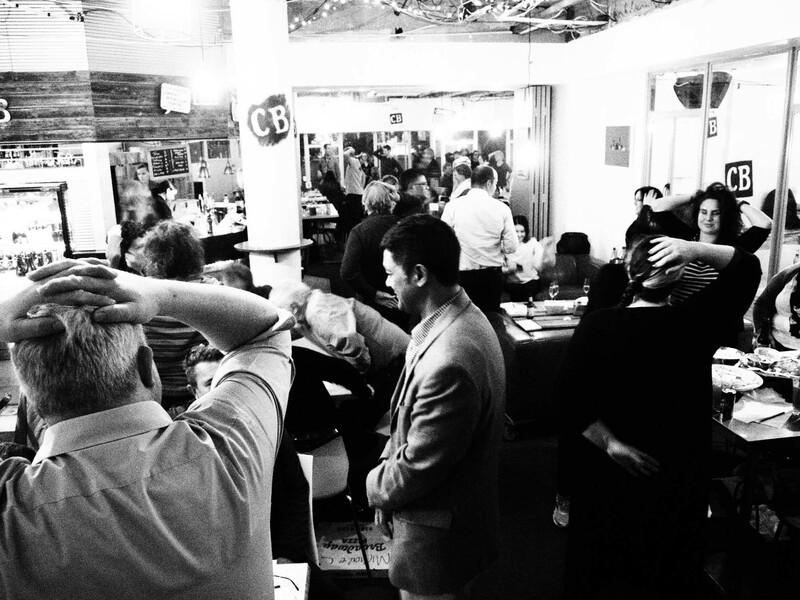 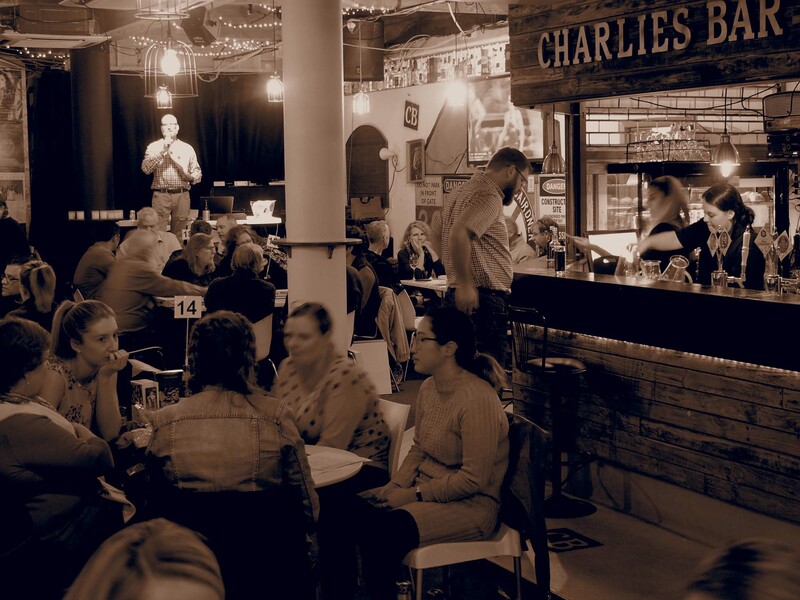 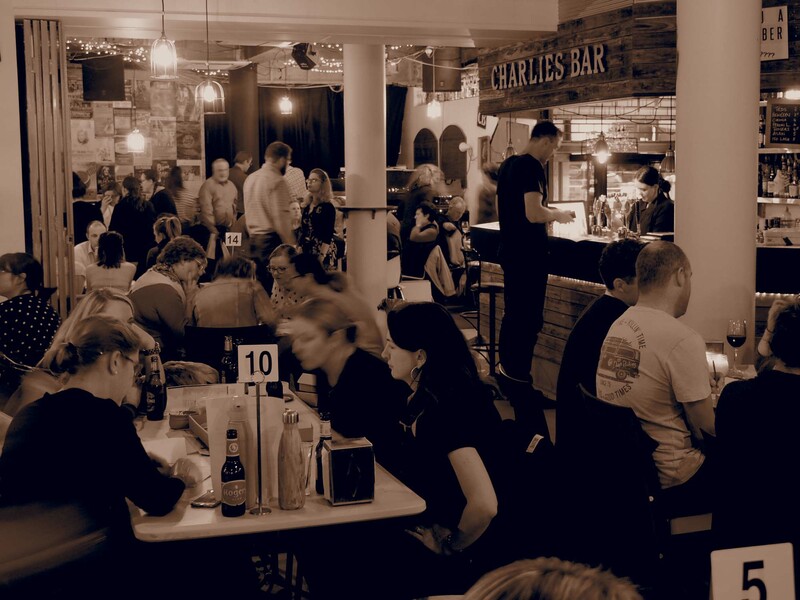 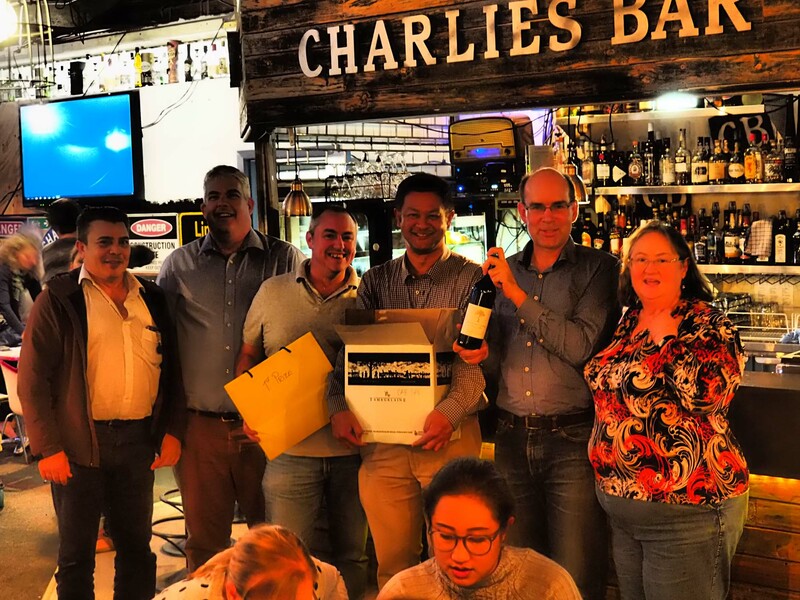 Charlies Bar hosted the 2016 Charlies Vs FSH Social Club Quiz night on the 24th of June. 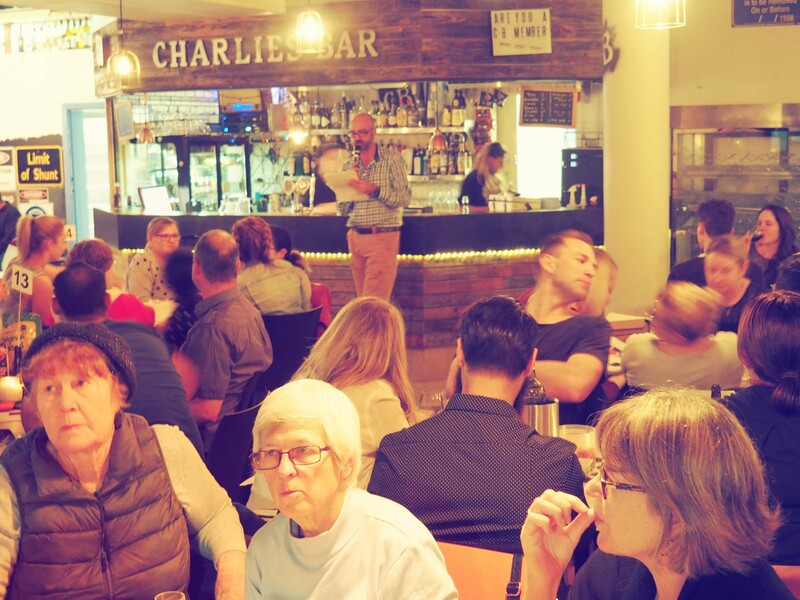 A great evening and a sold out event, the FSH Social Club chair Kevin was a great MC and hit the teams with some challenging and entertaining questions. 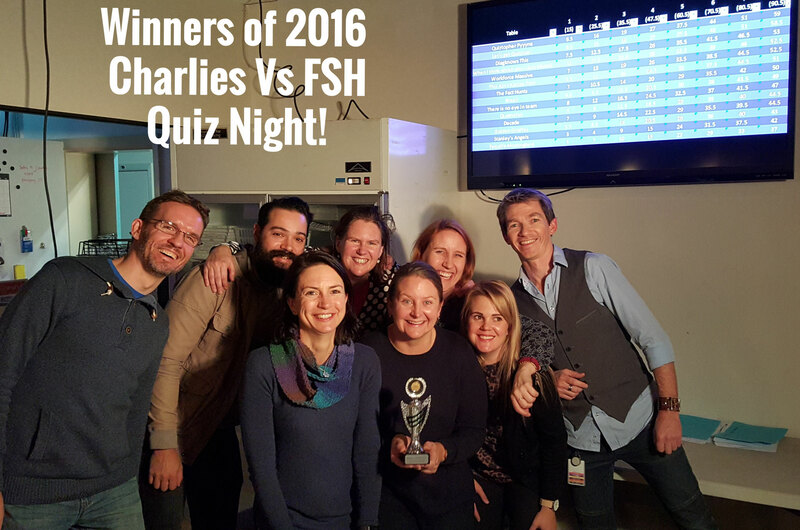 A Charlies team ended up with the win by half a point over the second placed team from FSH, meaning Charlies took home the 2016 trophy! 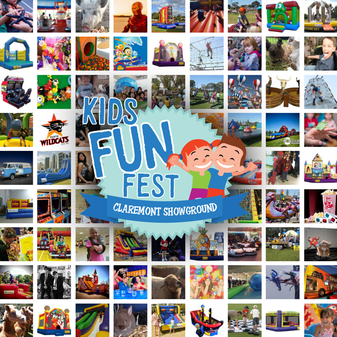 Kids Funfest at the Claremont Showgrounds 9th and 10th of July. 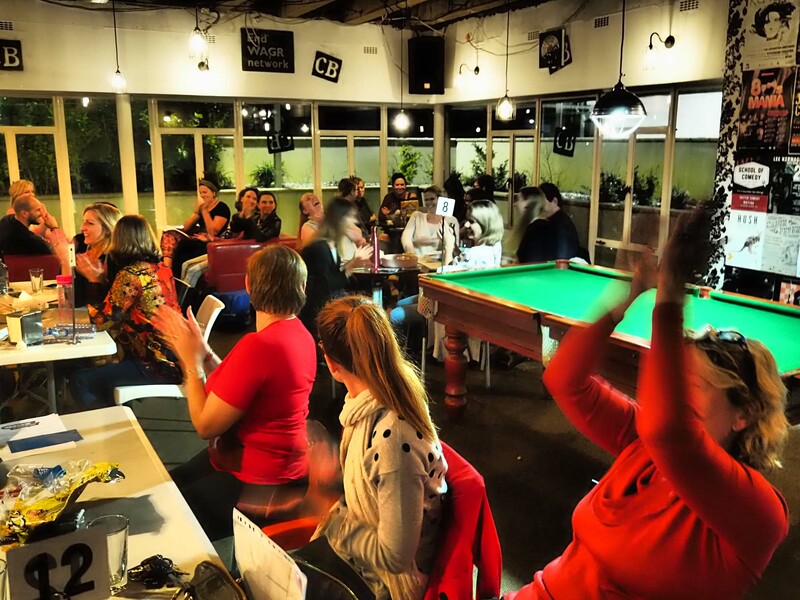 Need away to entertain the kids these holidays? 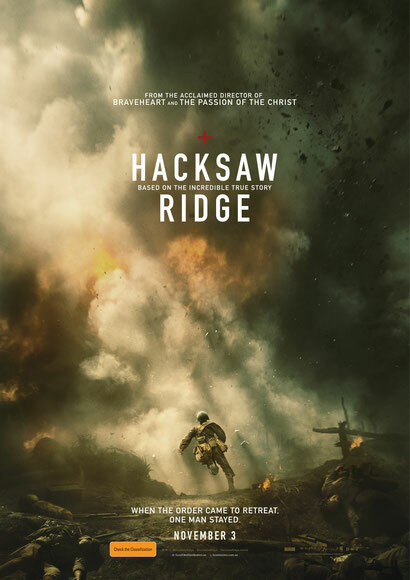 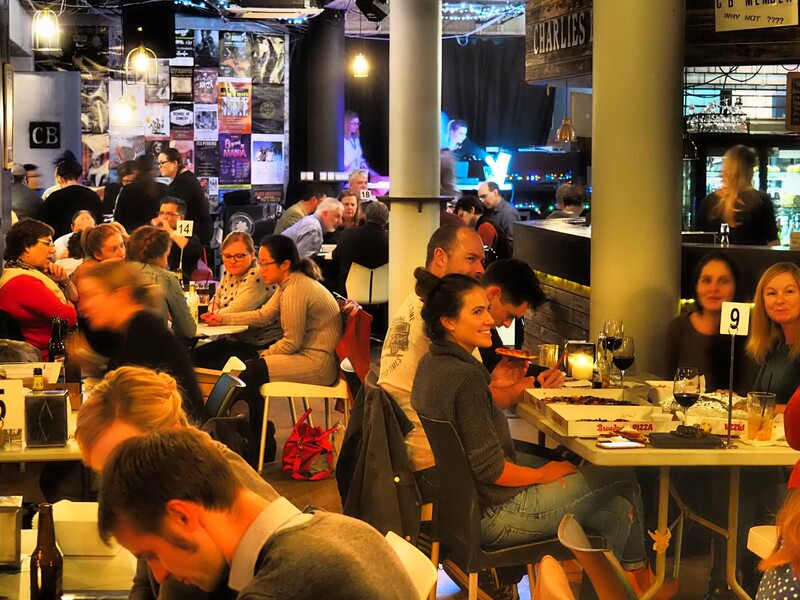 More than just cheap movie tickets from the office? 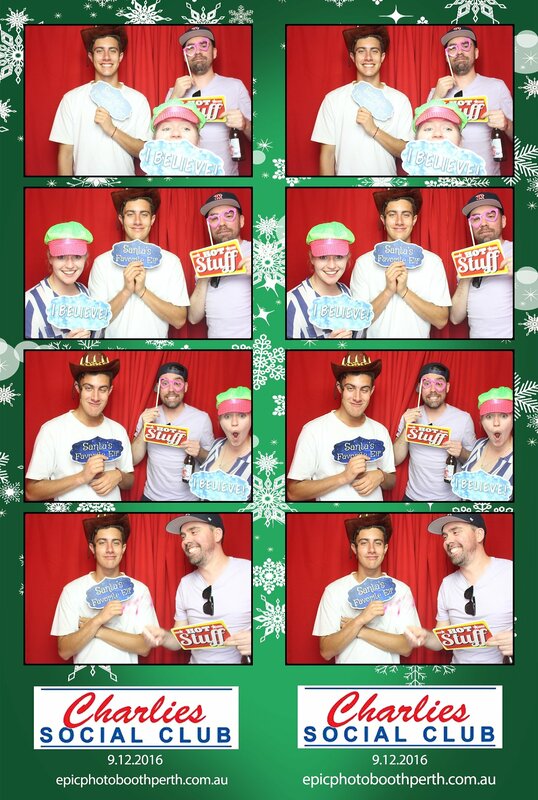 How about Kidsfest? 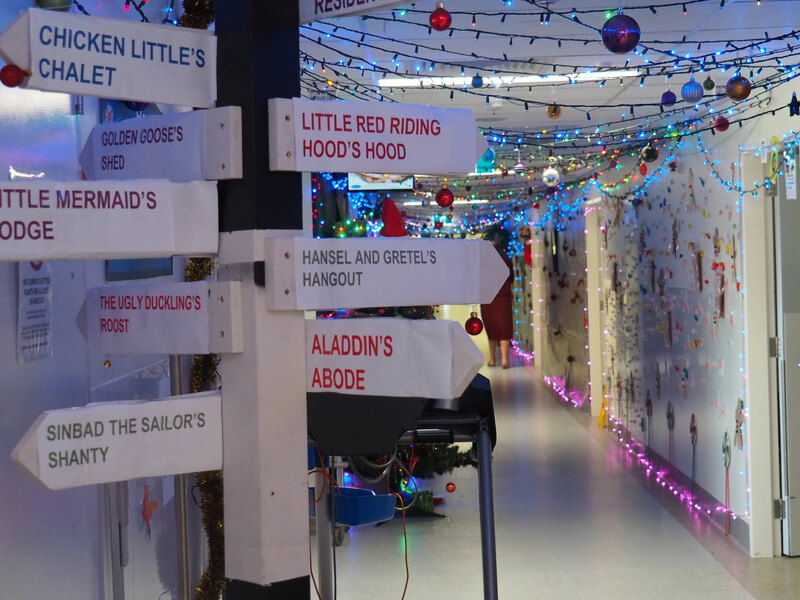 Over 90 rides and attractions included, with plenty of entertainment for all kids big and small. 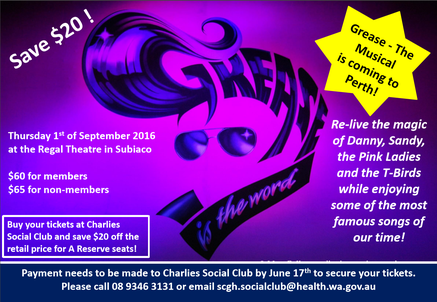 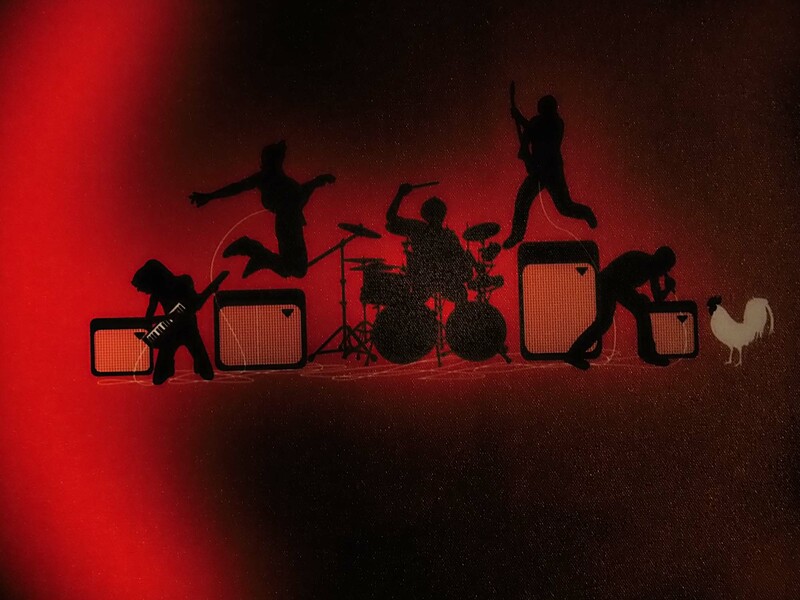 Grease live on stage with live band Slim Jim and the Phatts at the Regal Theatre on Thursday the 1st of September. 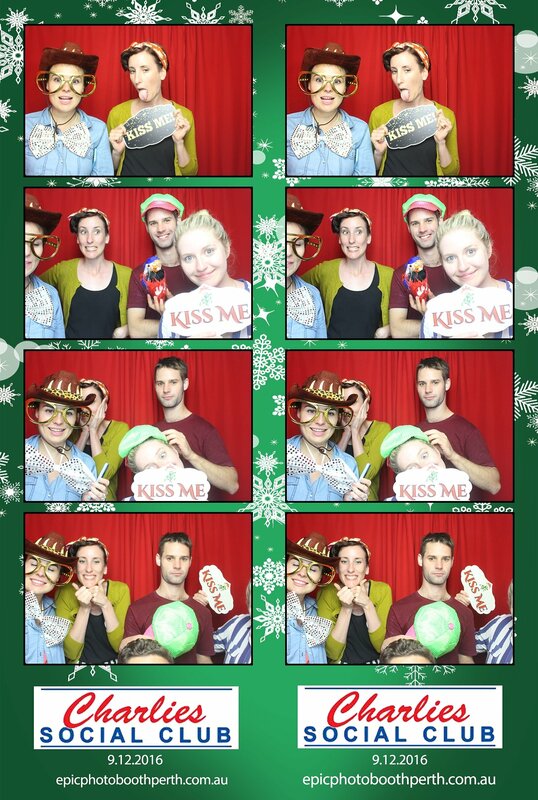 West Australian Ballet is putting on Romeo and Juliet on Friday September the 23rd at 7:30pm with WASO at His Majesty's. 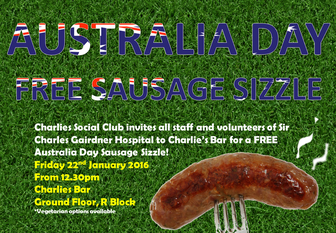 Contact the Social Club to secure tickets. 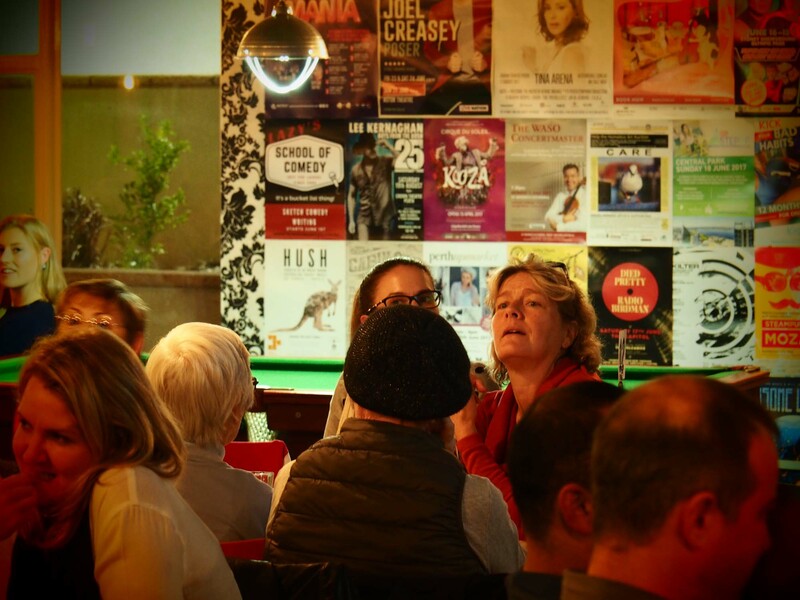 This acclaimed international production from Youri Vámos is set in the 1930s and features evocative set and costumes from the period. 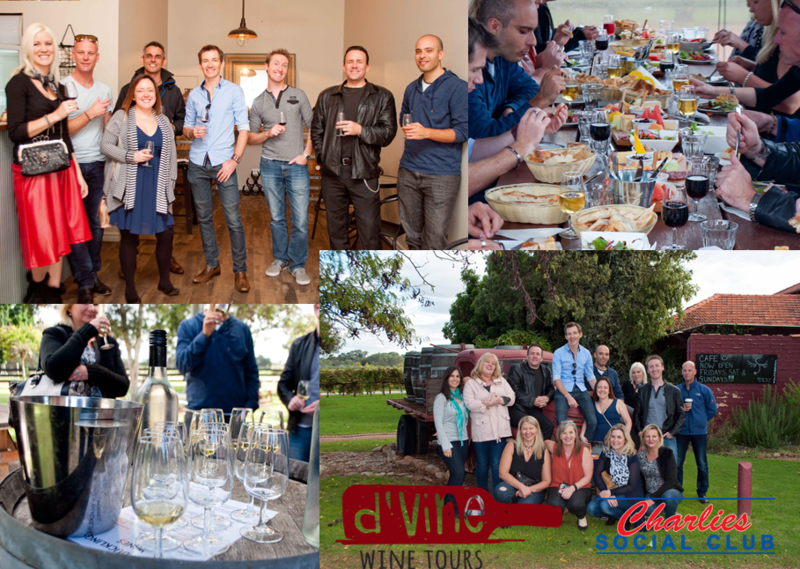 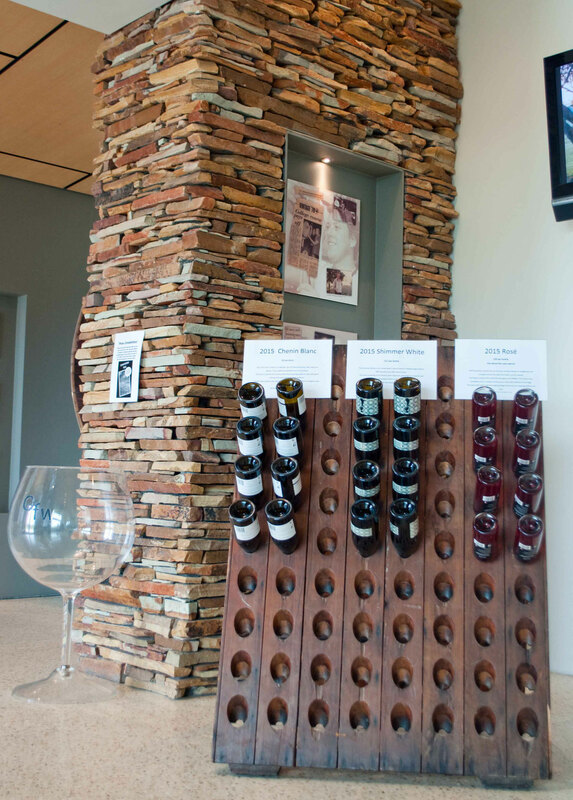 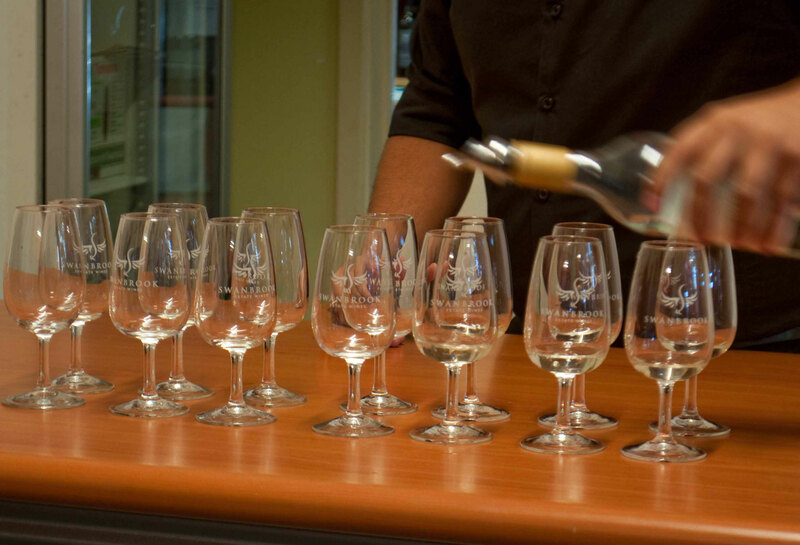 Octobers Wine Tour is Sold out! 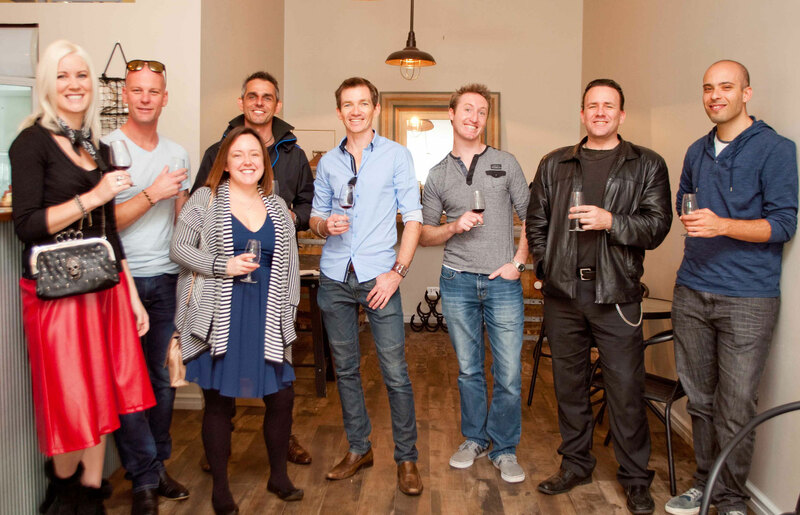 A great day was had by all on the 8th of October and it was brilliant to have our ex Vice President back to visit. 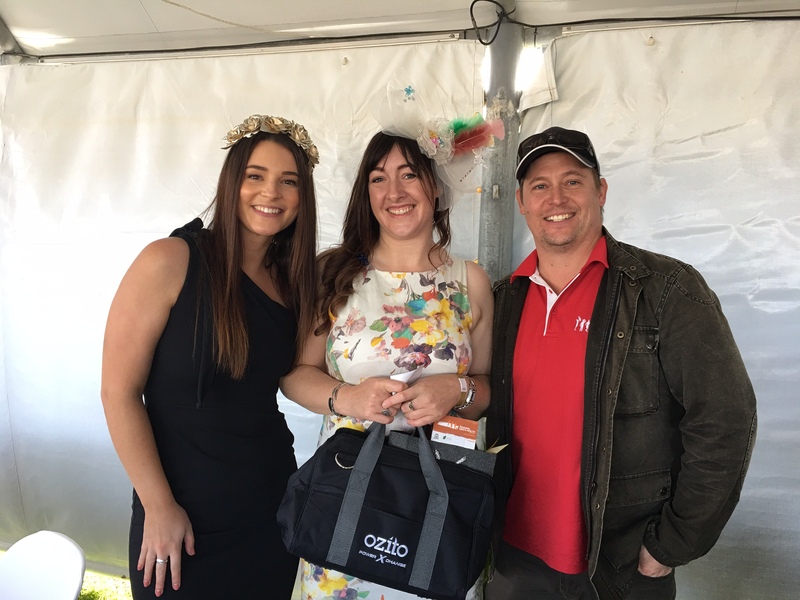 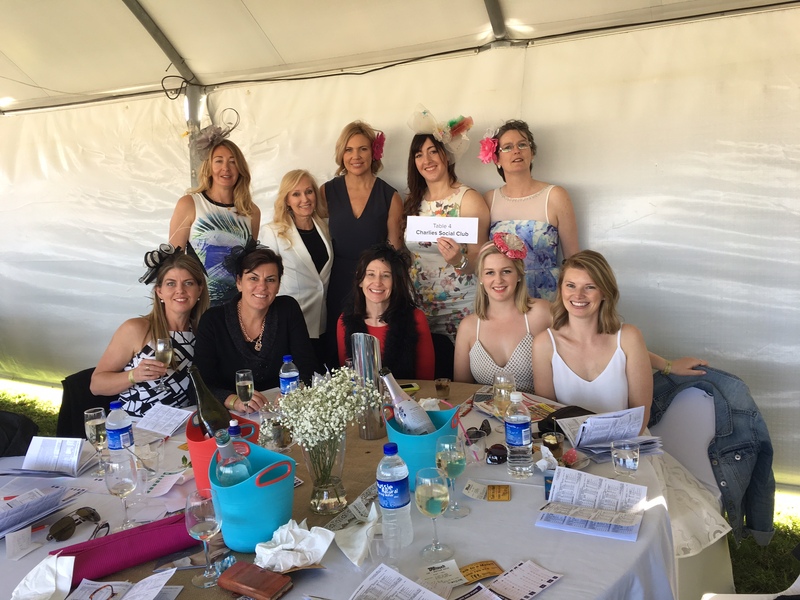 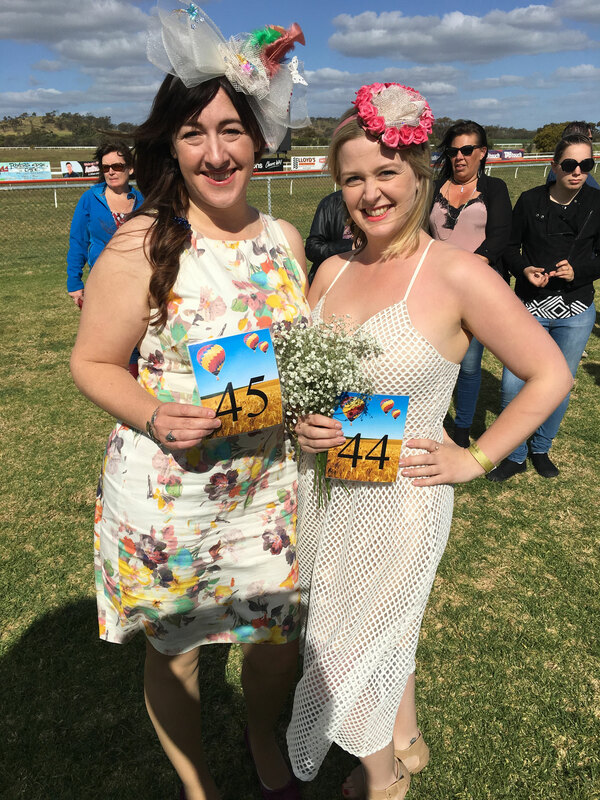 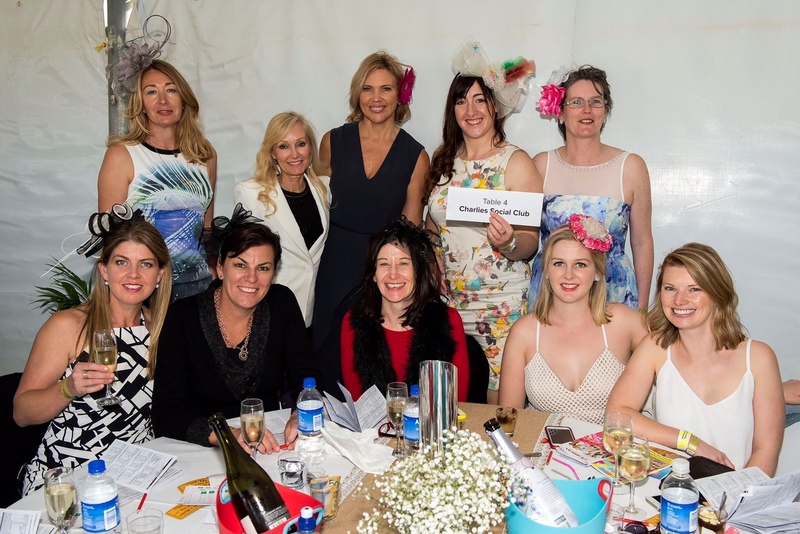 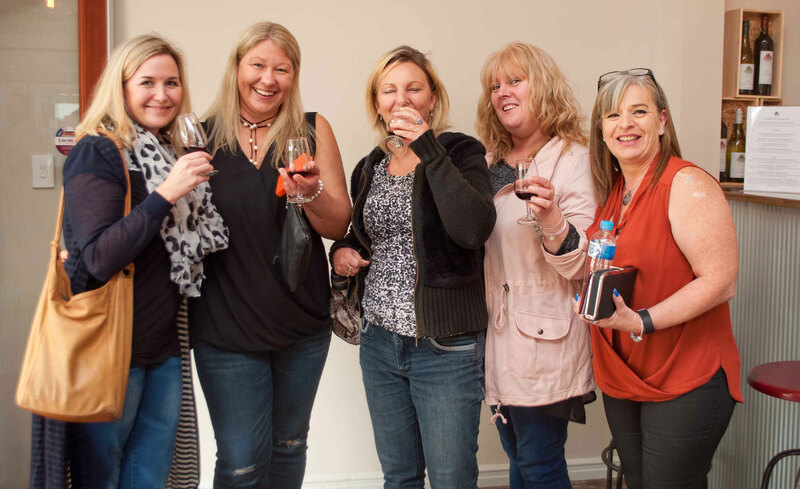 Ladies Day at the Northam Racecourse on the 9th of October was a great day and the ladies had lots of Fun as you an see from the pictures below. 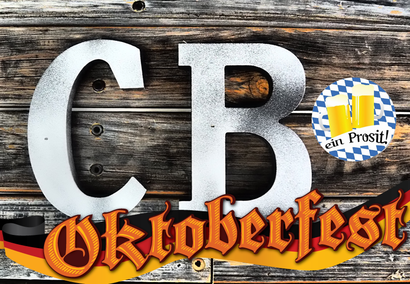 Oktoberfest 2016 on the 14th of Oktober was a great night with entertainment provided by Cruise Control, a selection of German beers and free German food platters. 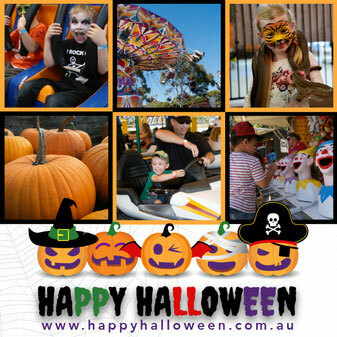 Jack O’Lanterns, trick or treating, heaps of rides, face painting and lots more! 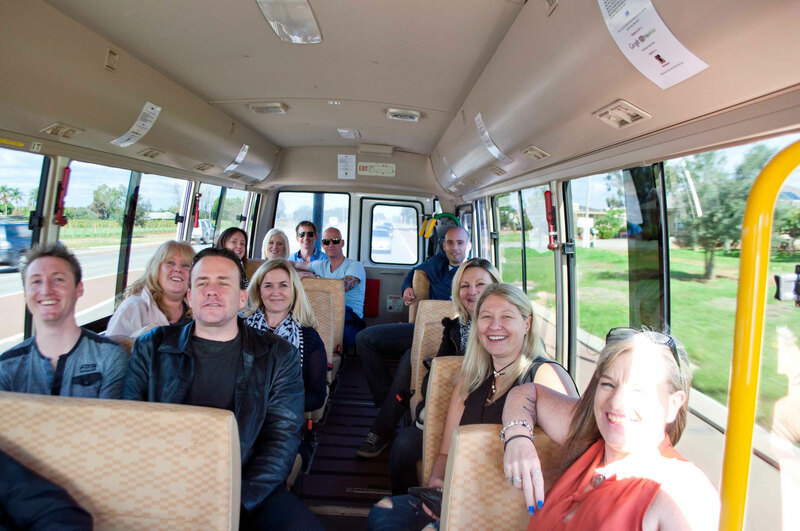 A fun day out for all families! 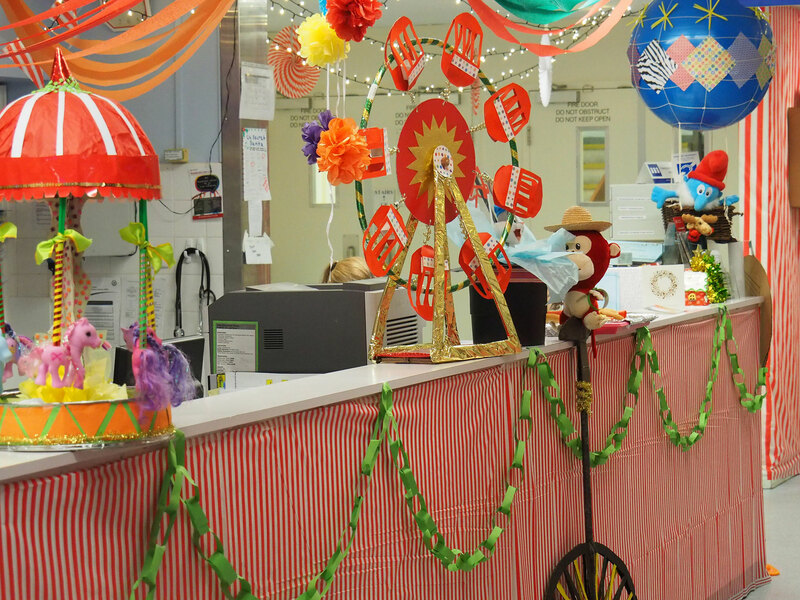 Members were able to purchase events online at a discount to Happy Halloween! 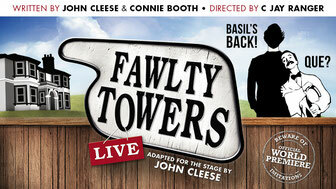 John Cleese is bringing faulty towers to the Regal! 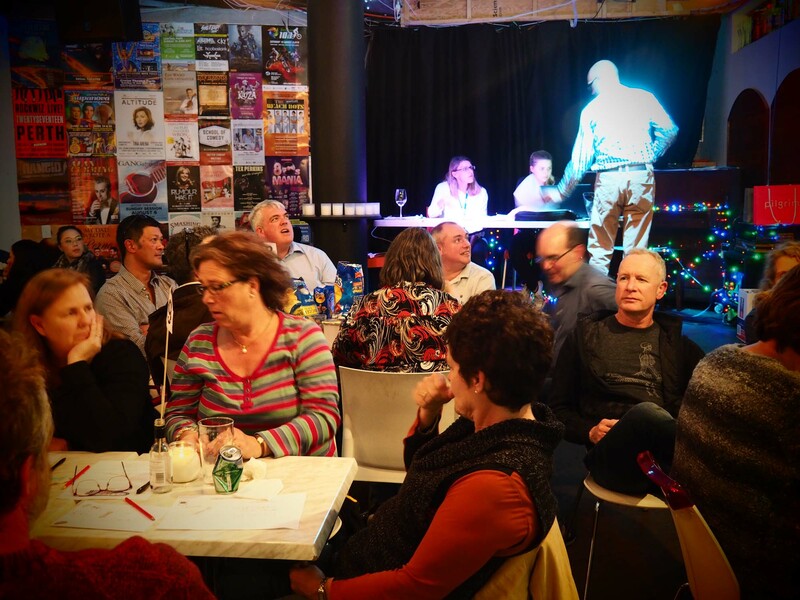 We have tickets for 2pm the 19th of November if you're excited to see Basil. 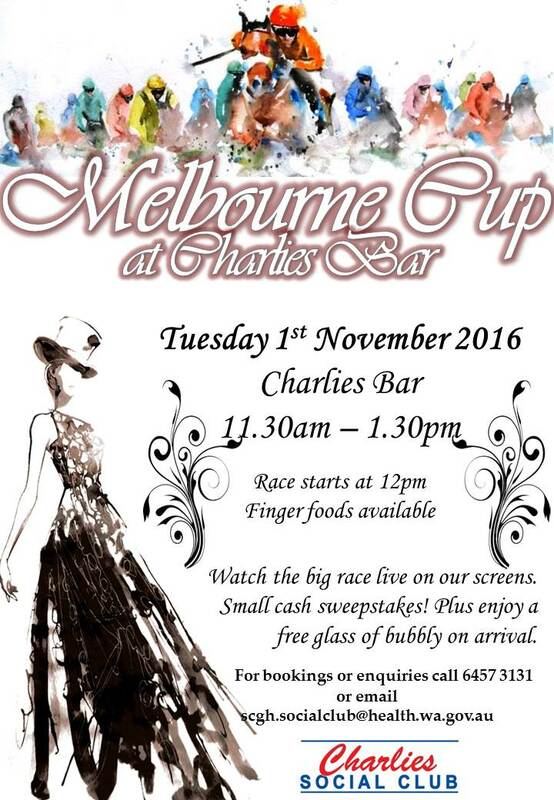 We have had 3 more tickets become available so contact the office if you'd like to go. 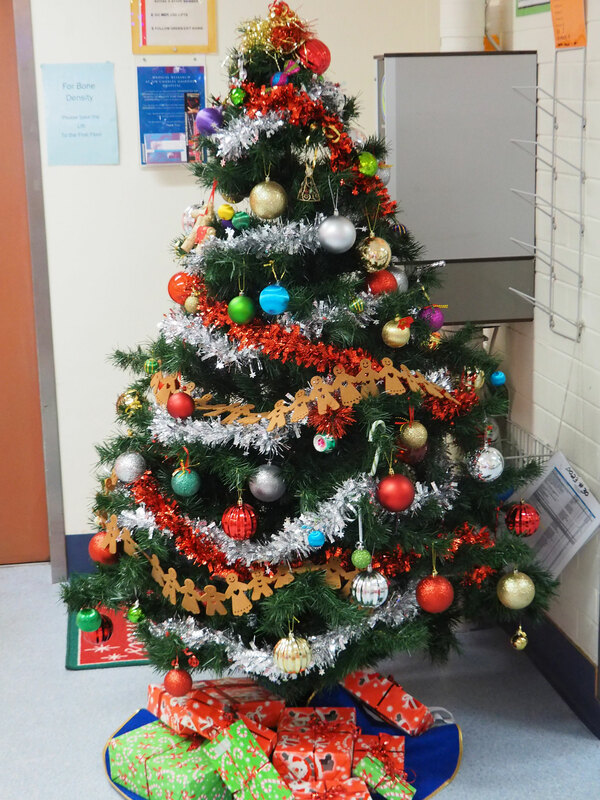 Merry Christmas to all our members, staff and volunteers! 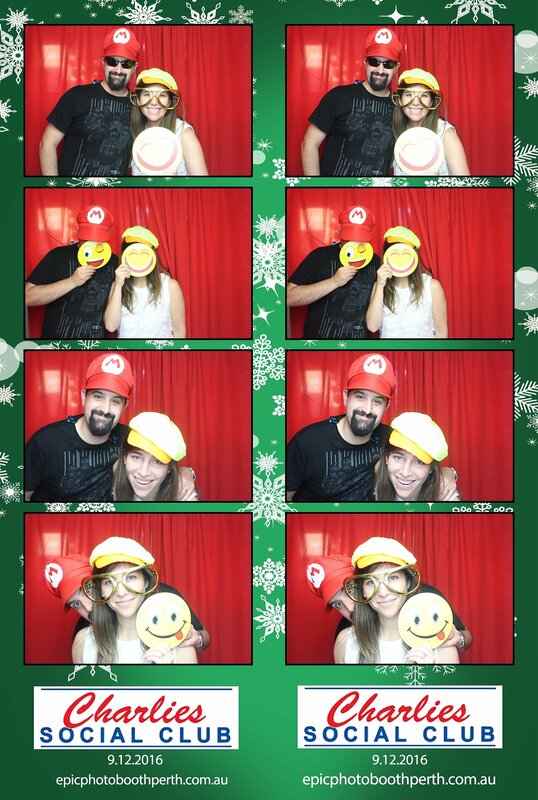 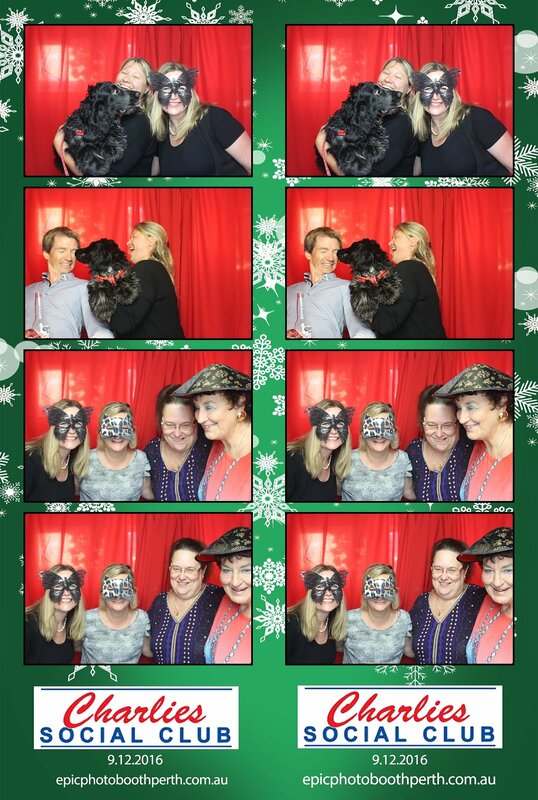 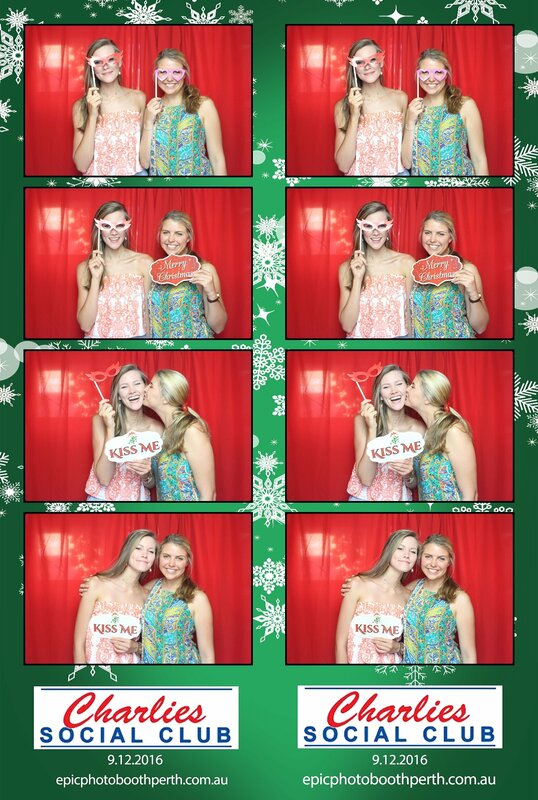 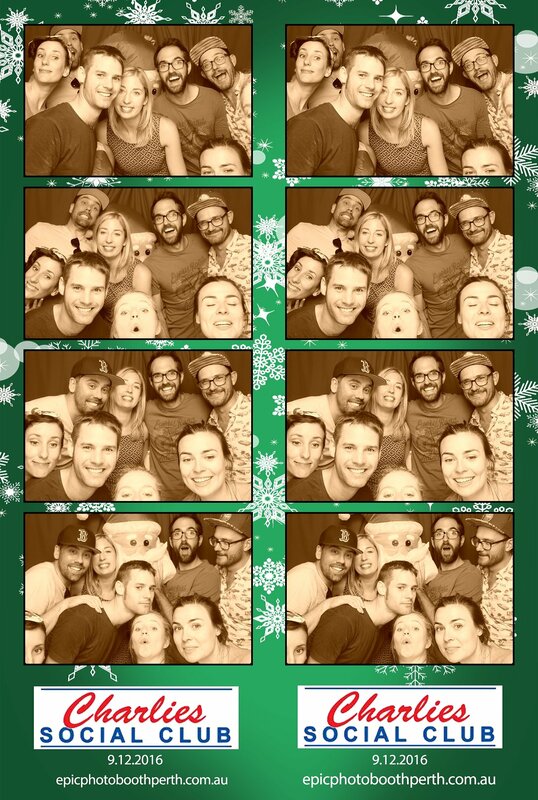 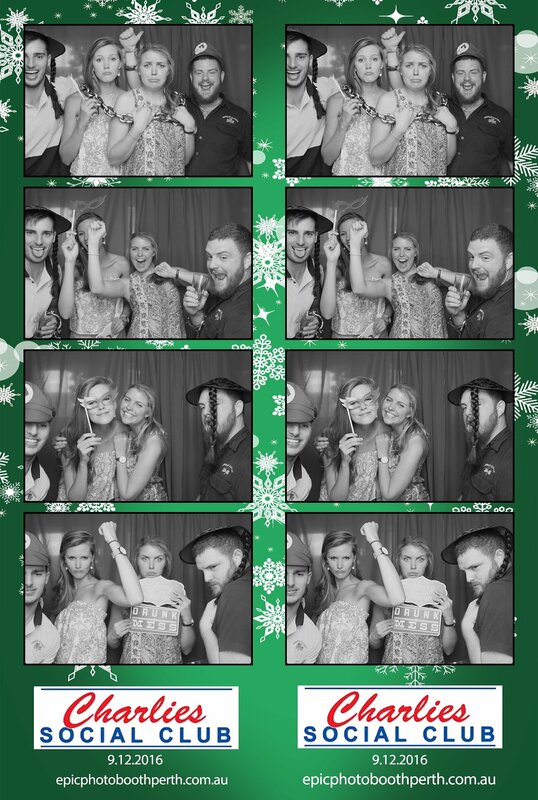 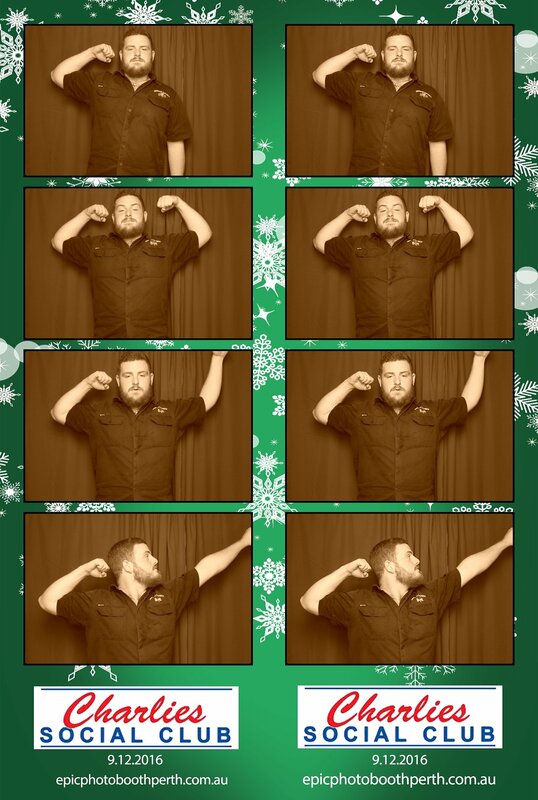 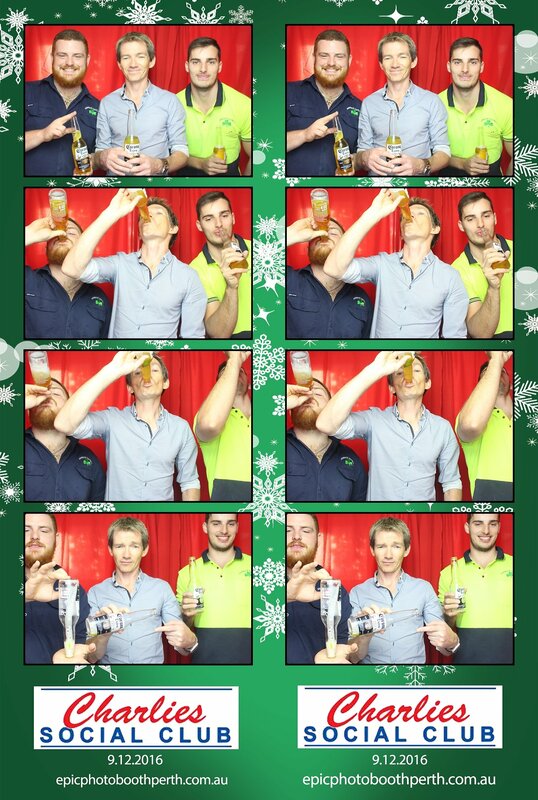 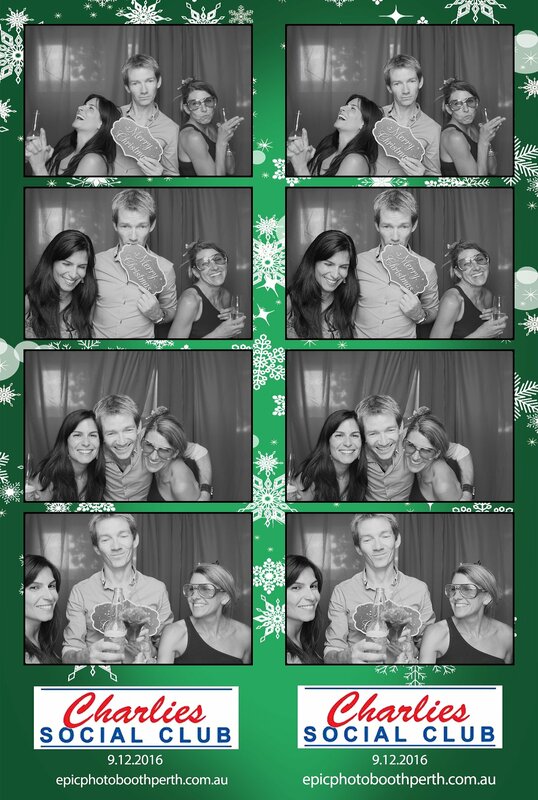 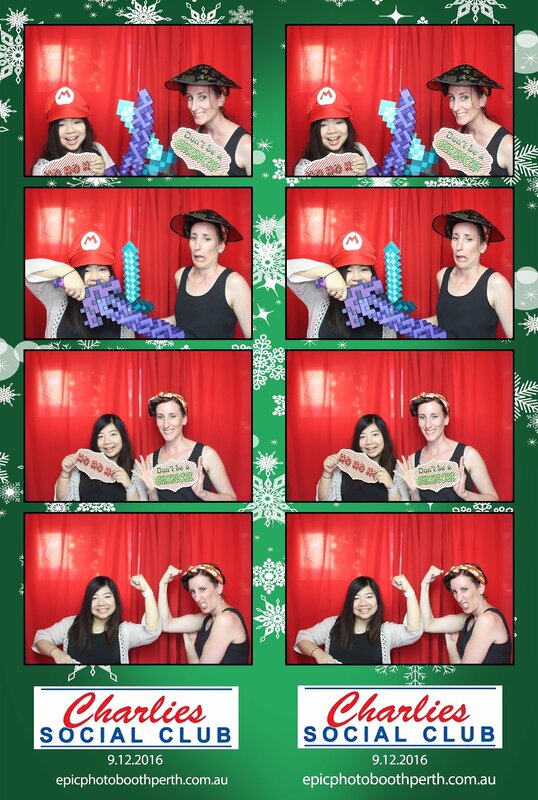 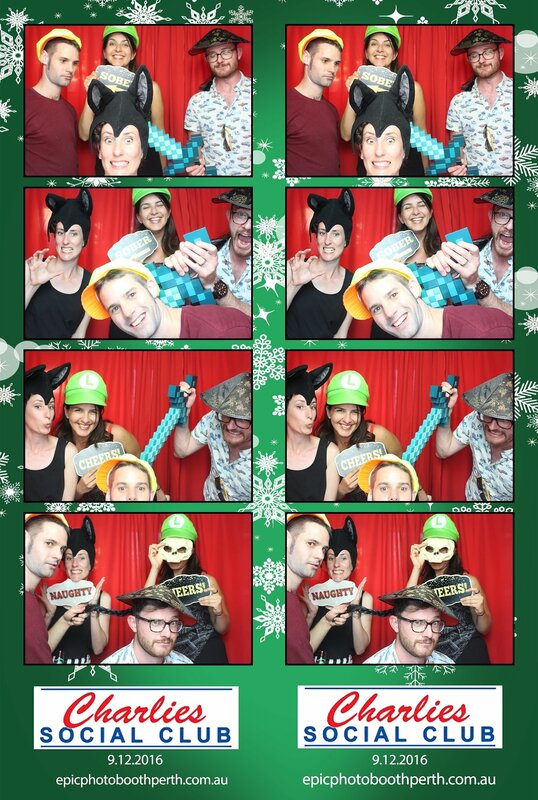 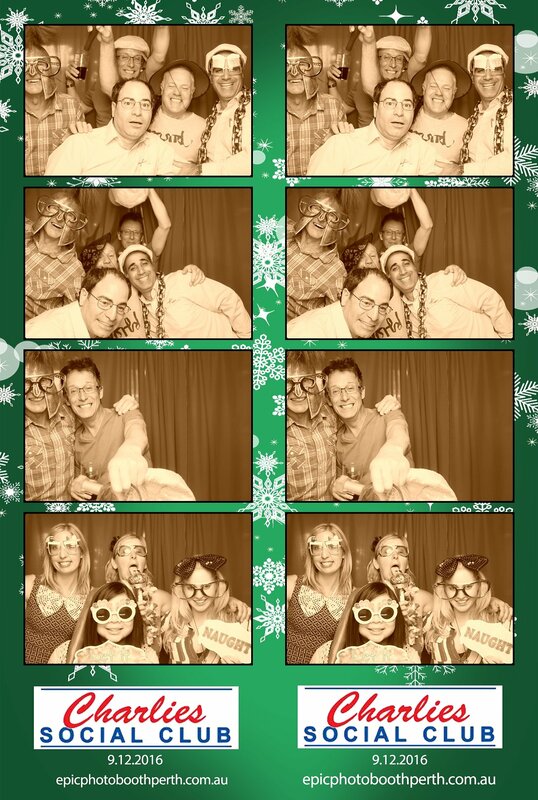 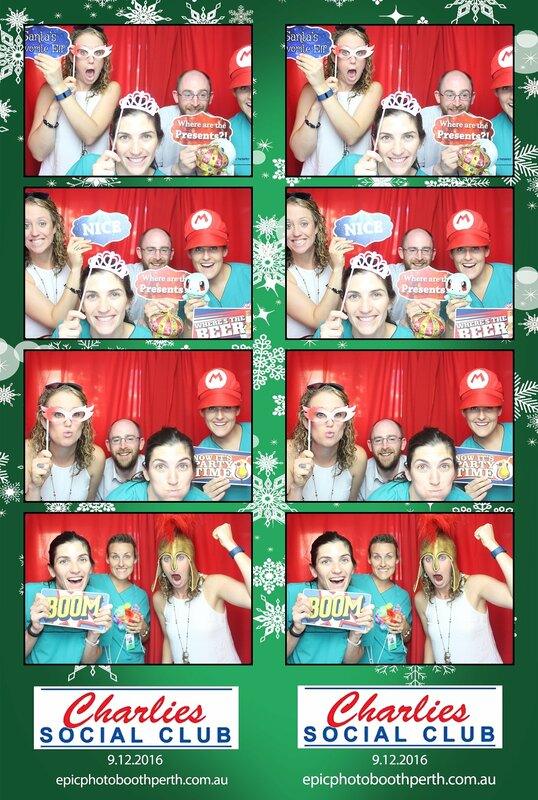 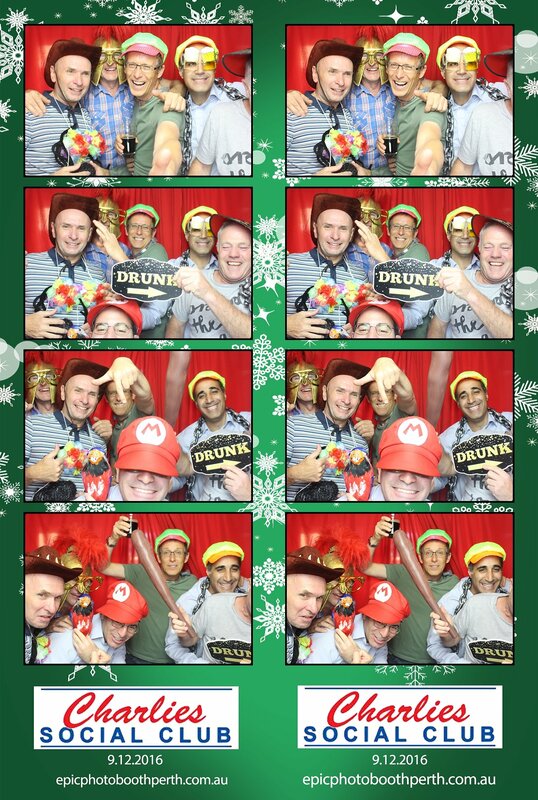 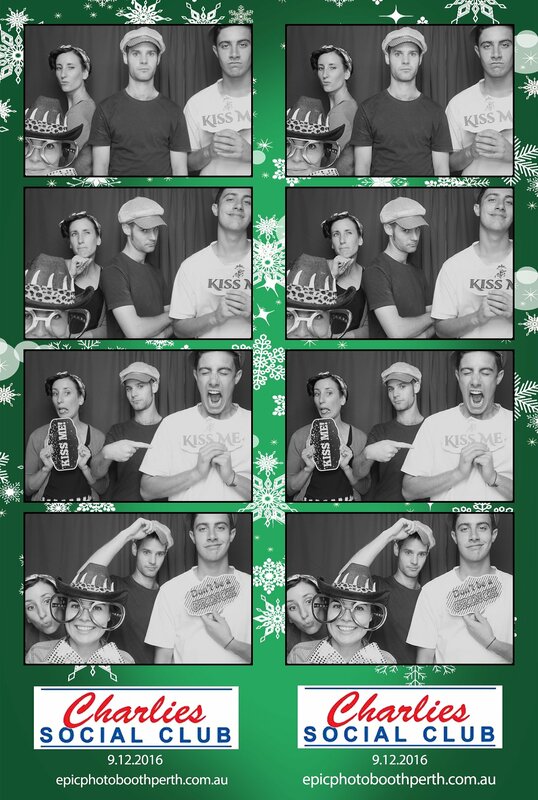 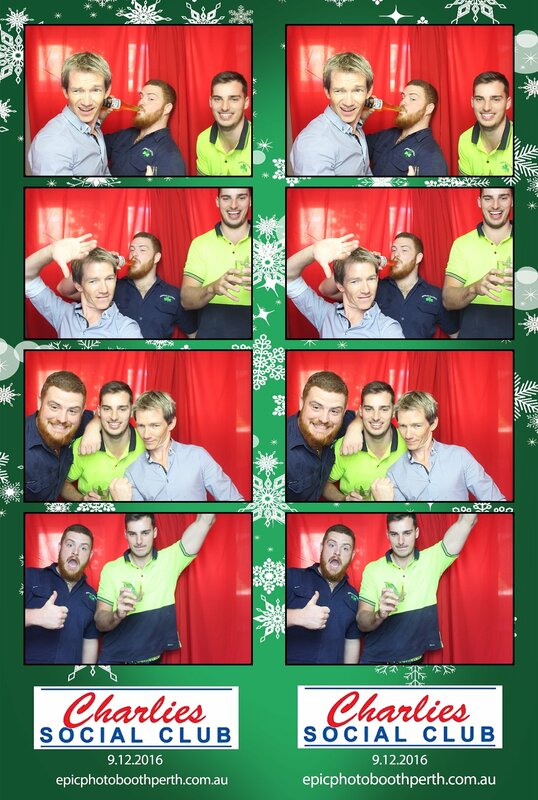 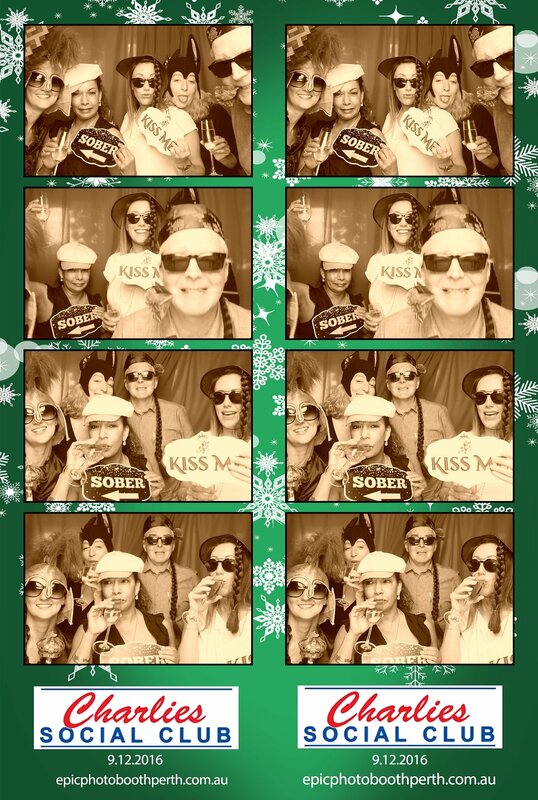 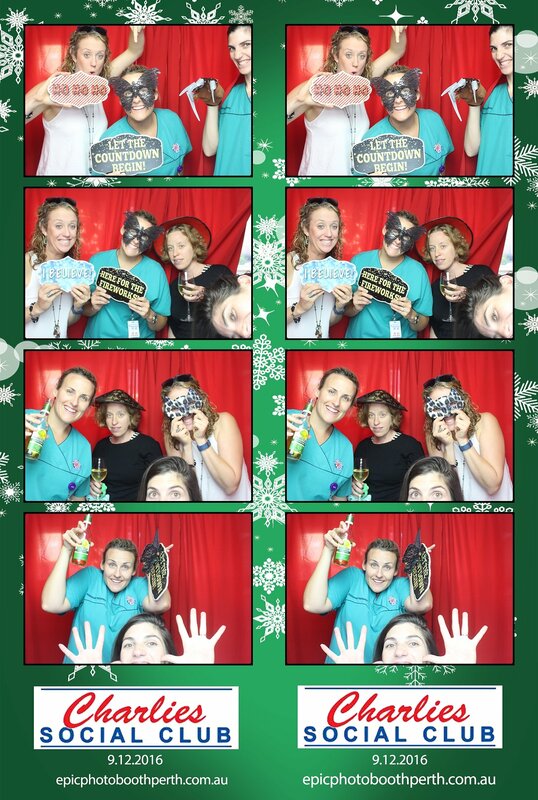 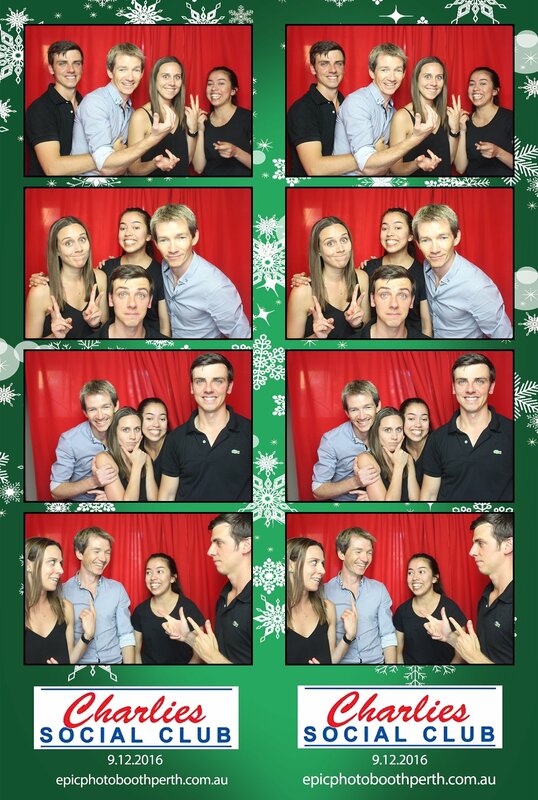 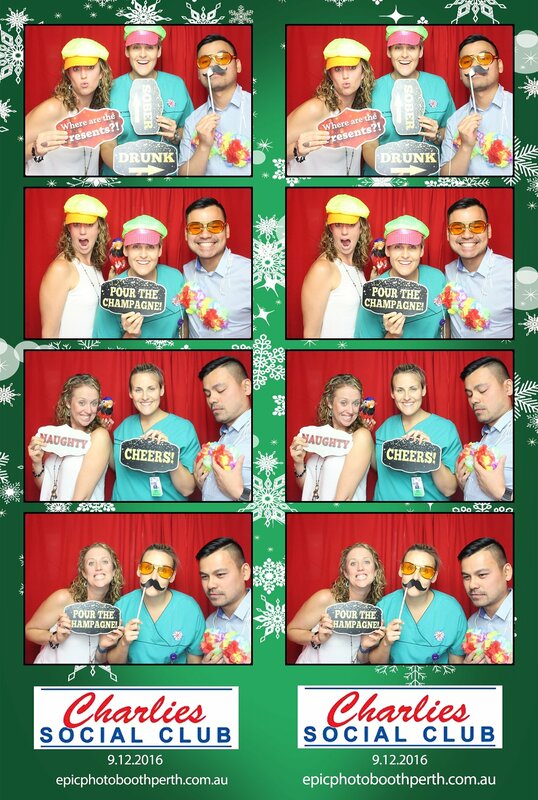 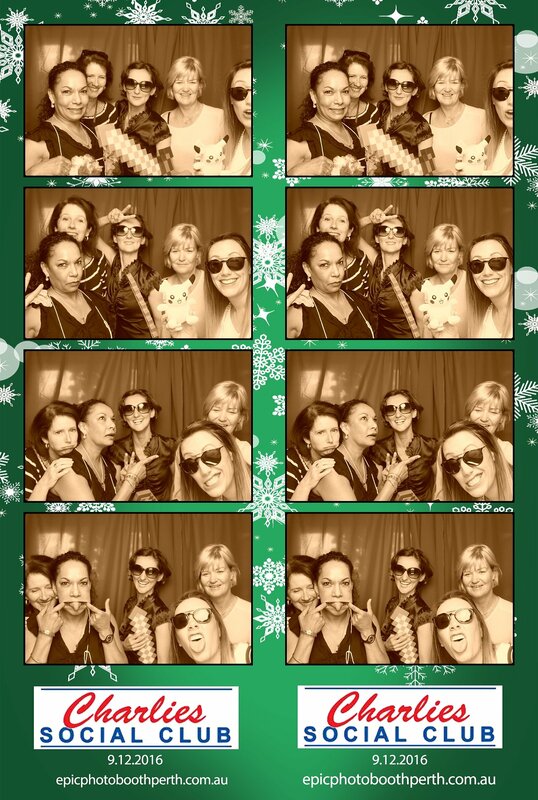 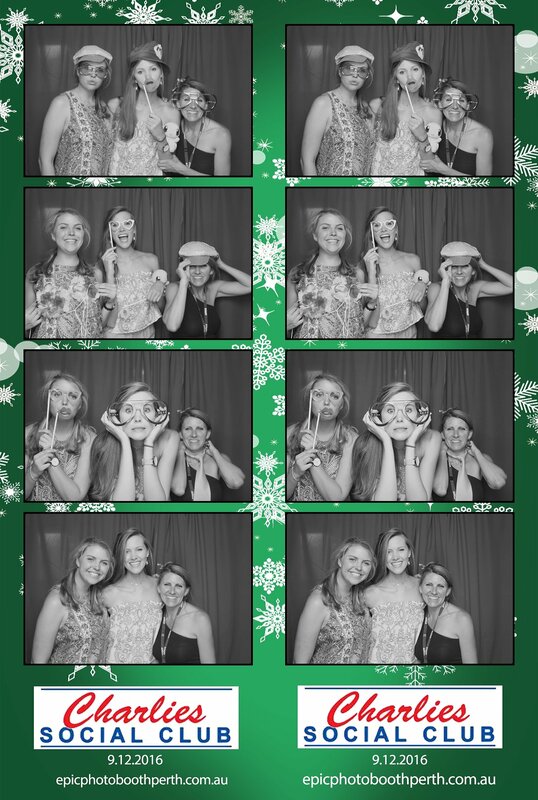 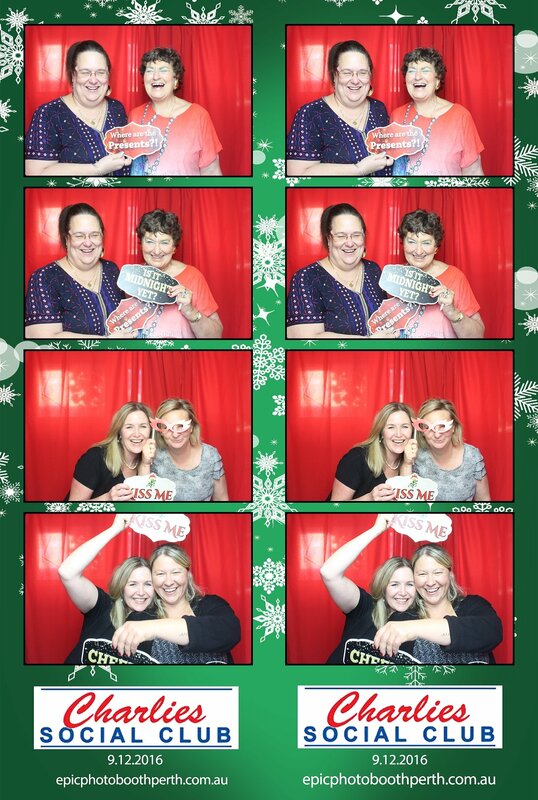 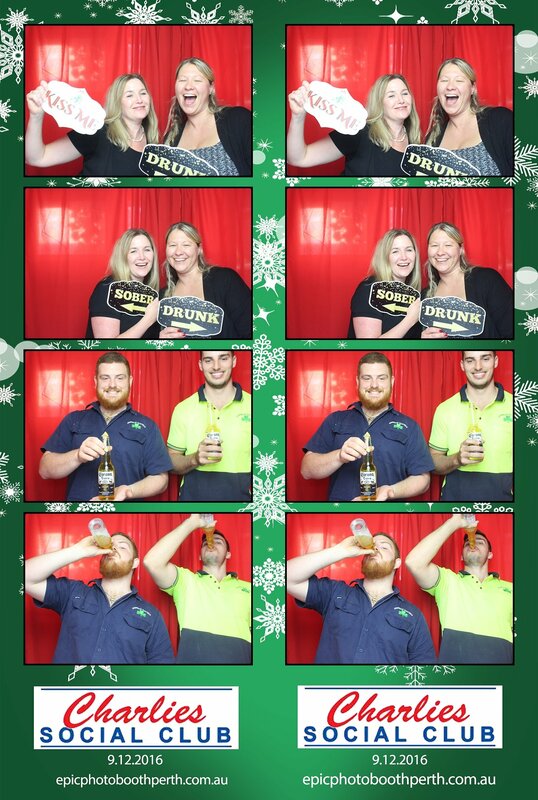 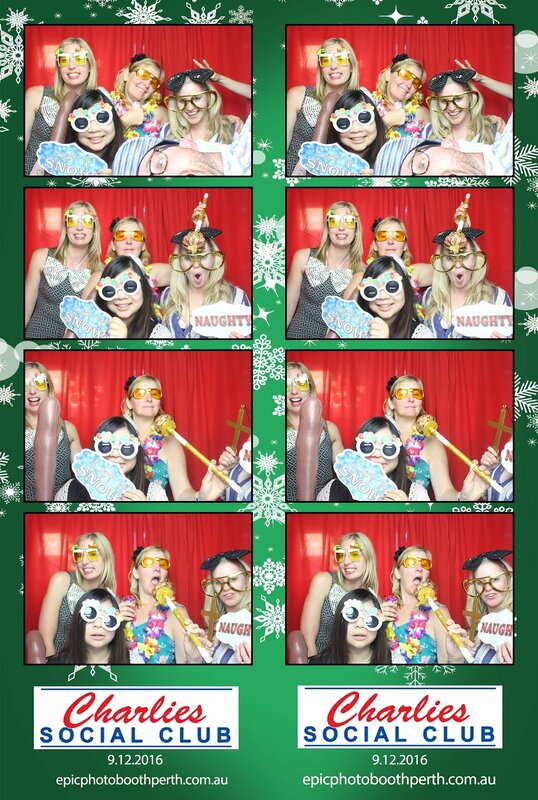 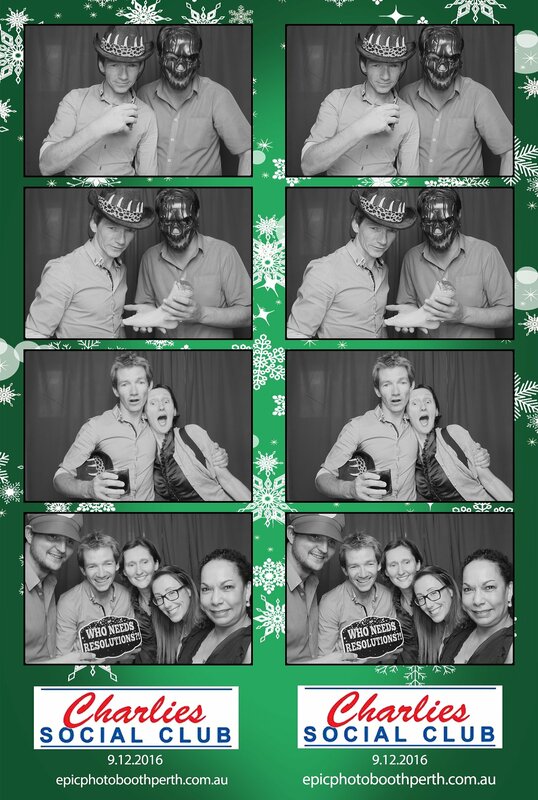 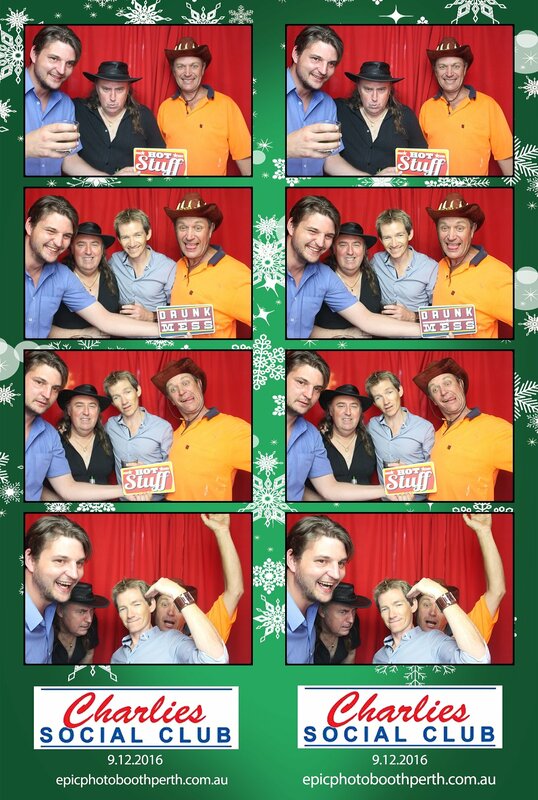 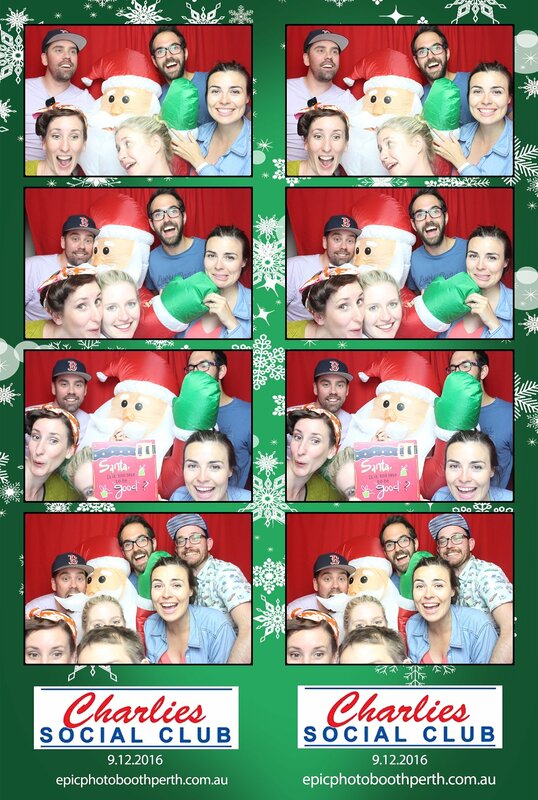 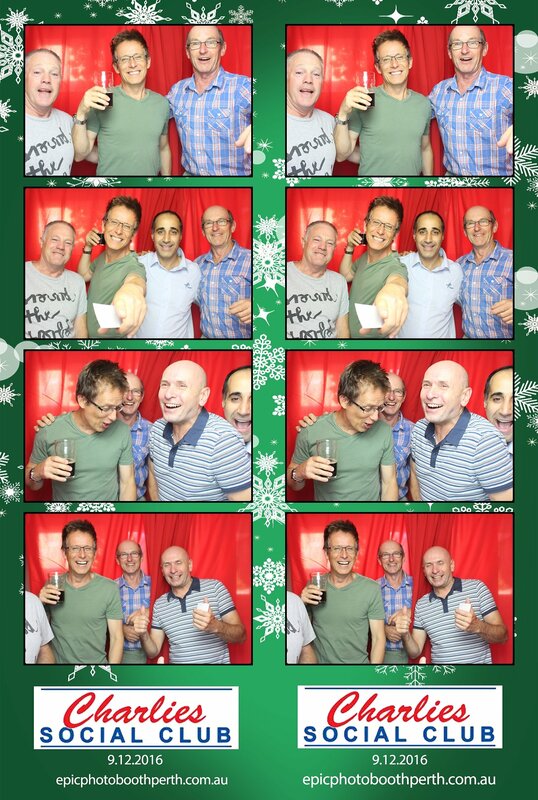 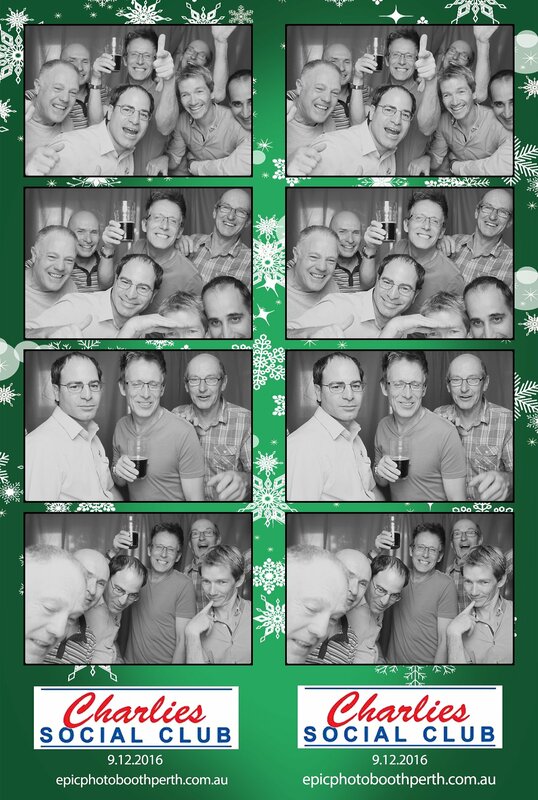 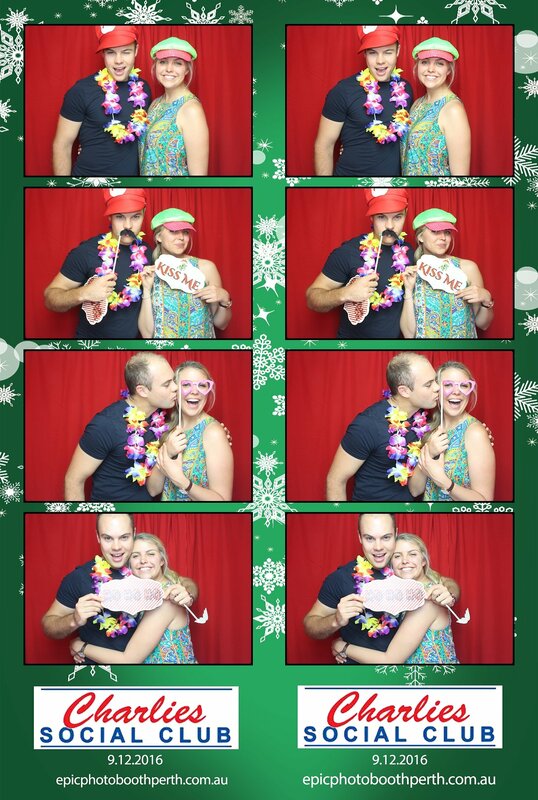 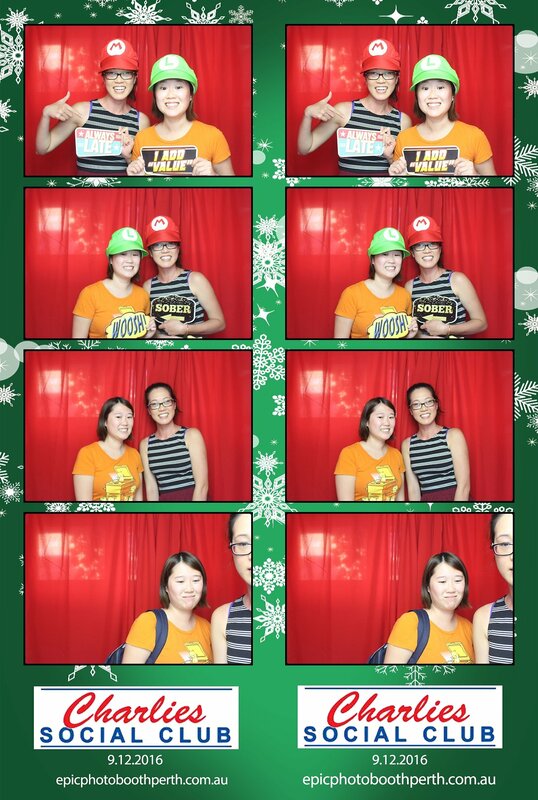 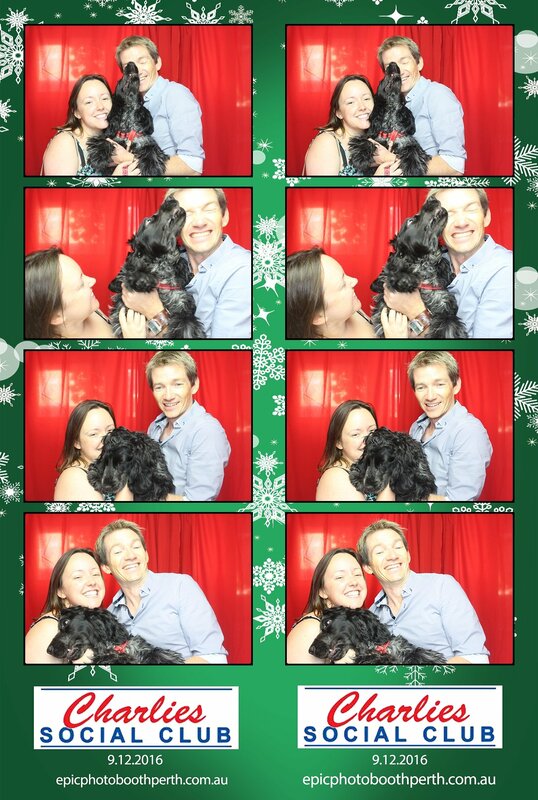 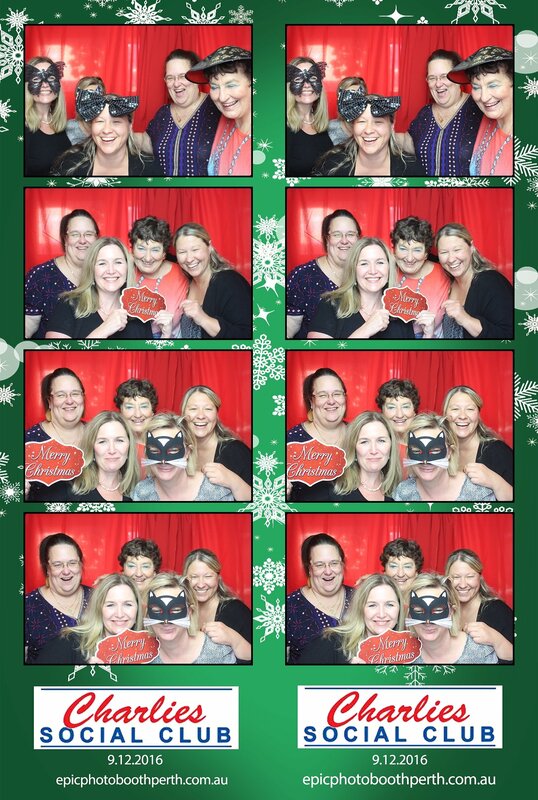 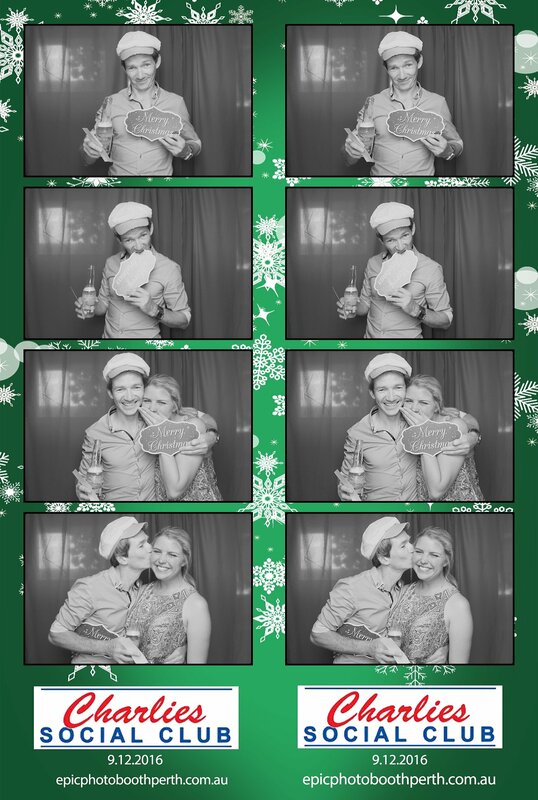 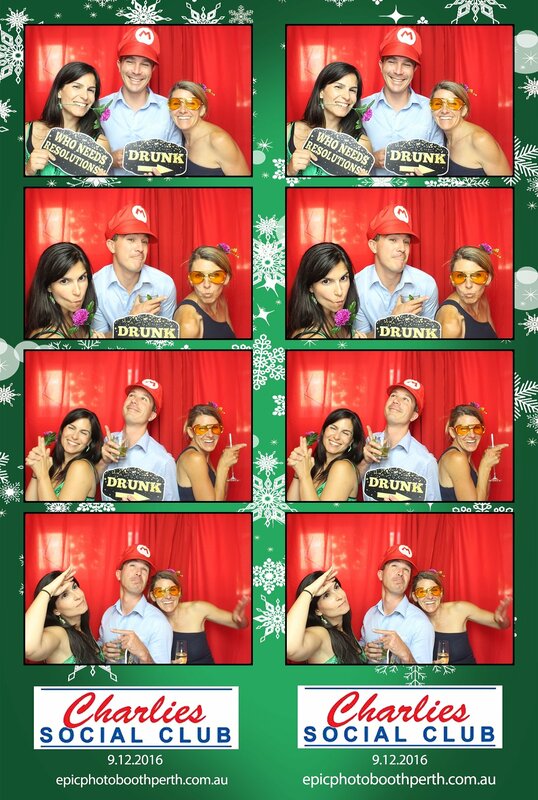 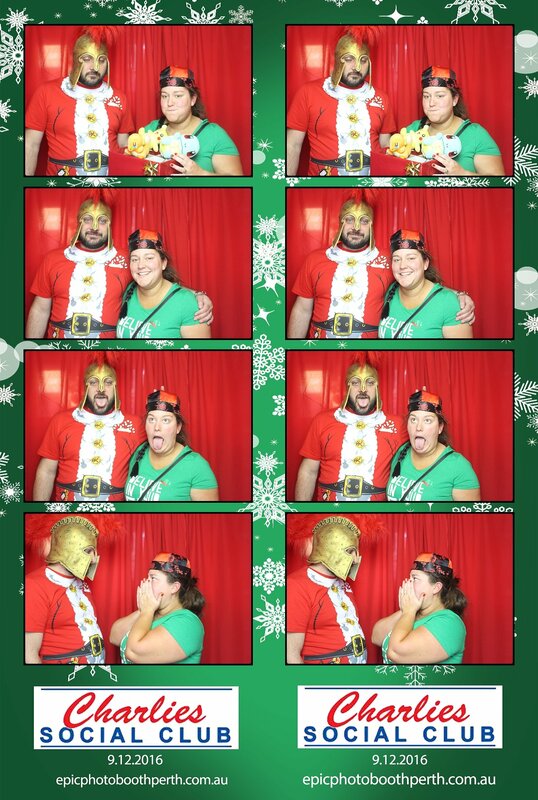 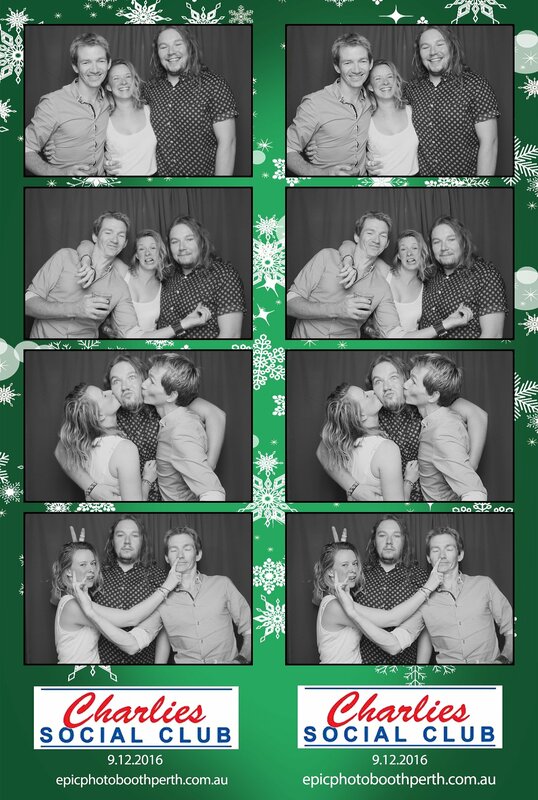 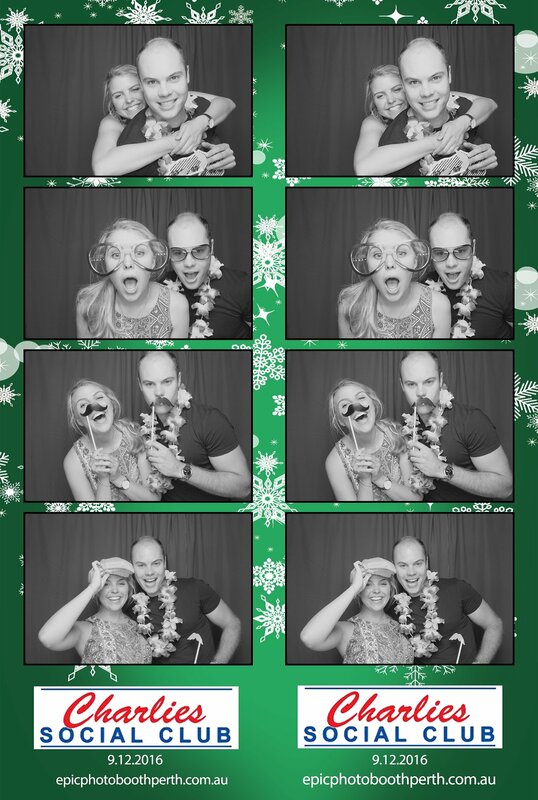 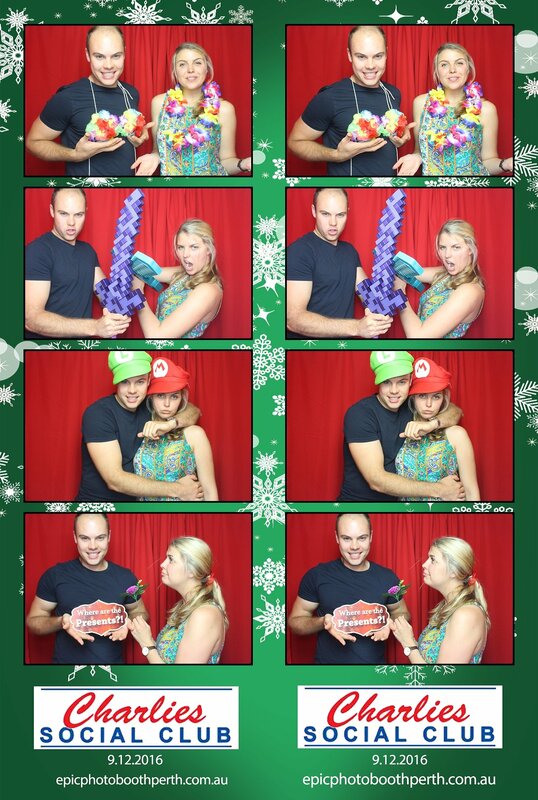 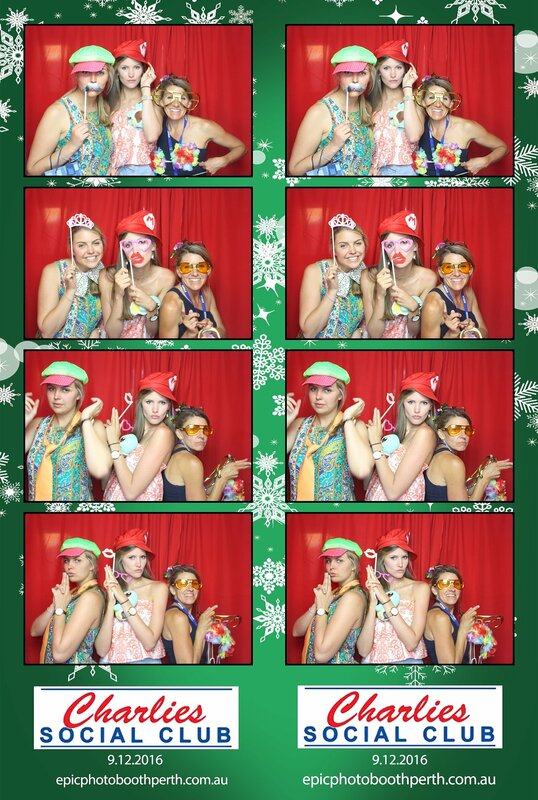 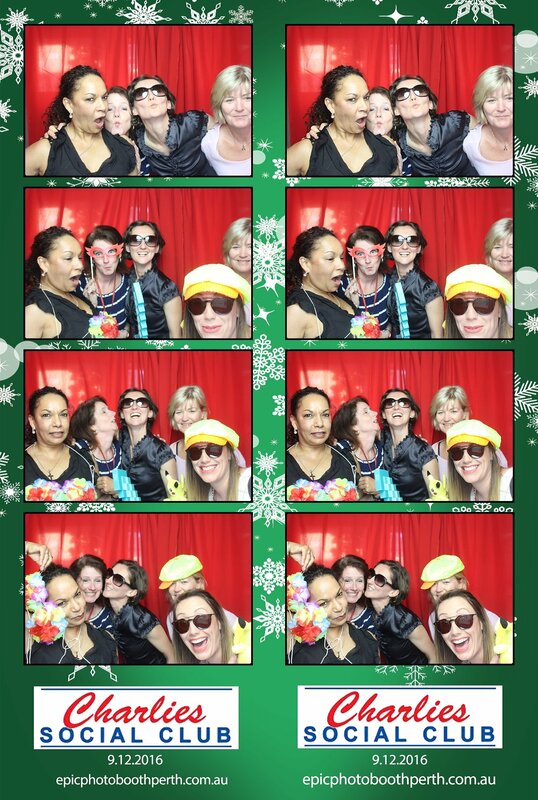 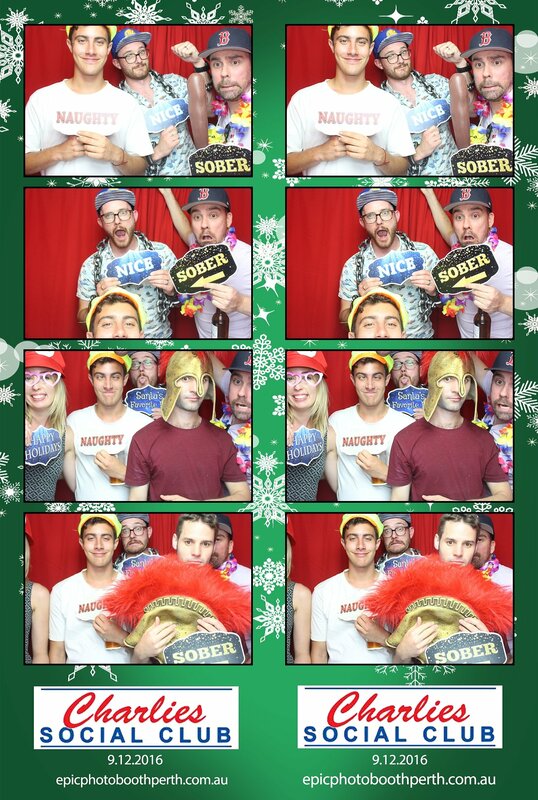 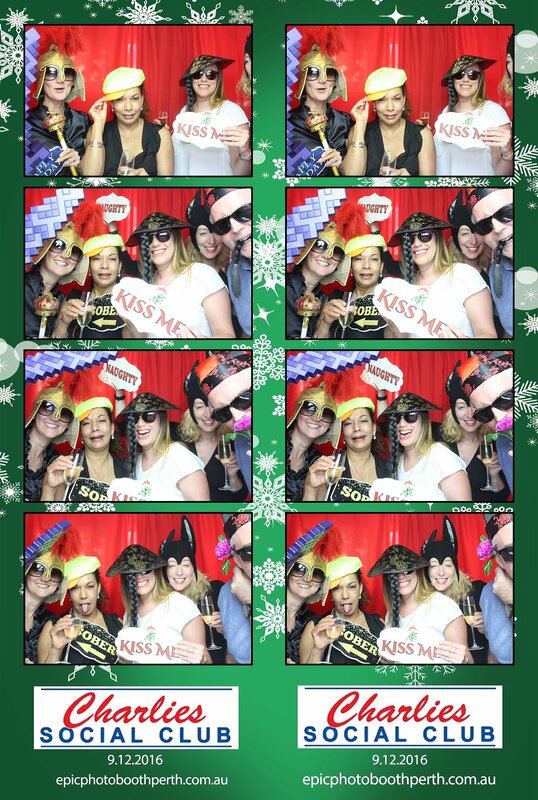 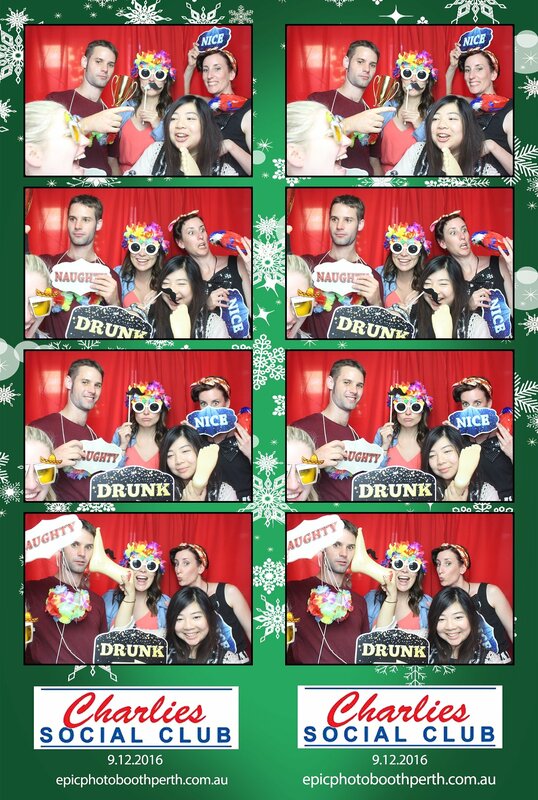 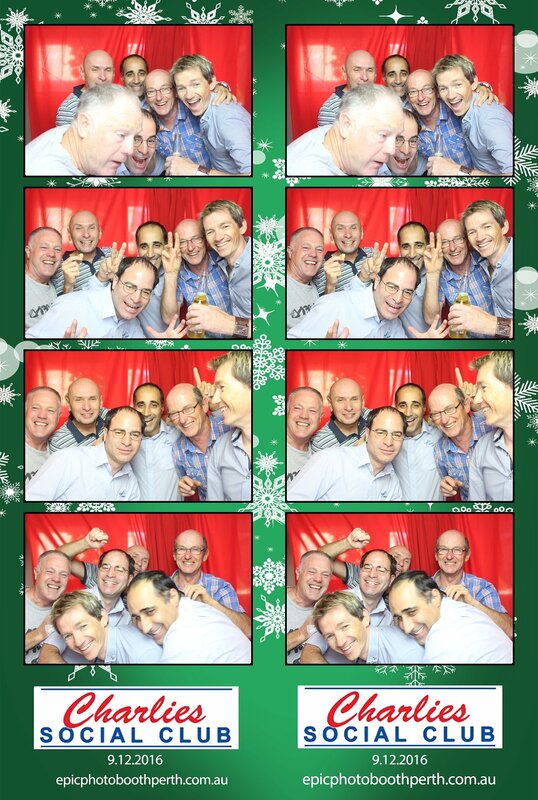 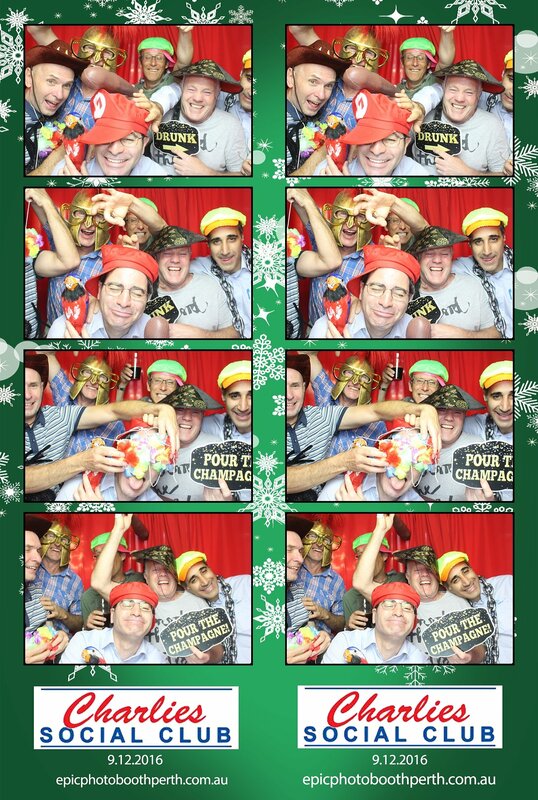 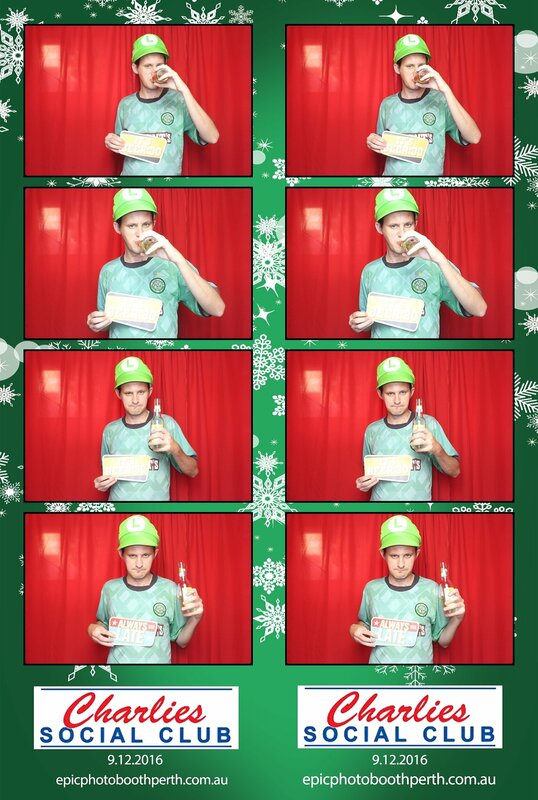 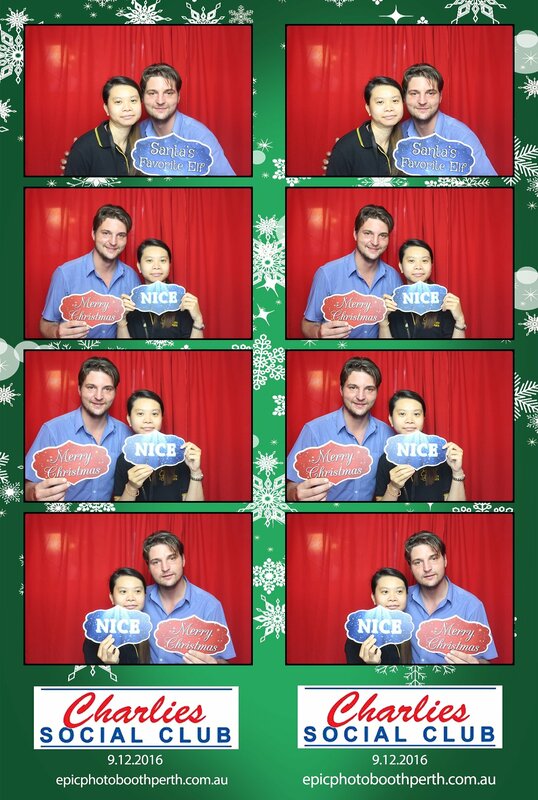 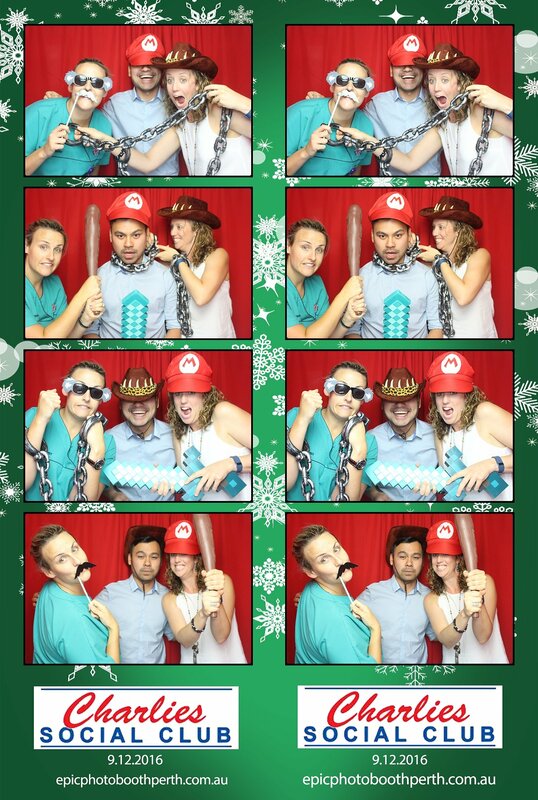 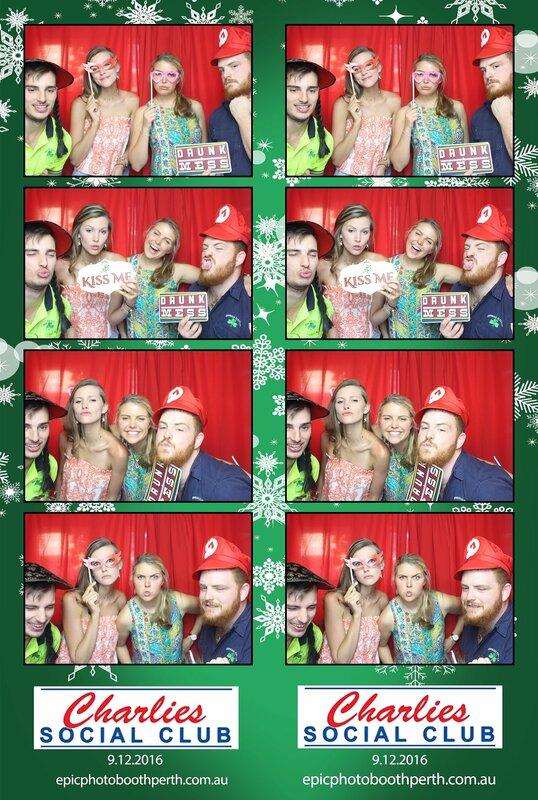 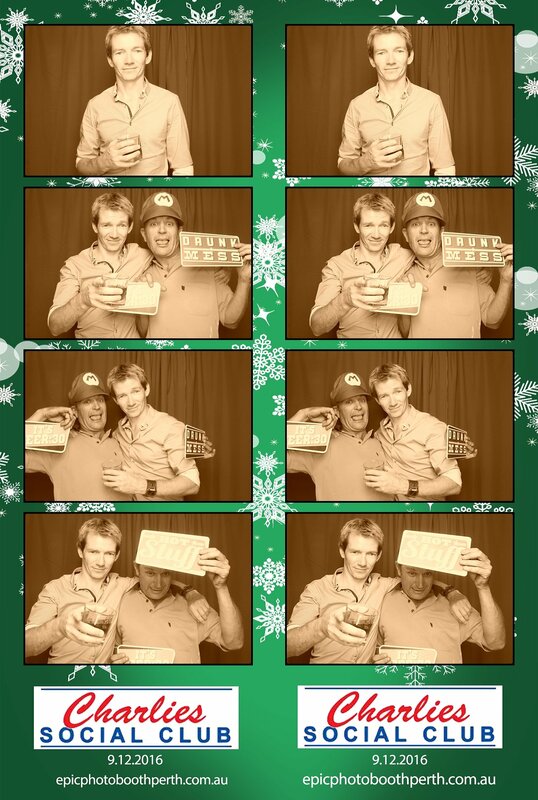 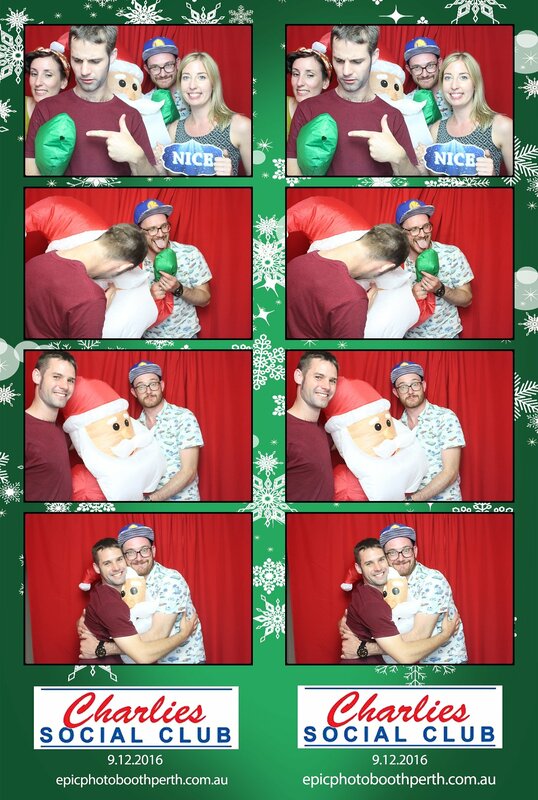 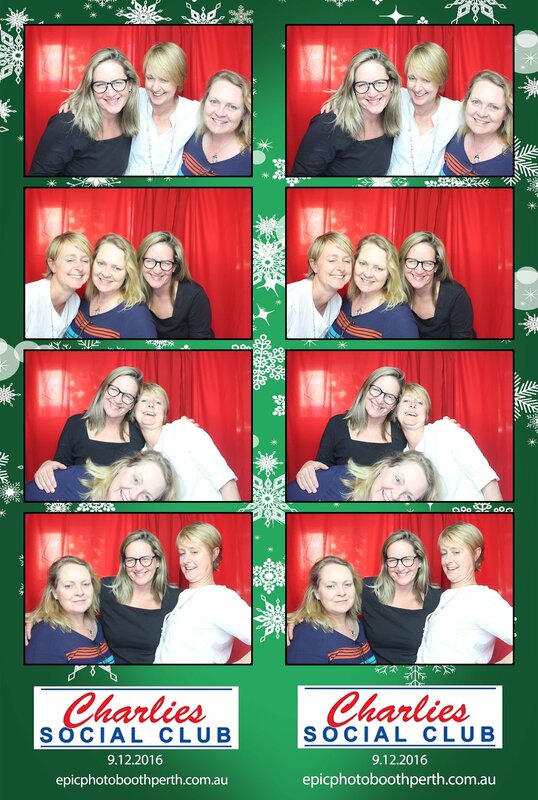 Contact us if you'd like a copy of your Christmas Photobooth shots. 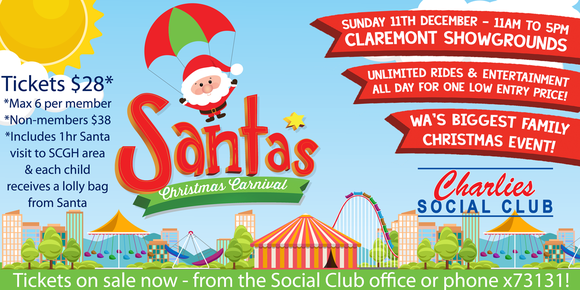 Tickets for Santa's Christmas Carnival are now available. 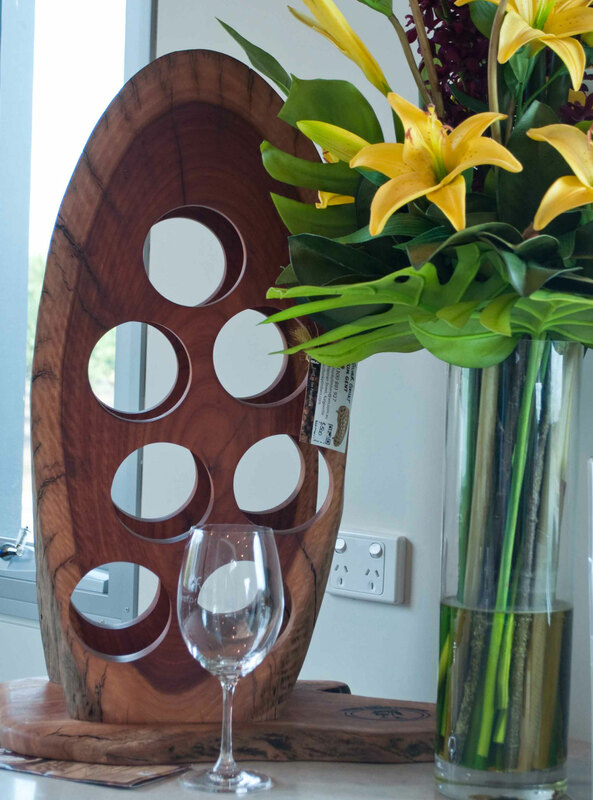 They are very limited and sell our so get in quick. 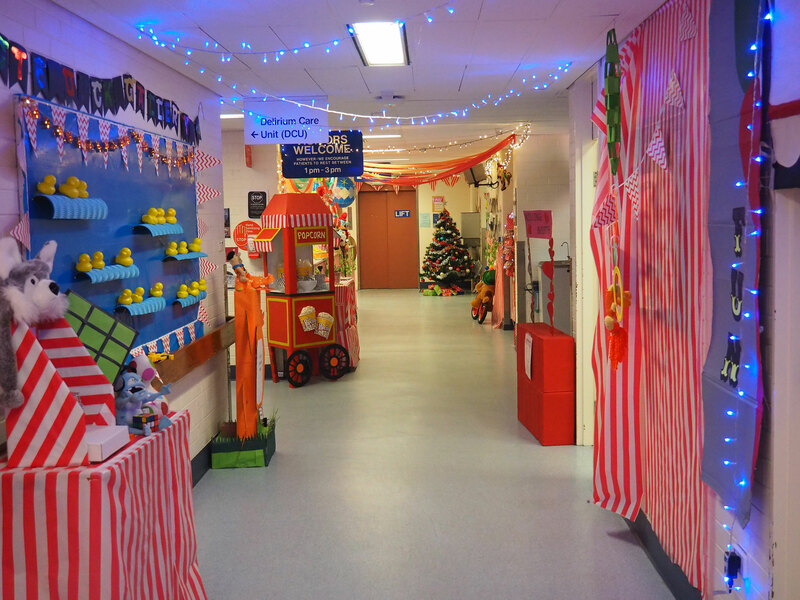 This year Santa is arriving via helicopter and SCGH Ticket holders have their own corporate area which Santa will visit for an hour and distribute lolly bags to the children. 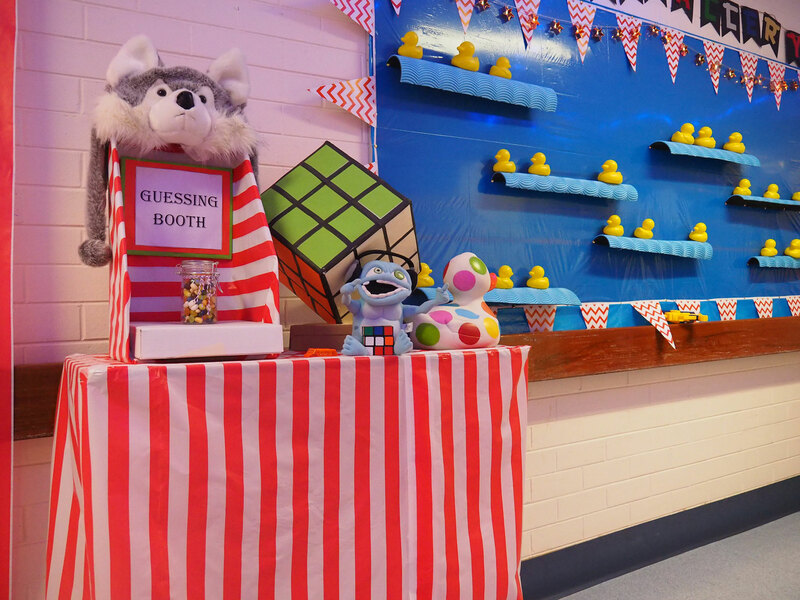 For $28 you won't find better value to entertain the kids. 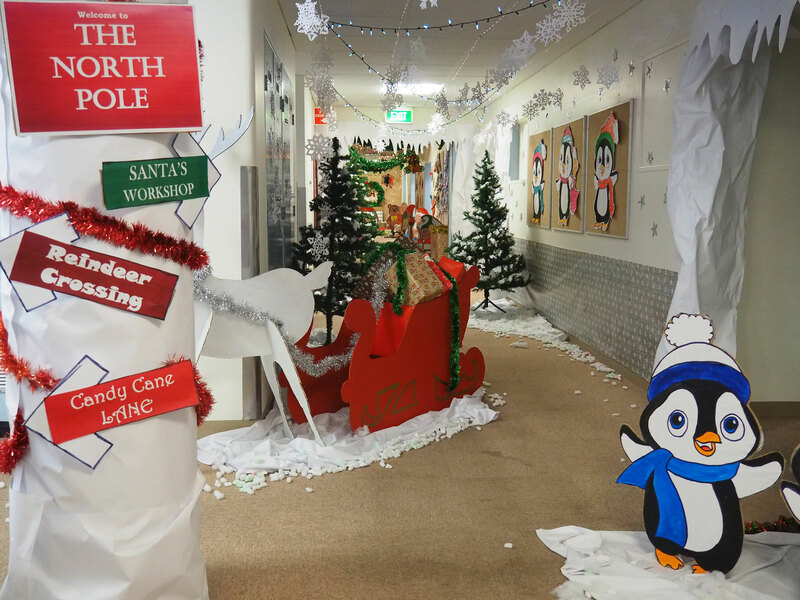 A huge thank you to all staff who participated in the 2016 ward decorating competition. 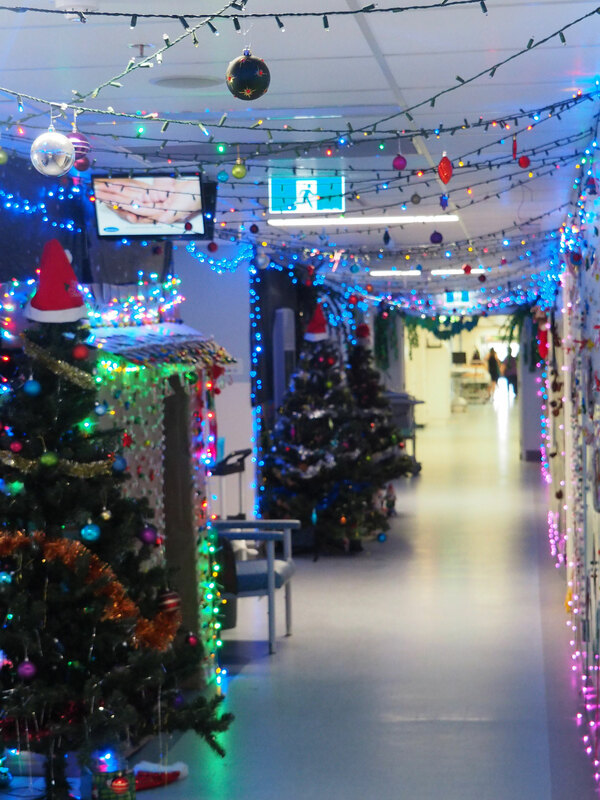 It makes a huge difference to patients and visitors unfortunate enough to be in hospital this time of the year by brightening up the place. 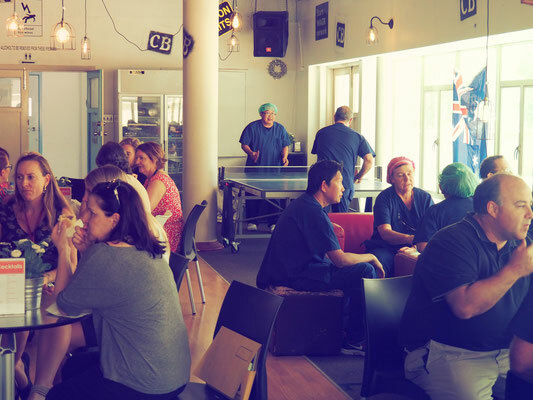 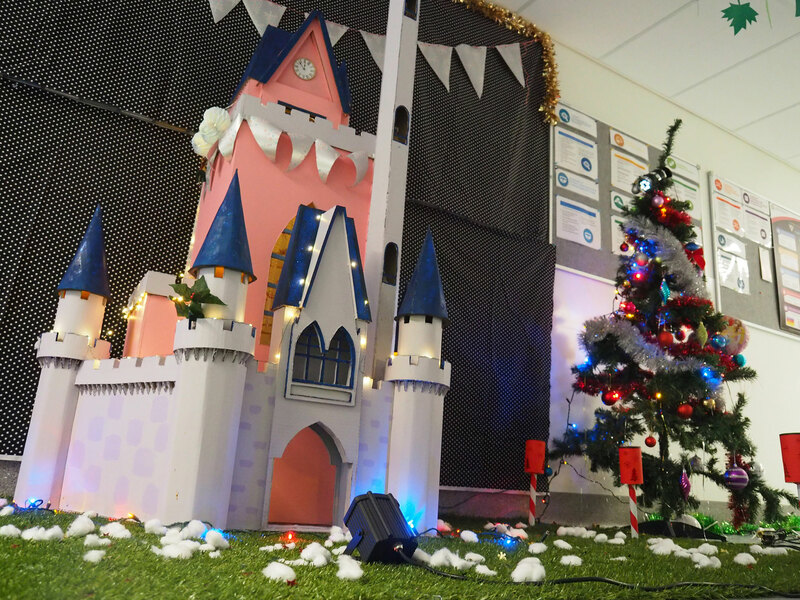 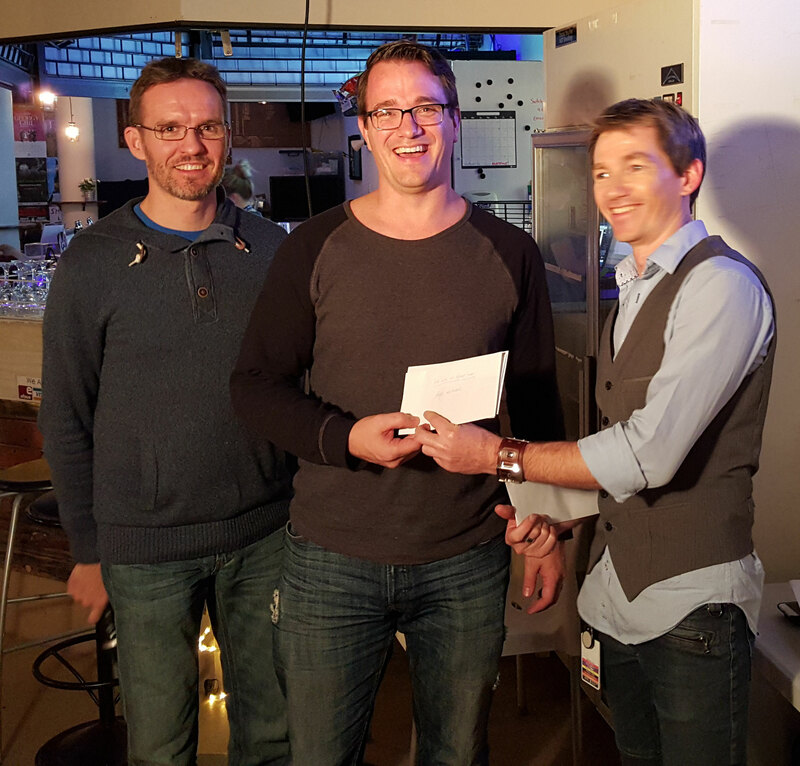 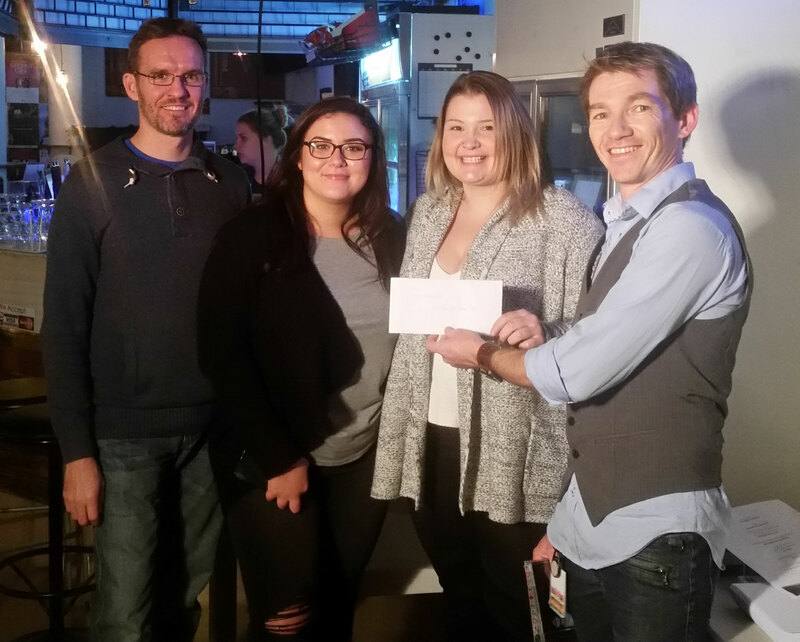 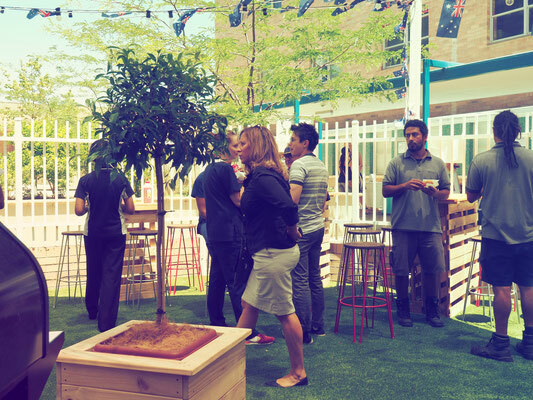 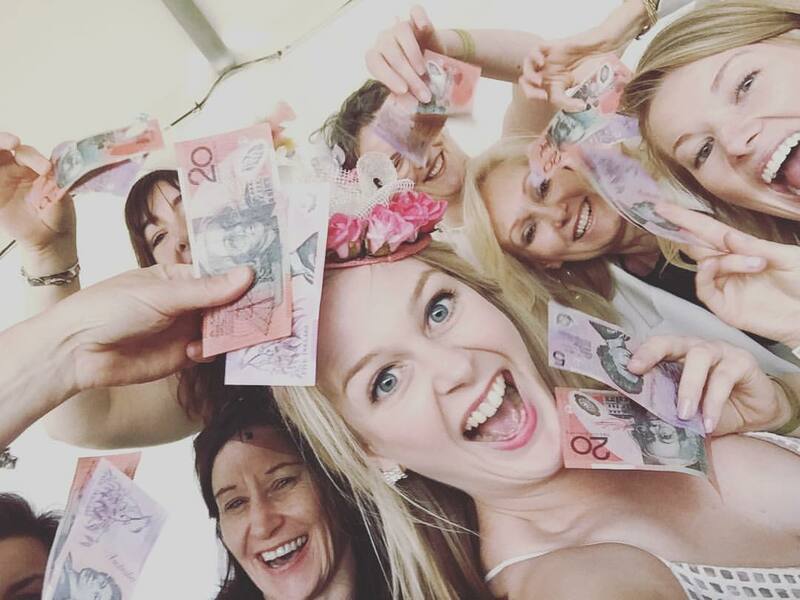 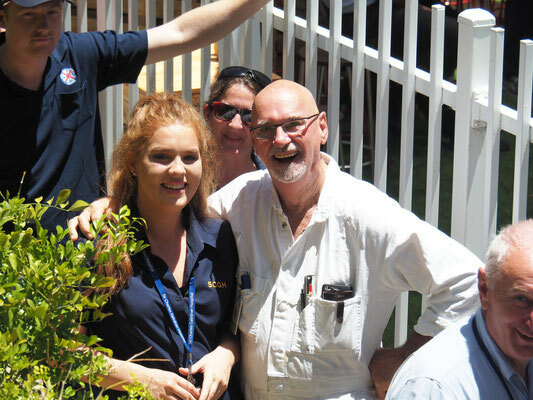 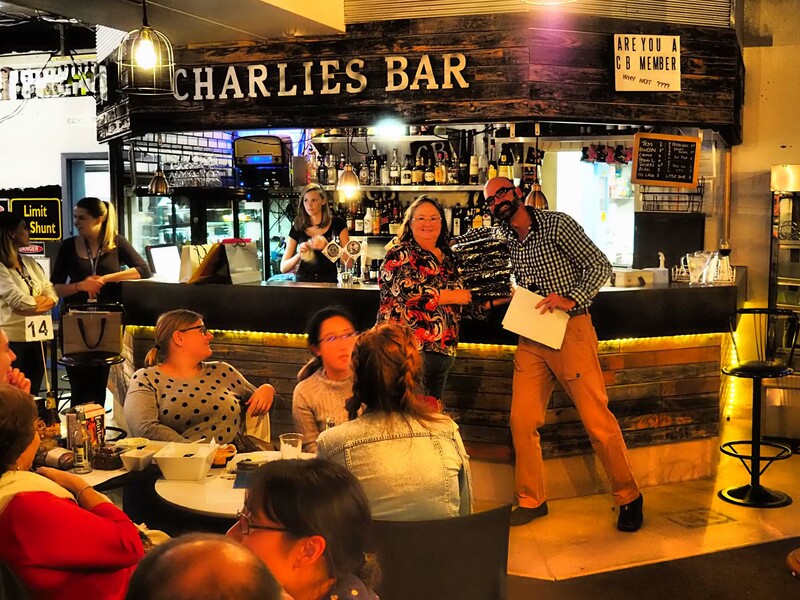 Congrats to C16, Speech Pathology and G73 who won the decorating competition and received $200, $100 and $50 vouchers for Charlies Bar from the Social Club for staff to get after their amazing efforts. 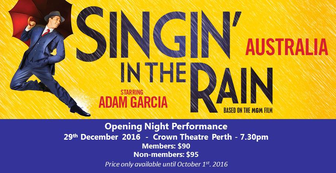 Singing in the Rain hit Crown in December 2016! 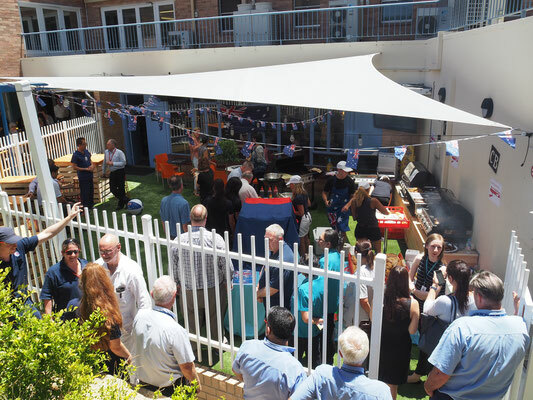 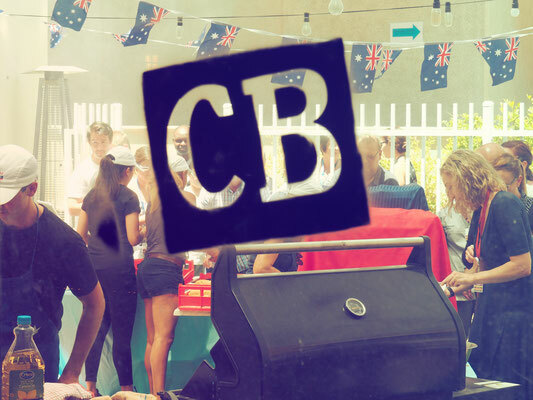 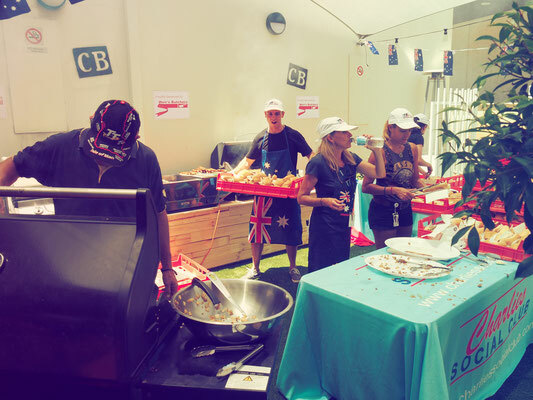 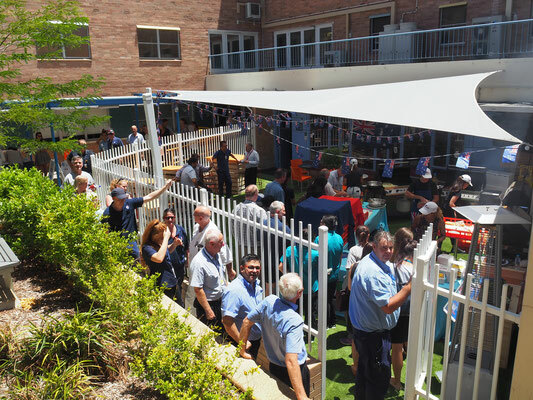 Big thanks to our staff for our Aussie Day Sausage Sizzle. 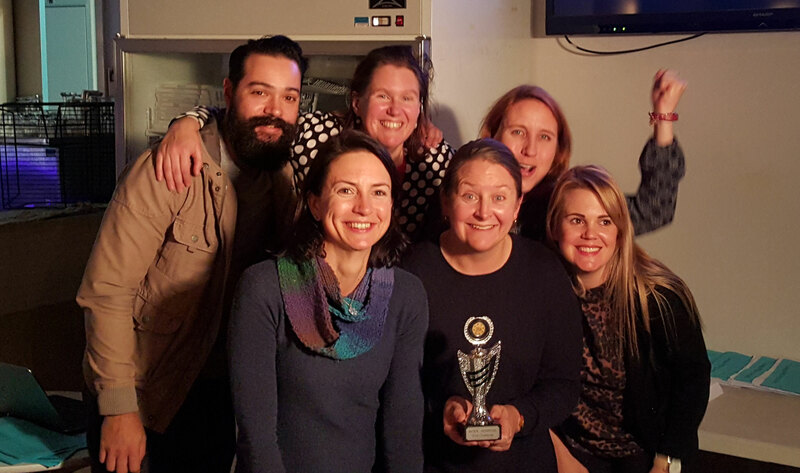 June 2017 Hospital Vs Hospital Quiz Champions! 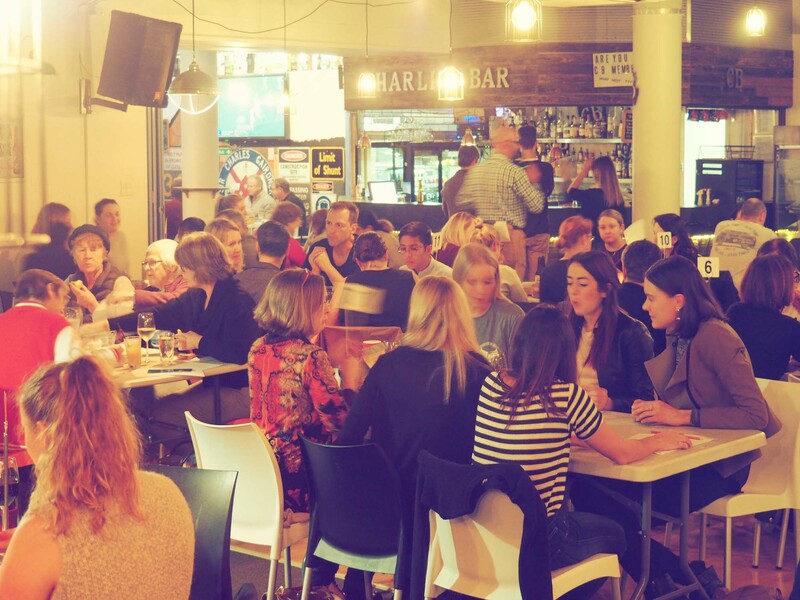 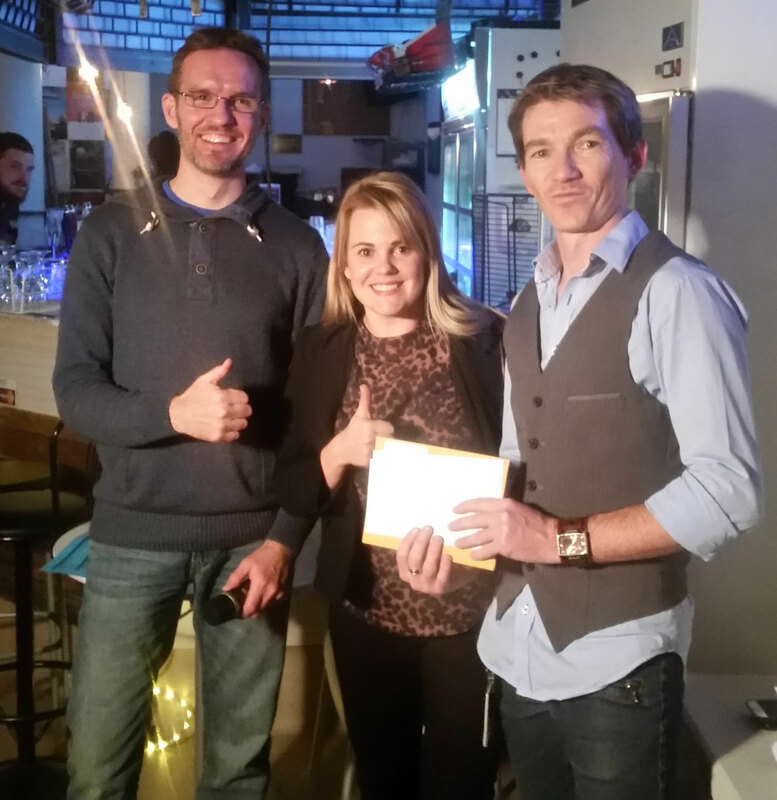 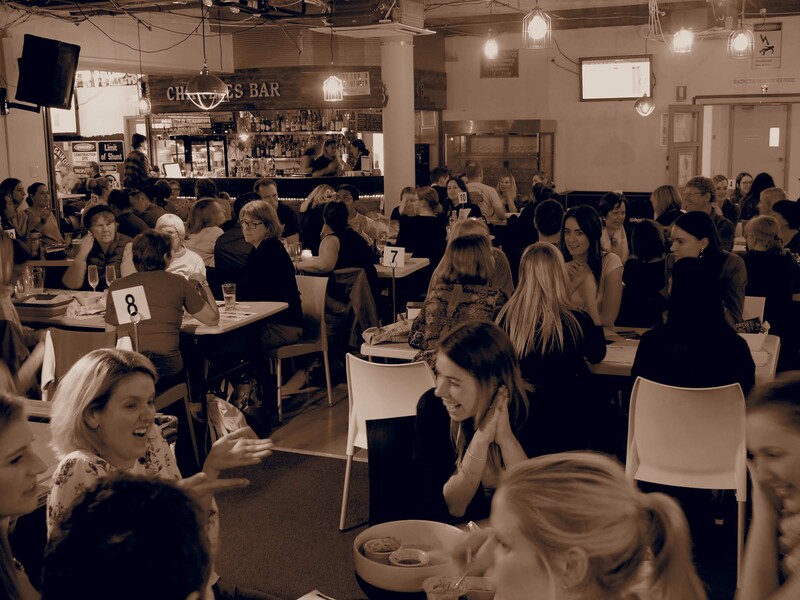 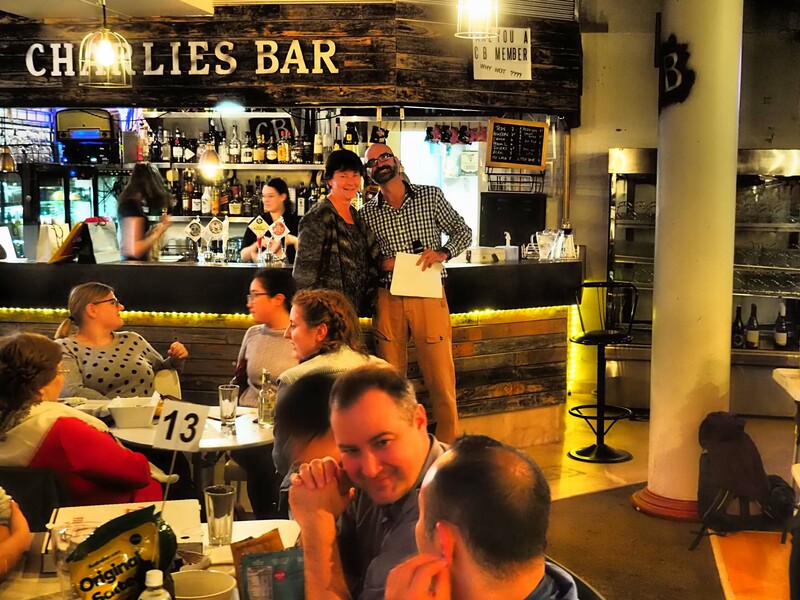 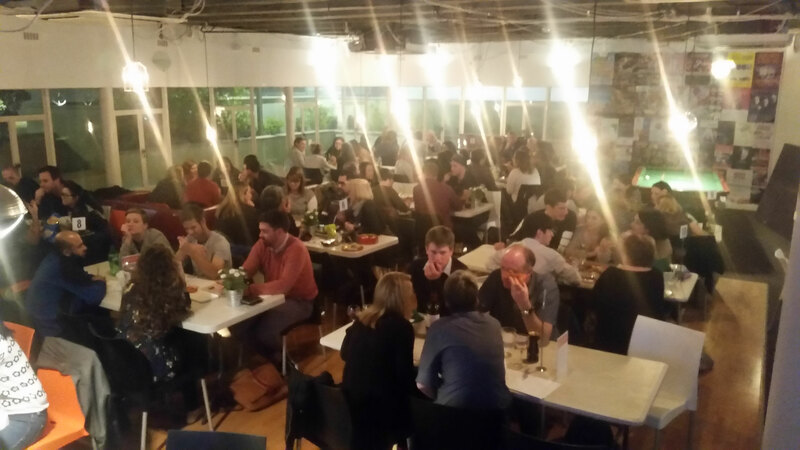 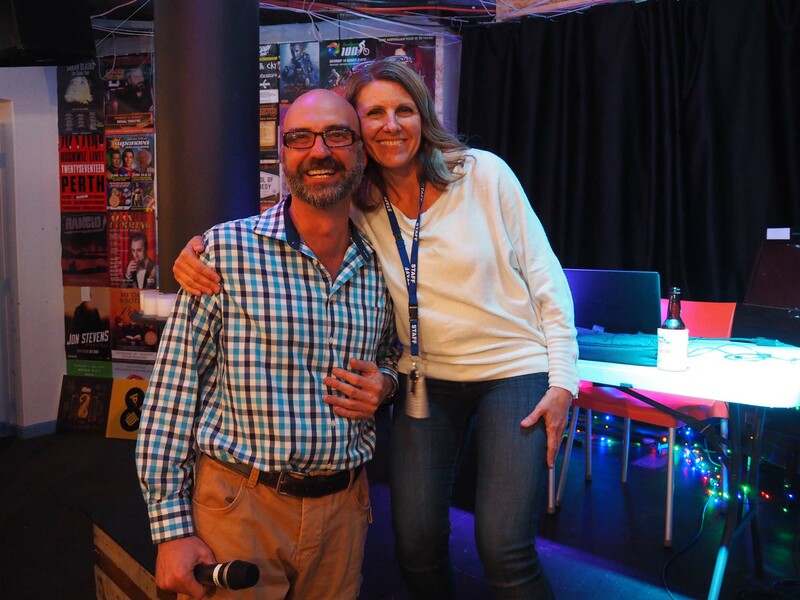 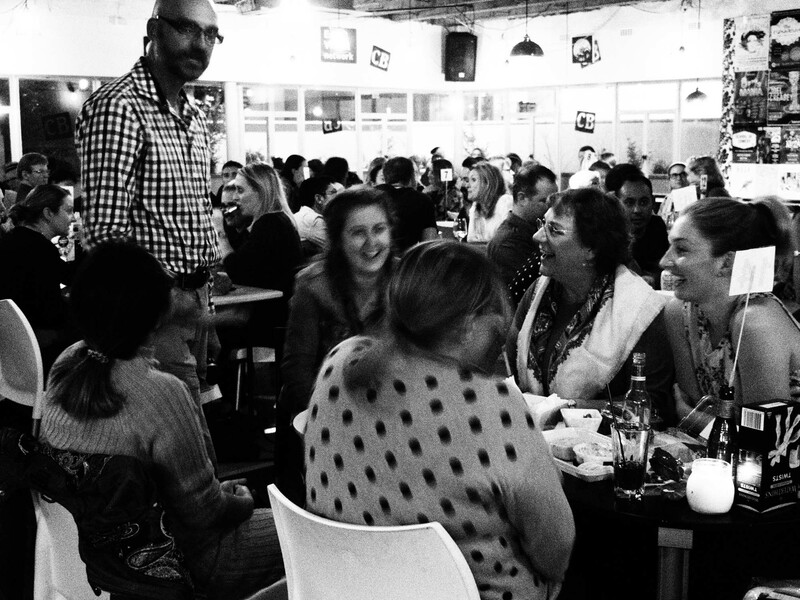 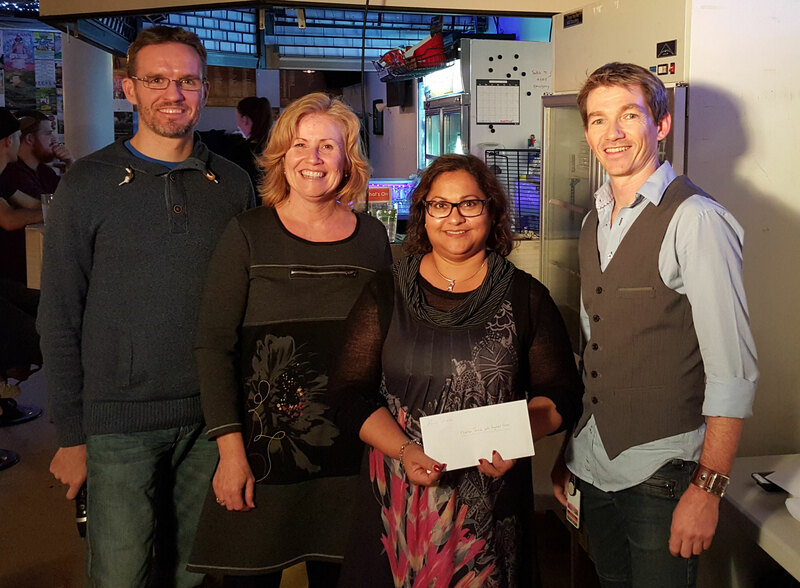 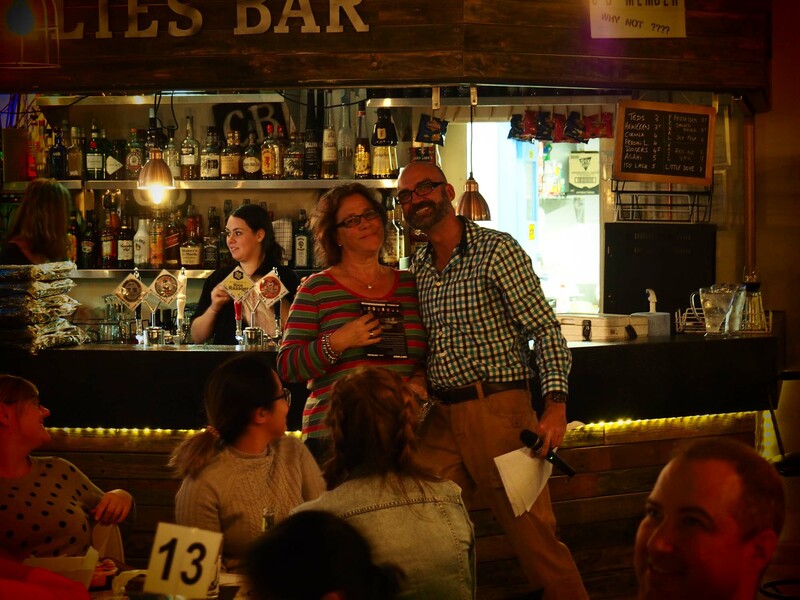 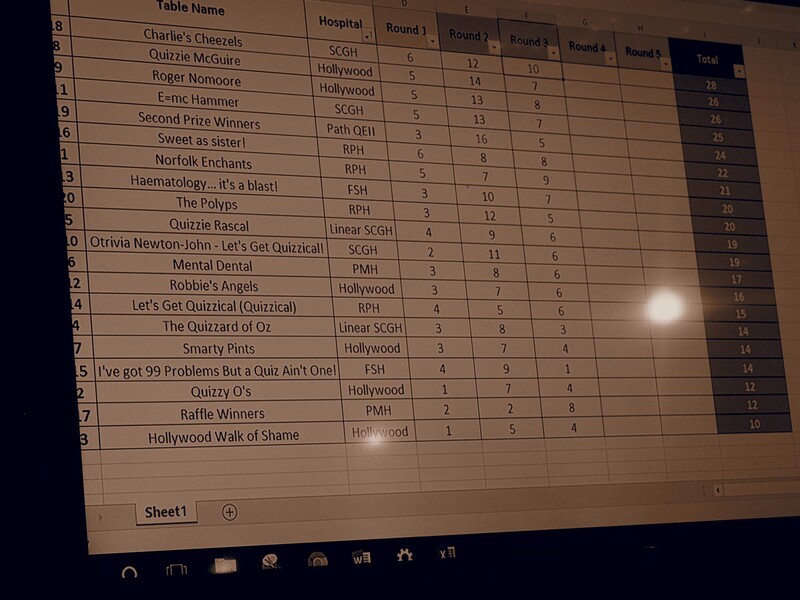 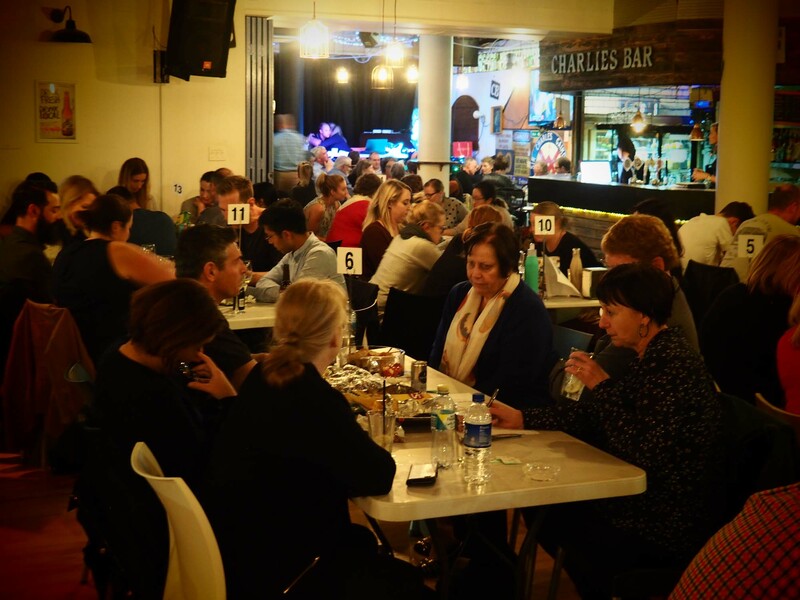 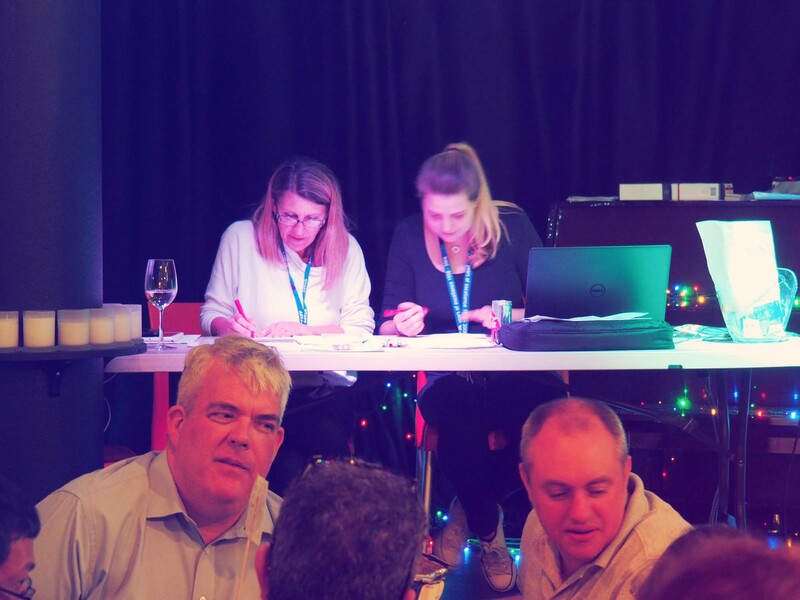 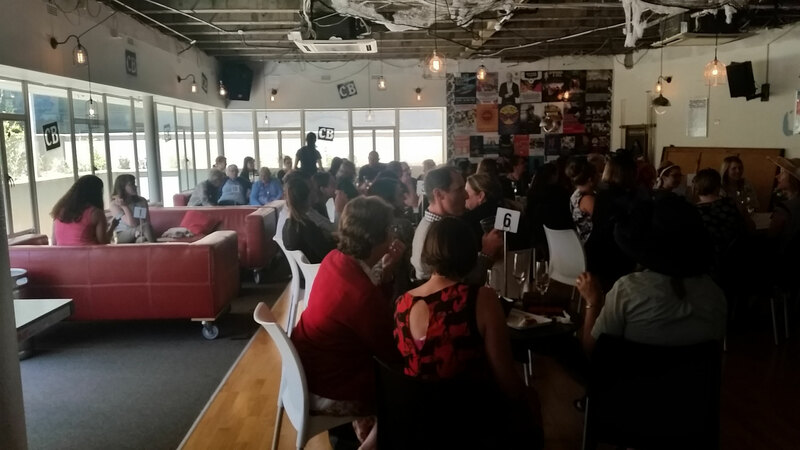 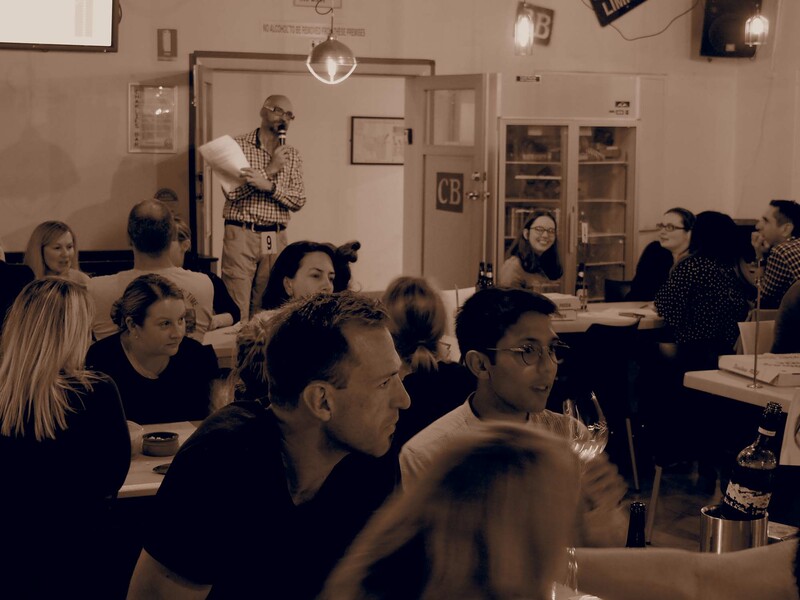 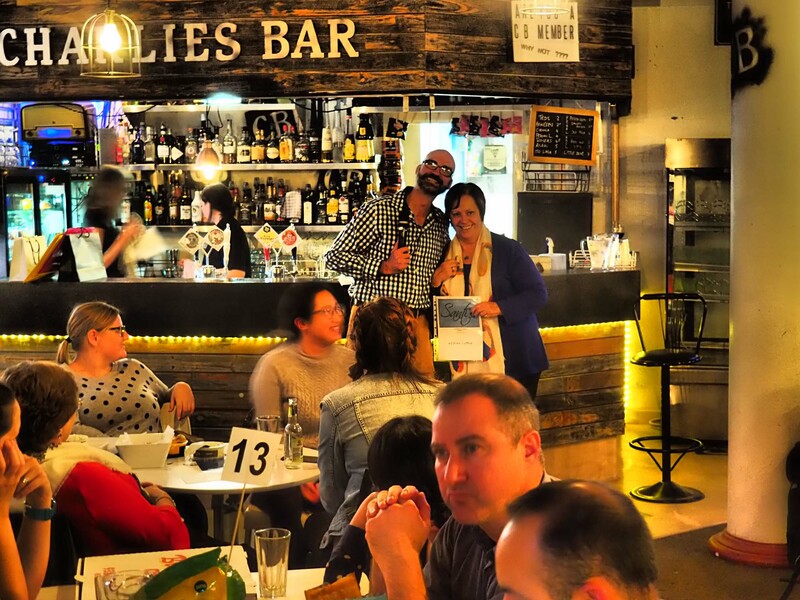 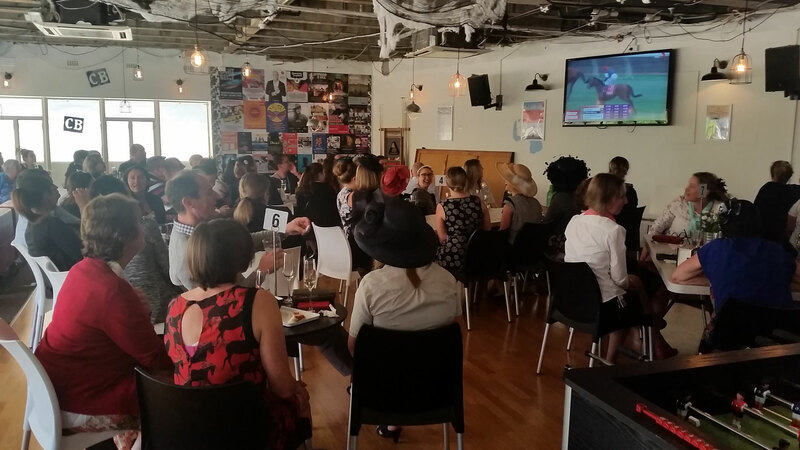 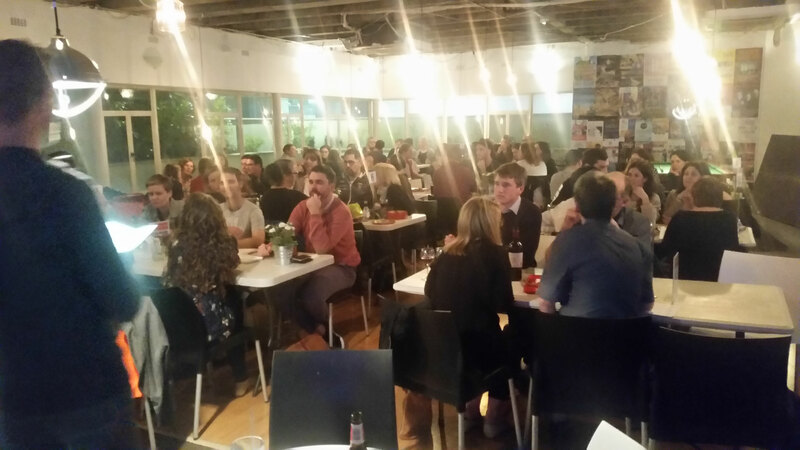 Our Hospitals Vs Hospitals Quiz night June 15th was a great event with a sold out house with tables from Charlies, PMH/PCH, Fiona Stanley, RPH and Hollywood pitting their Quiz skills against their hospital colleagues. 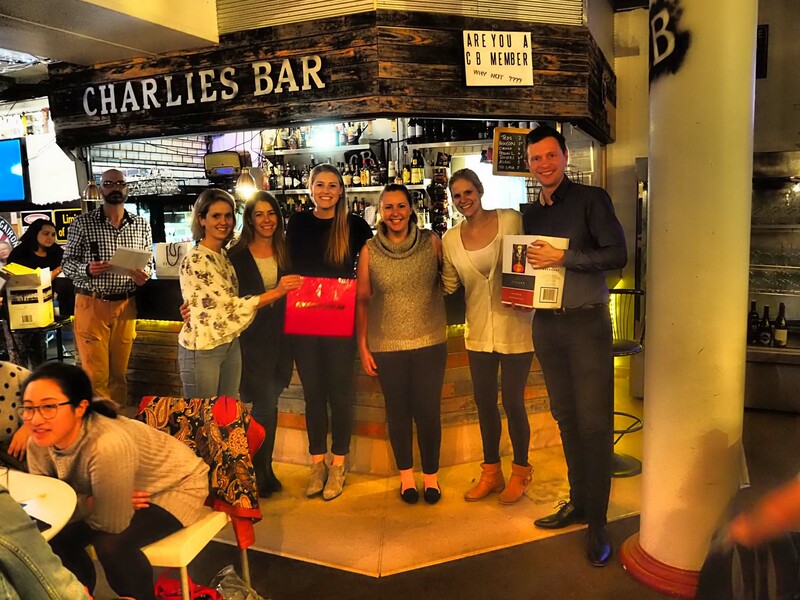 Charlies Cheezels came away with the win and some great prizes. 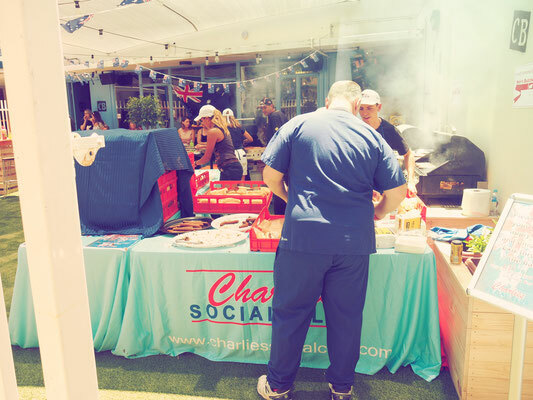 Go Charlies! 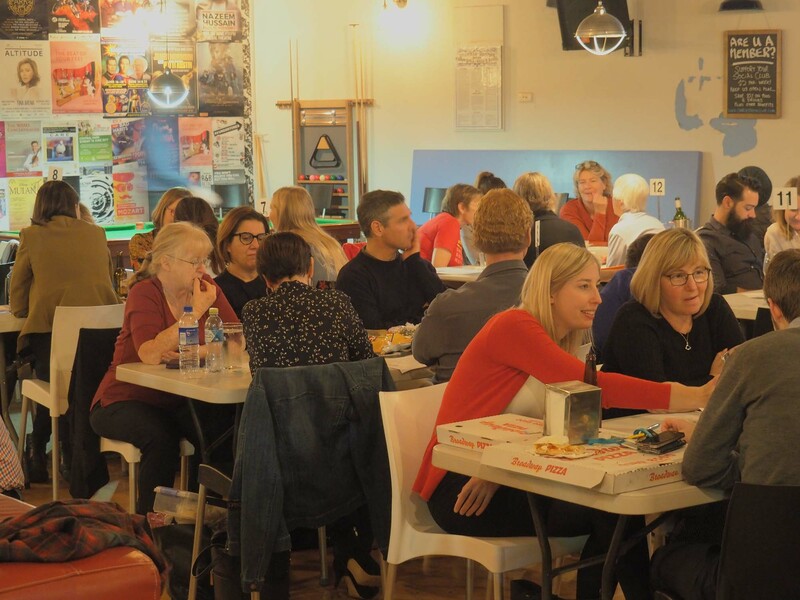 It was an awesome night and huge thanks to Cathy for organising, Scott for MCing and all the Social Club staff and attendees for helping make a brilliant event.